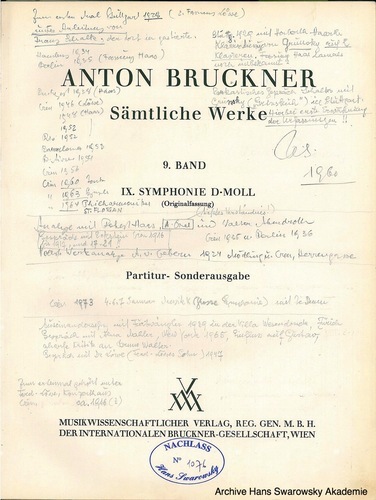 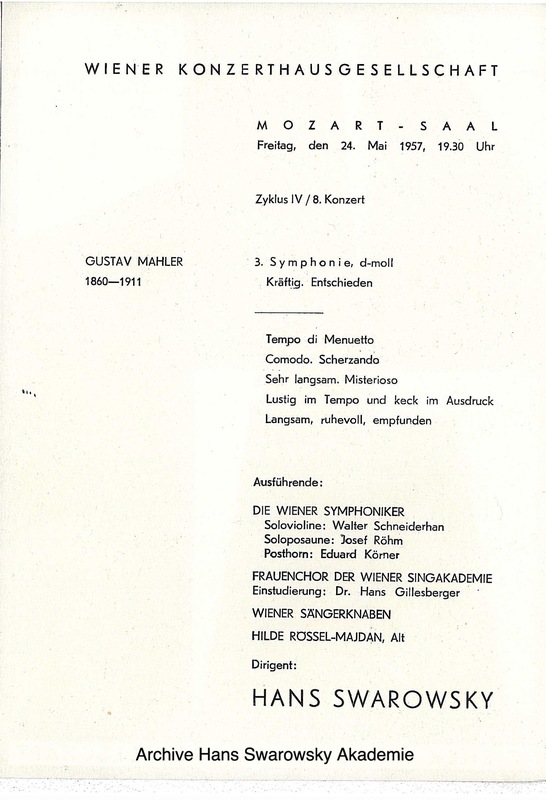 Swarowsky's breaktrough performance of Mahler's 3rd symphony (the first performance in Vienna since 1946) with the Vienna Symphony Orchestra in the 'New Music' series of the Vienna Konzerthaus. 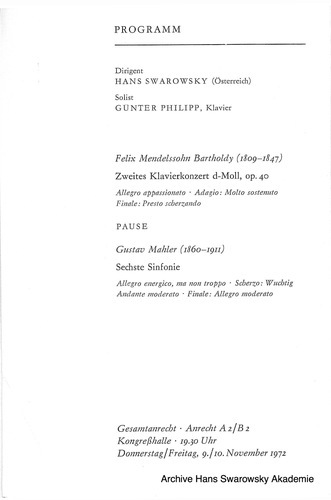 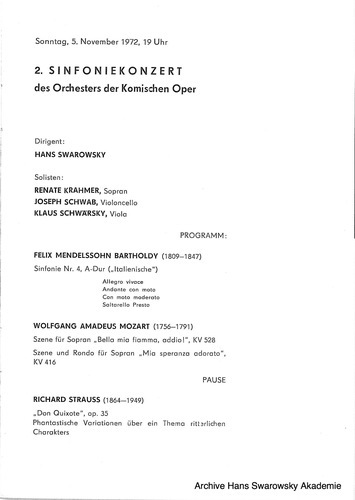 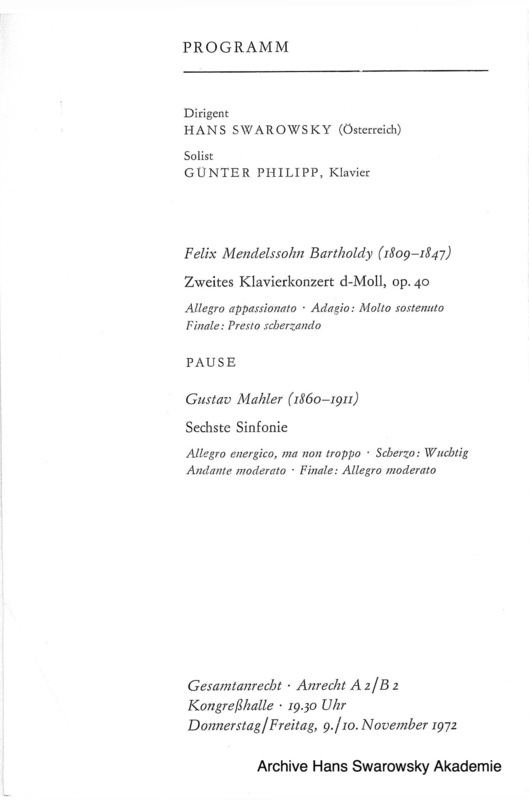 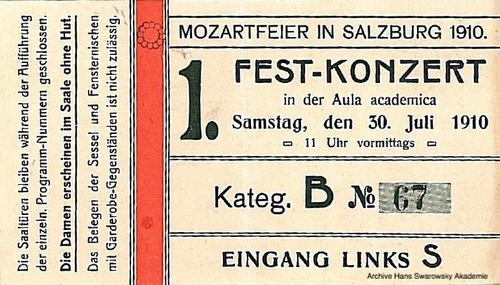 It's significant that the concert was put on in the Mozart Saal, seemingly in anticipation of a low audience turn out. 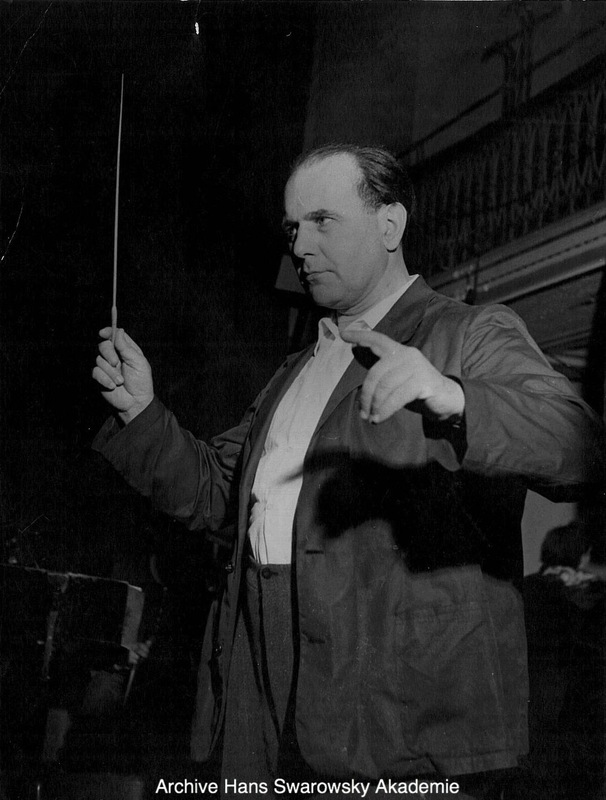 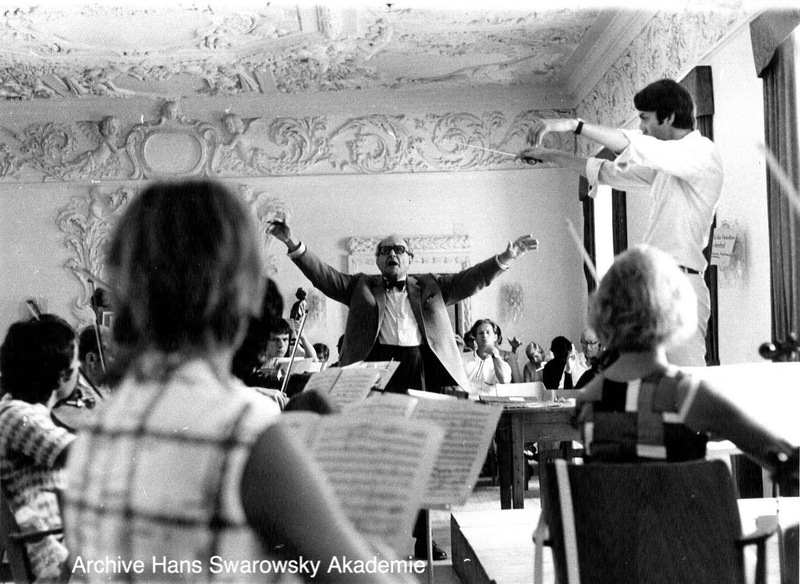 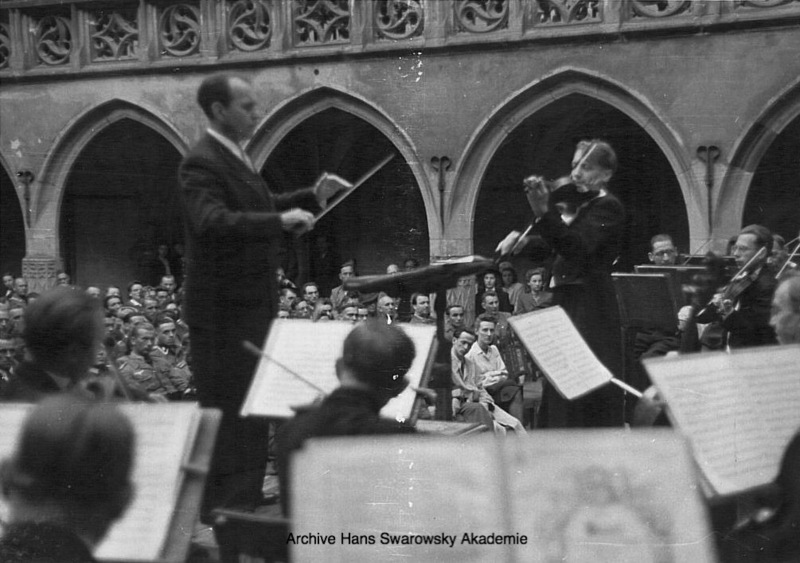 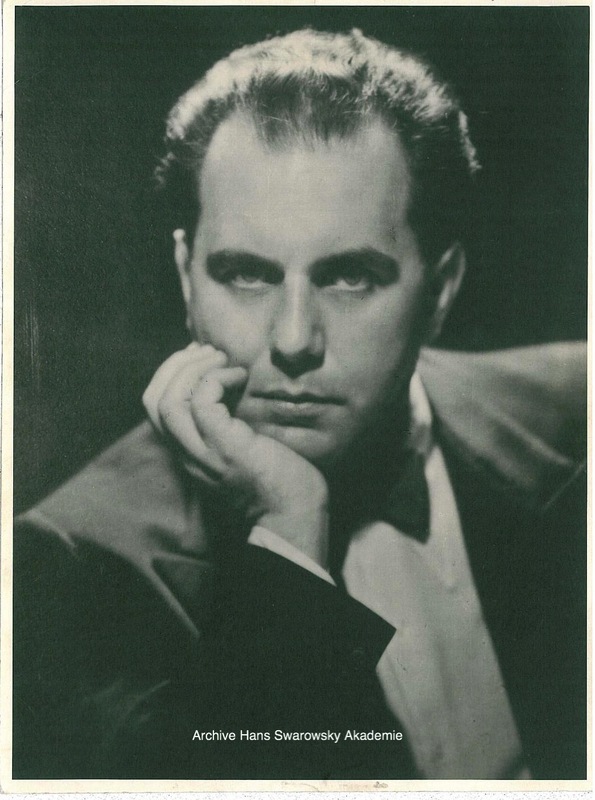 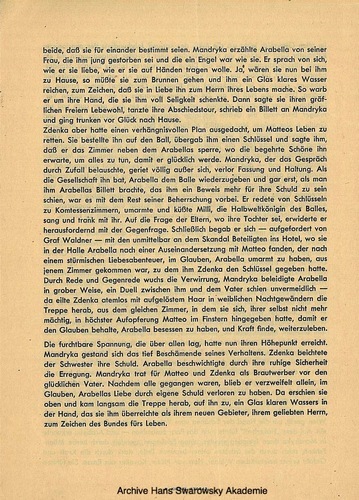 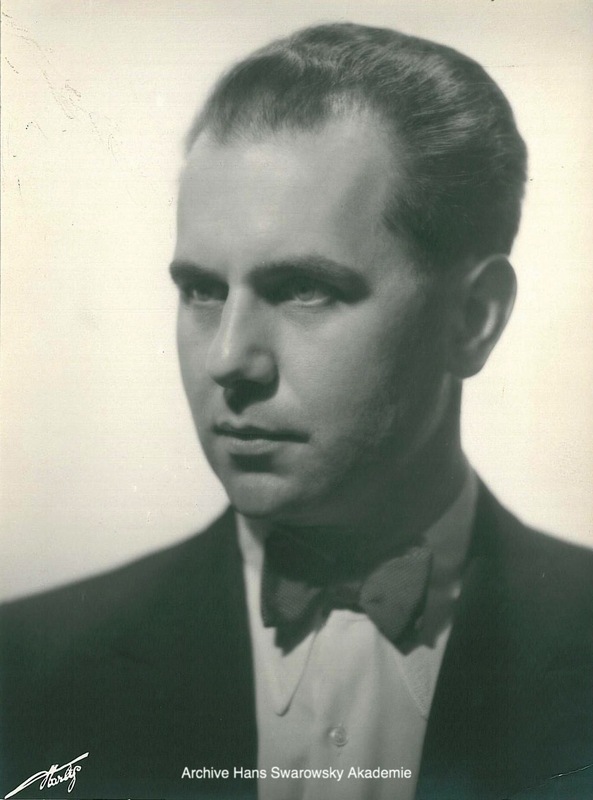 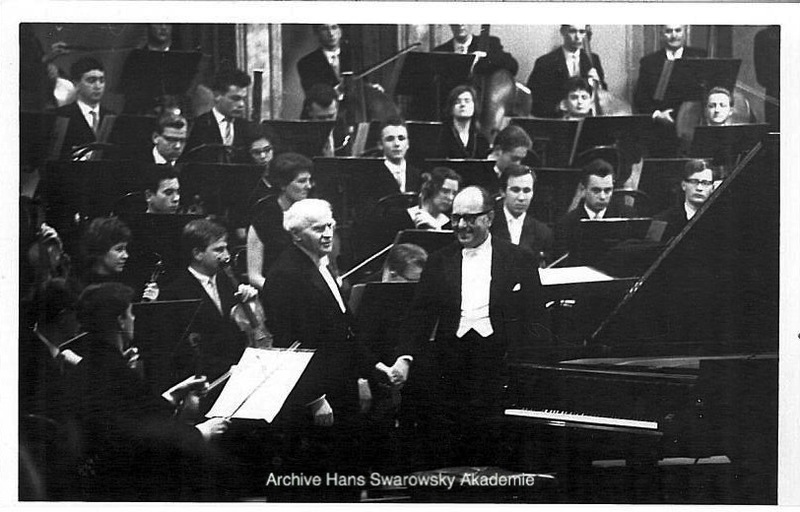 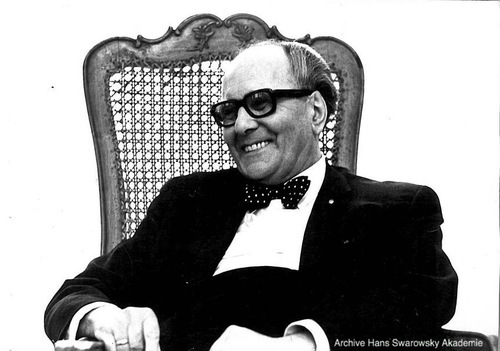 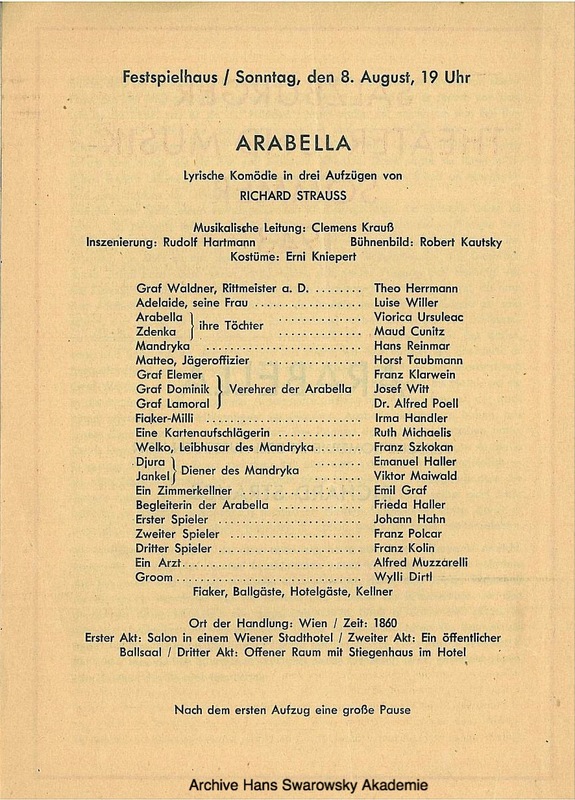 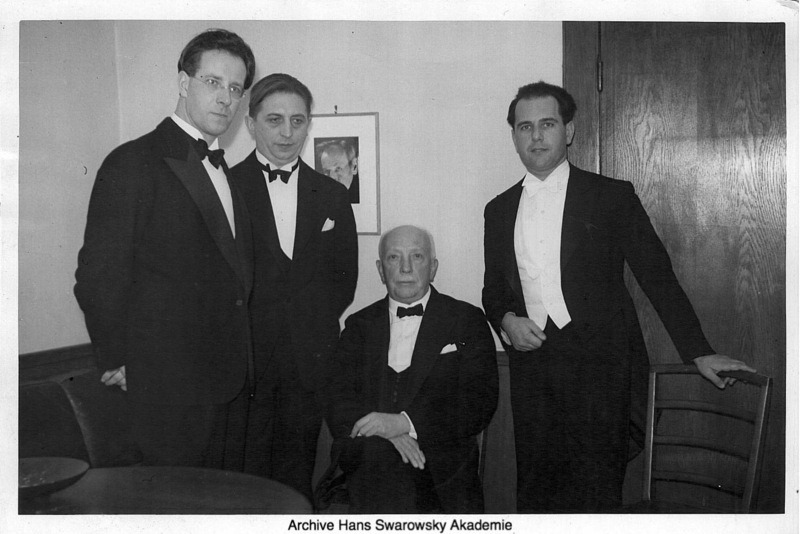 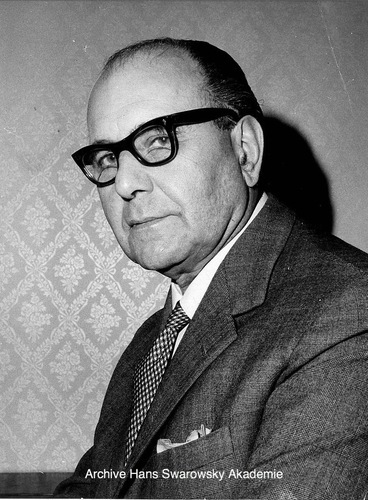 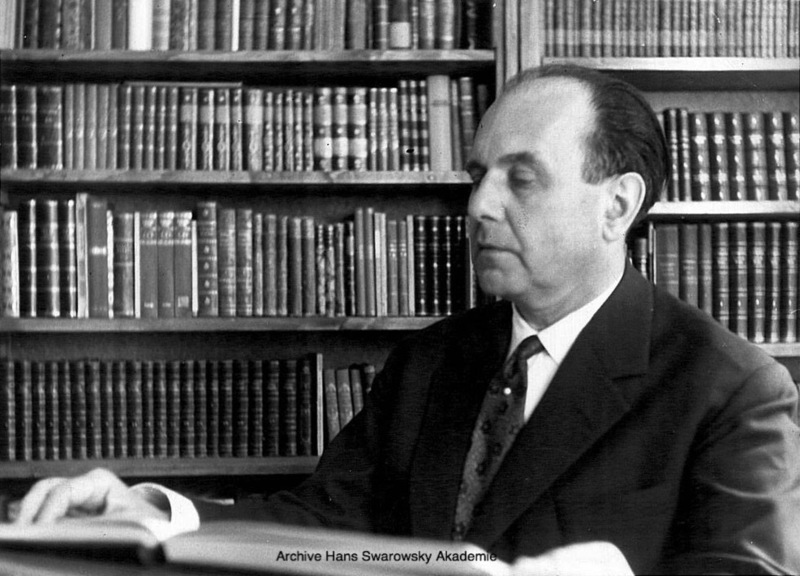 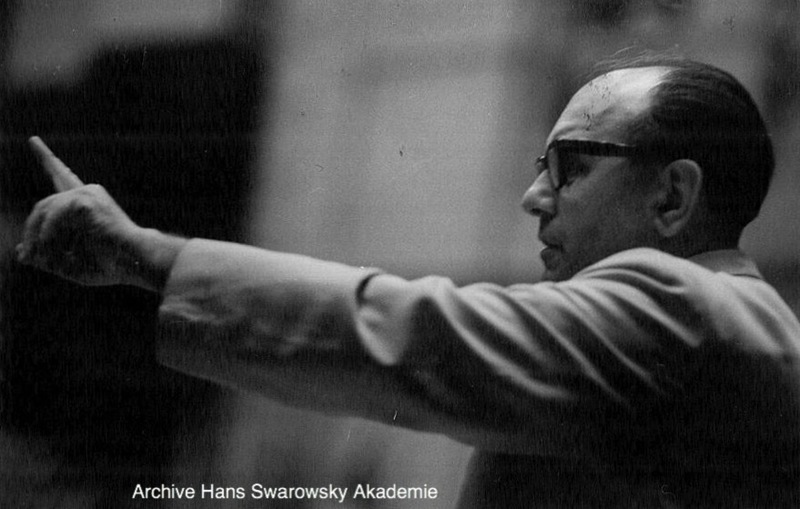 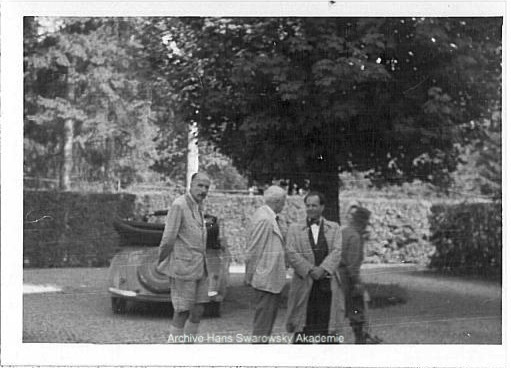 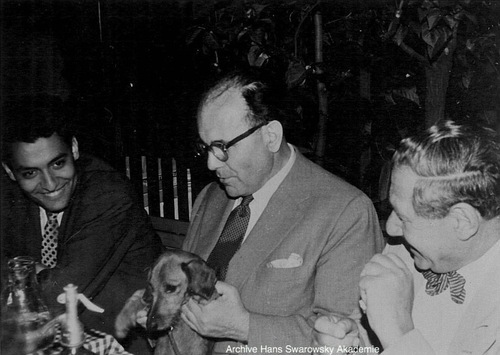 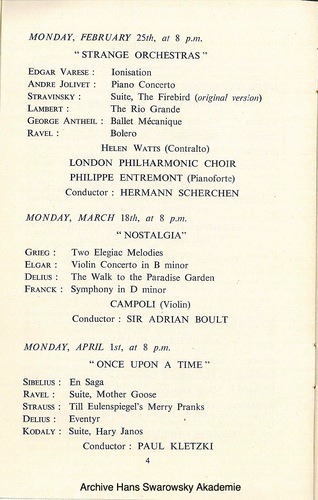 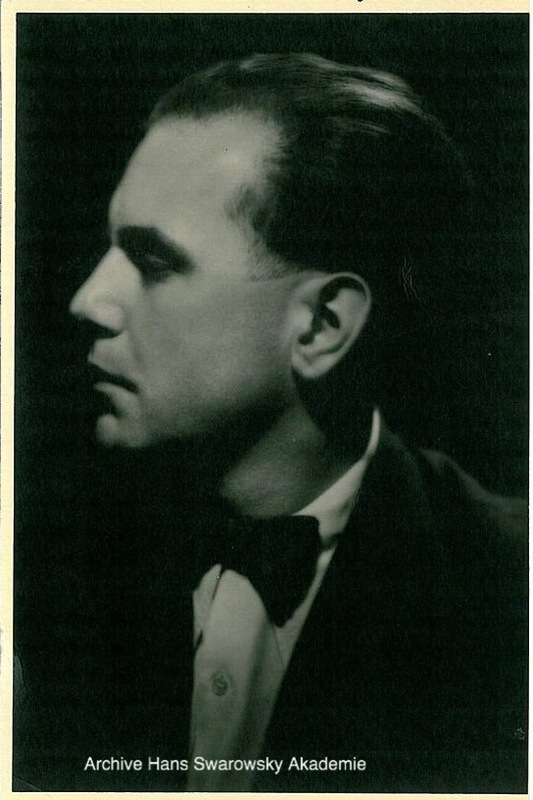 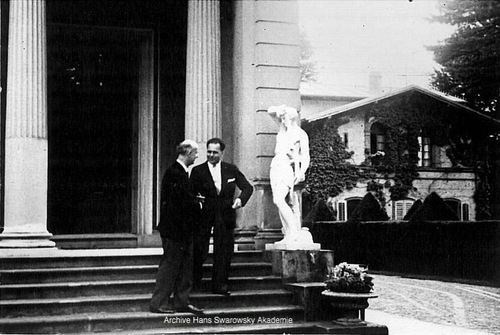 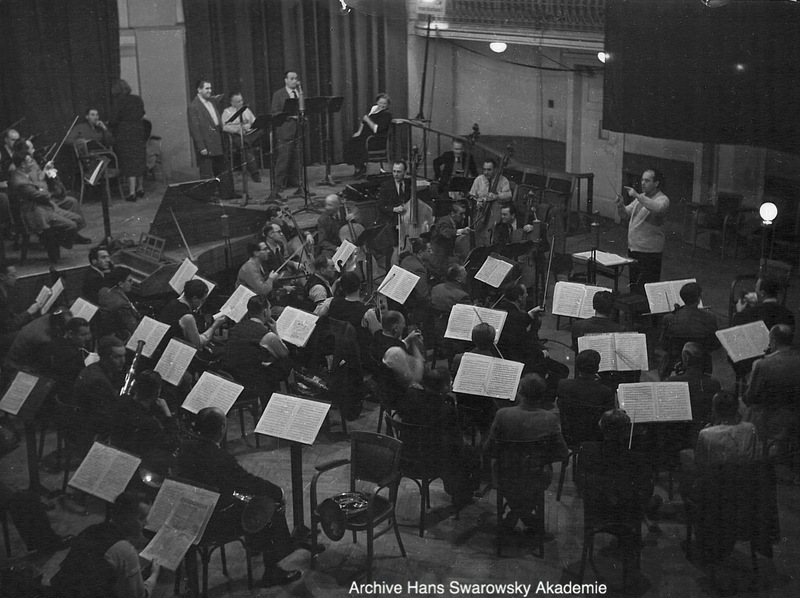 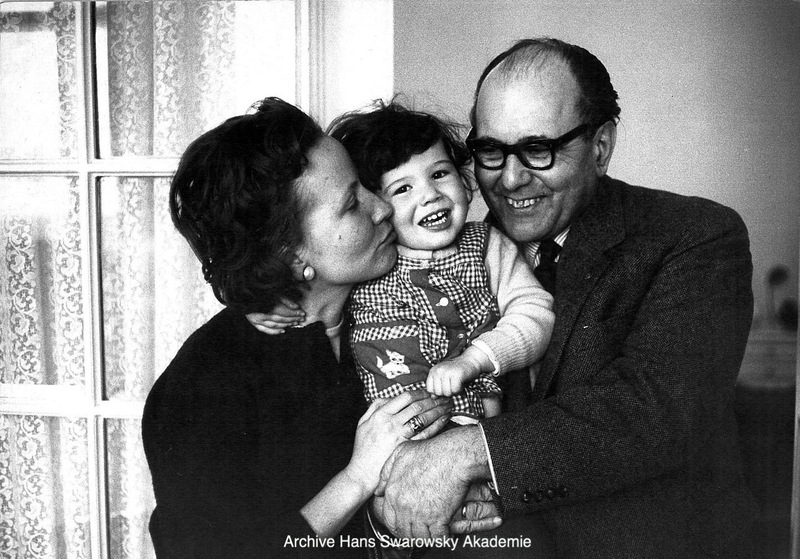 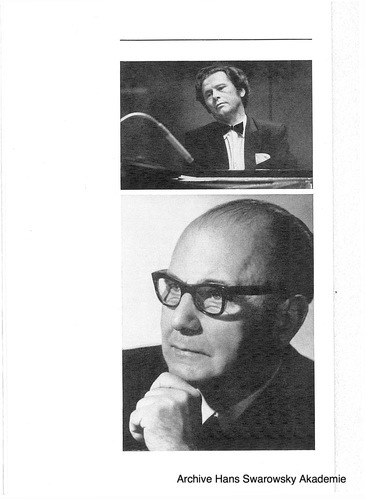 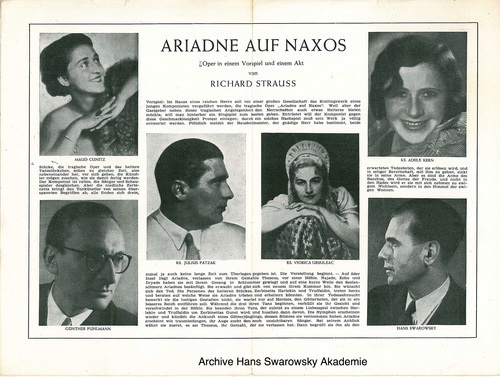 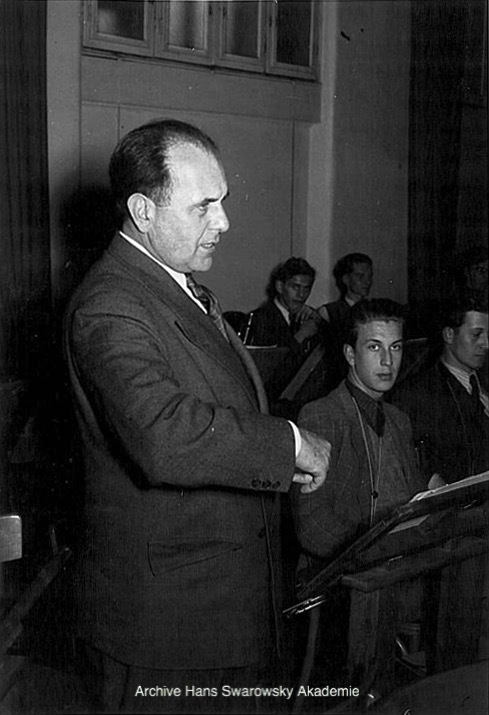 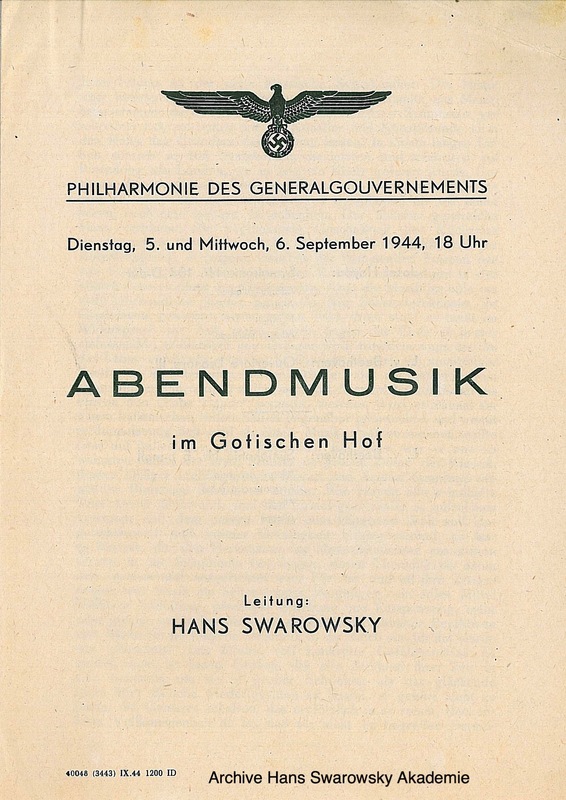 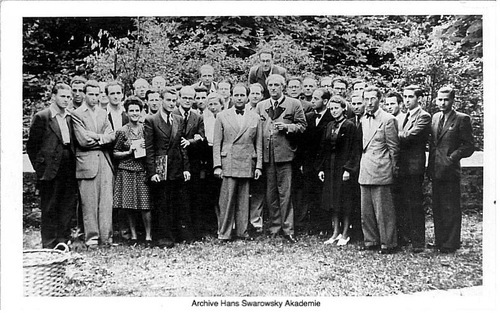 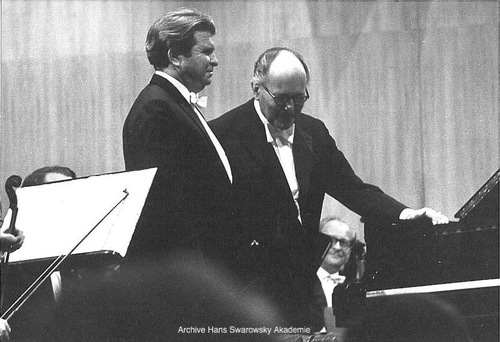 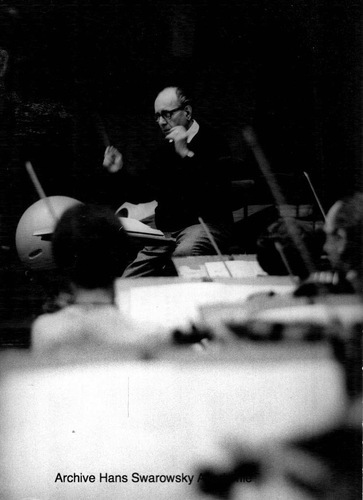 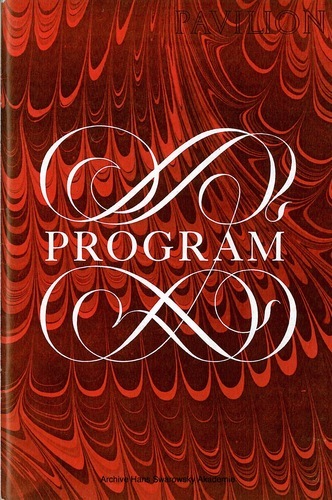 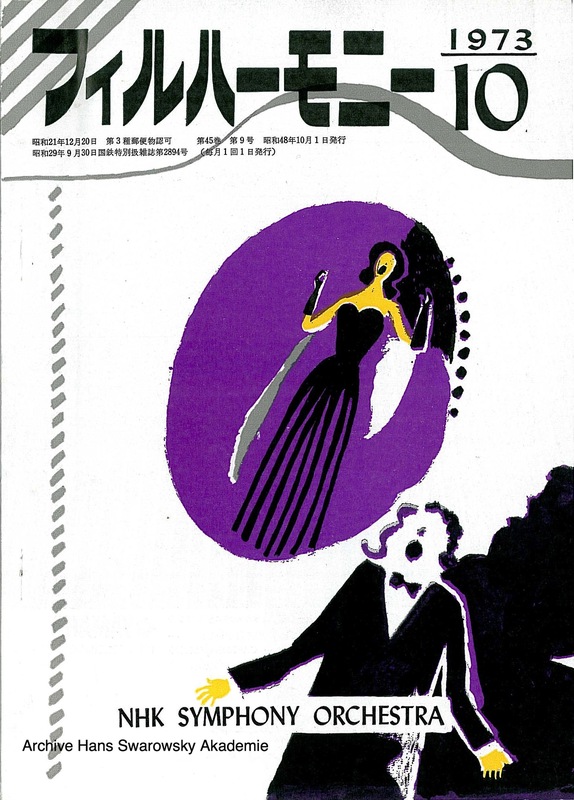 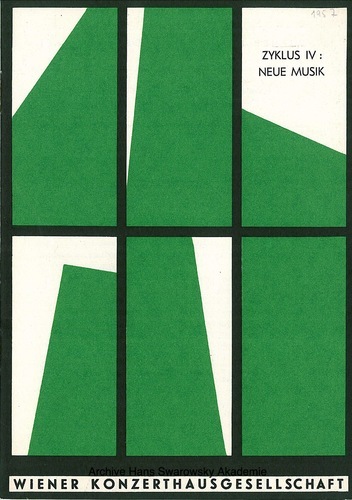 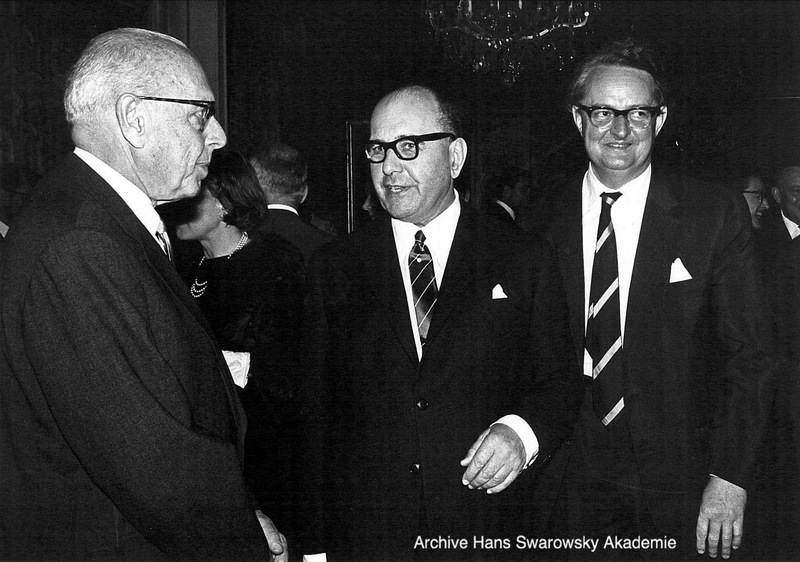 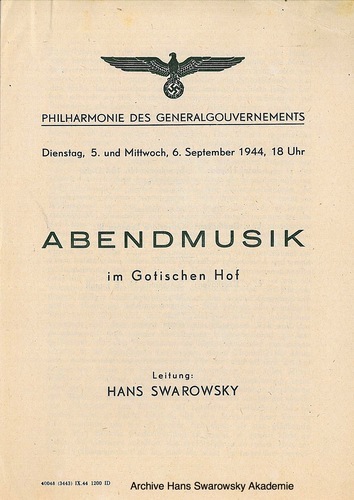 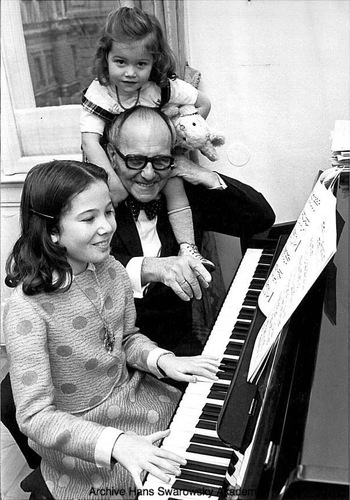 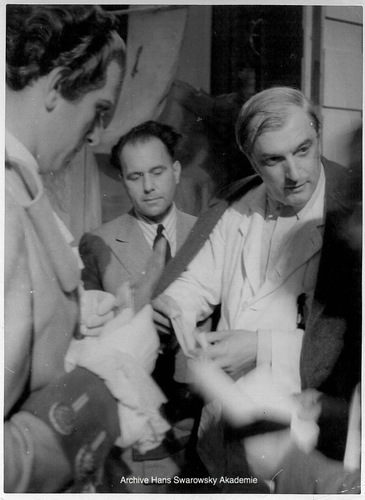 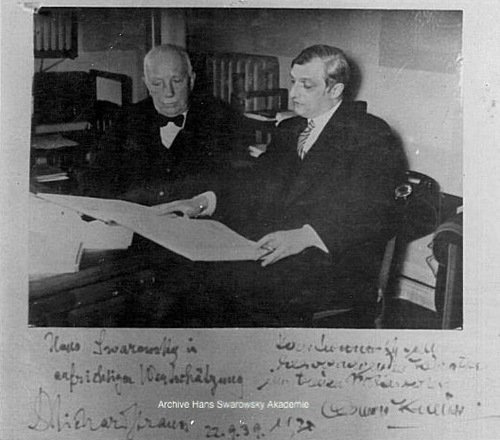 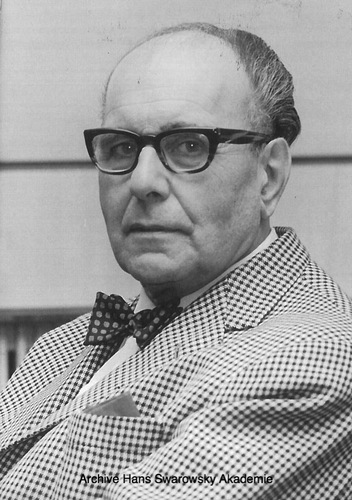 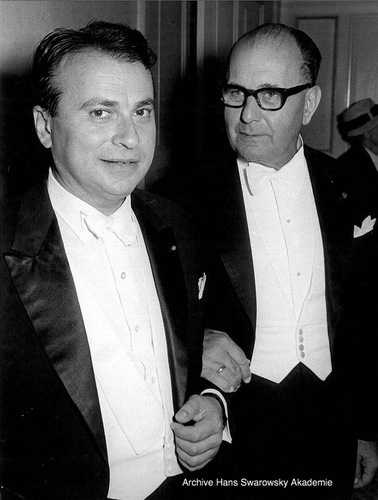 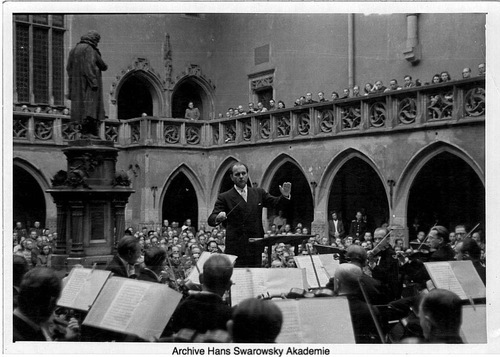 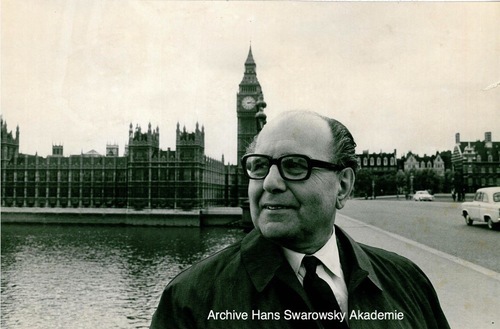 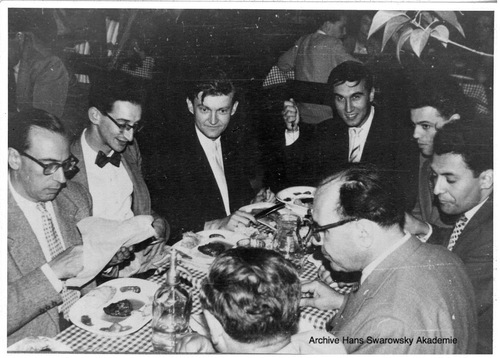 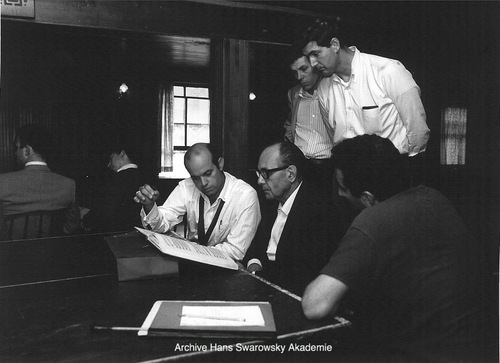 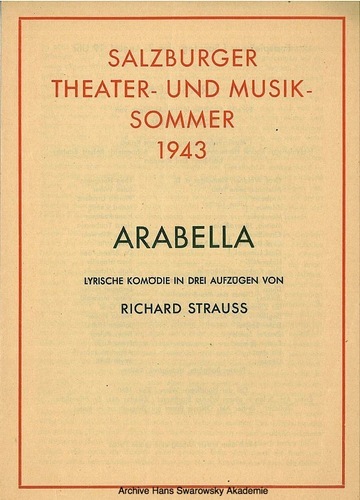 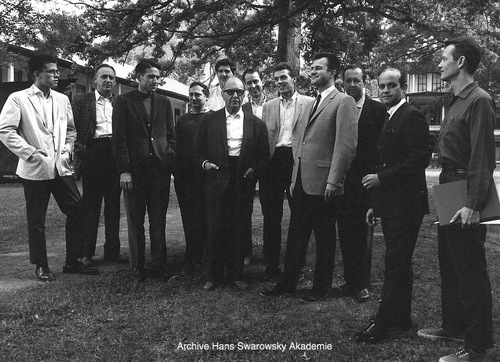 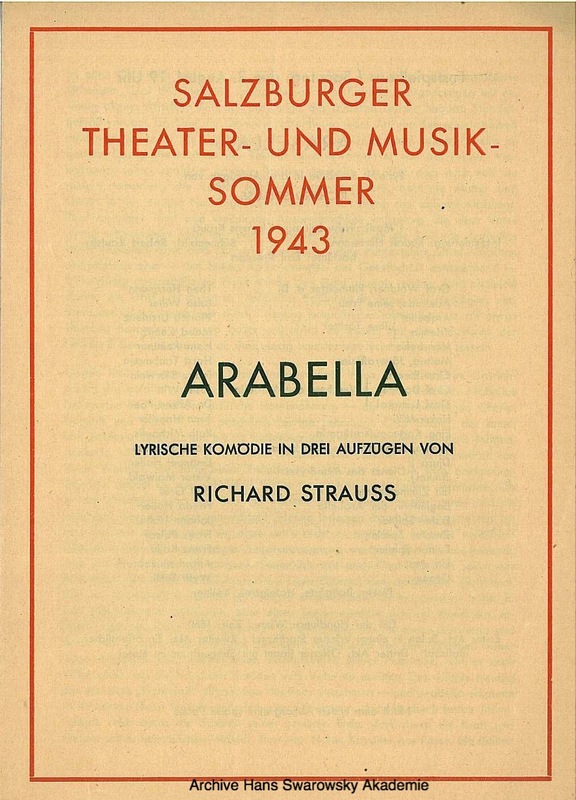 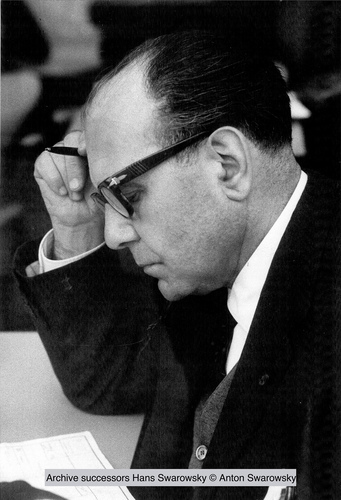 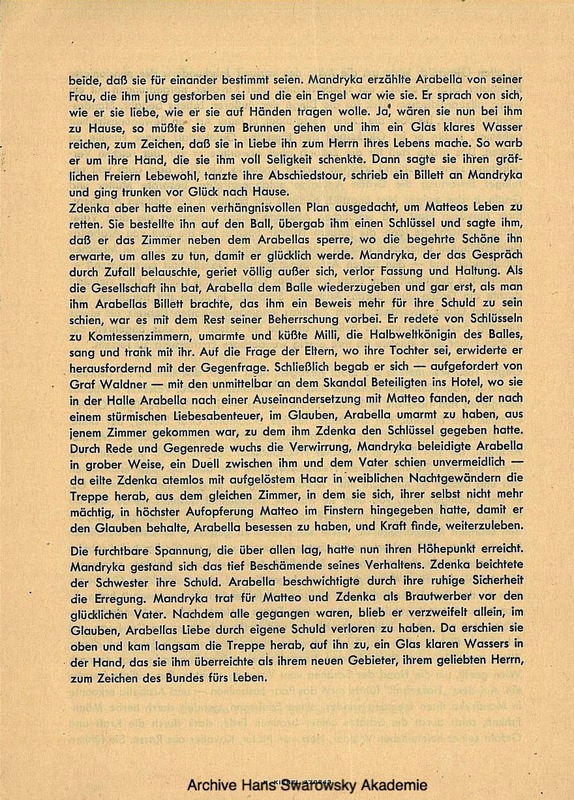 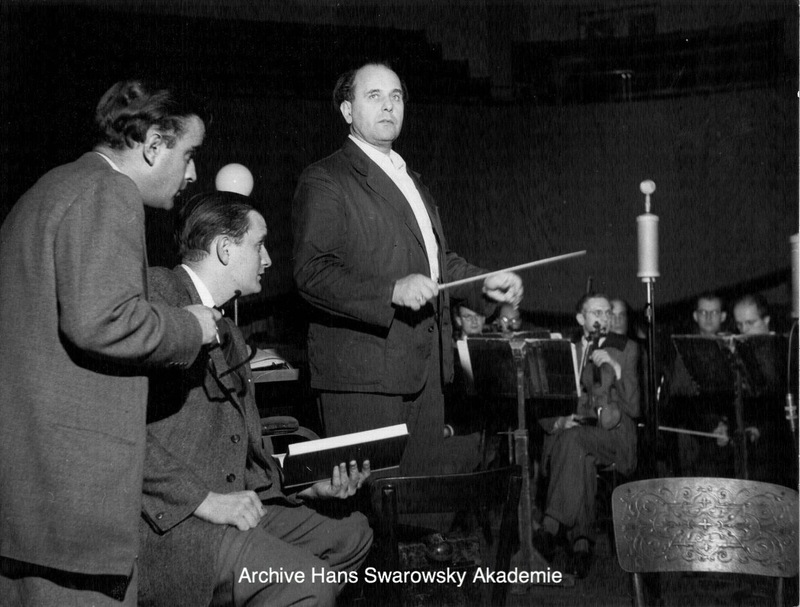 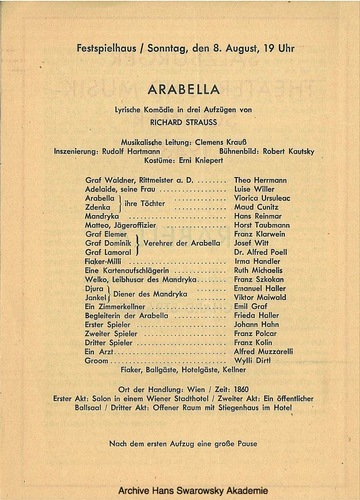 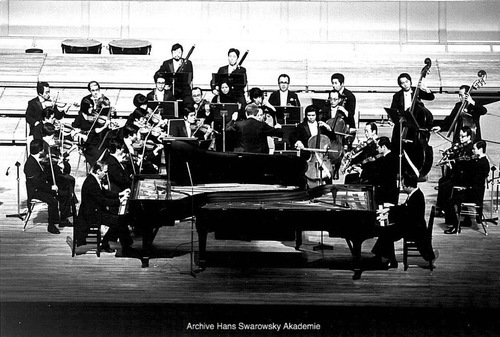 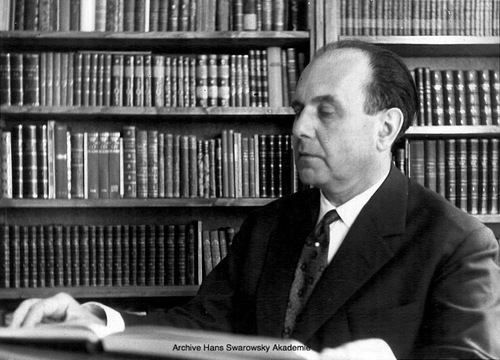 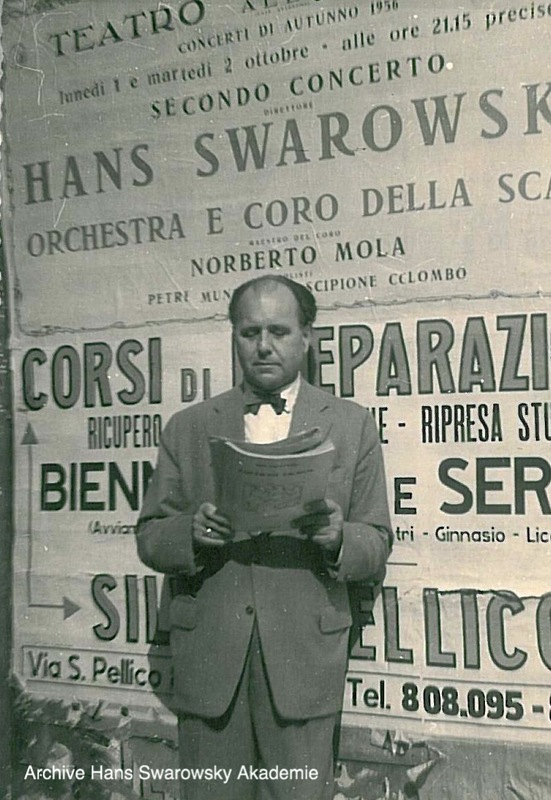 Hans Swarowsky conducted a series of performances of Arabella in Amsterdam in 1936. 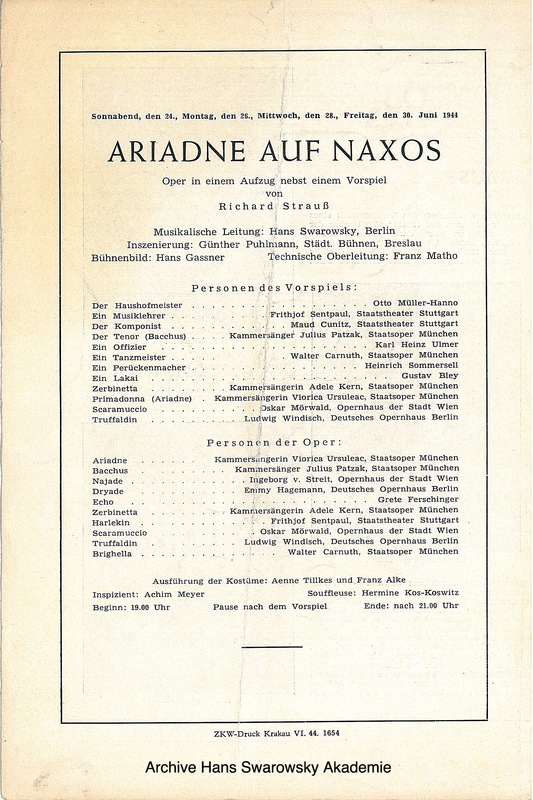 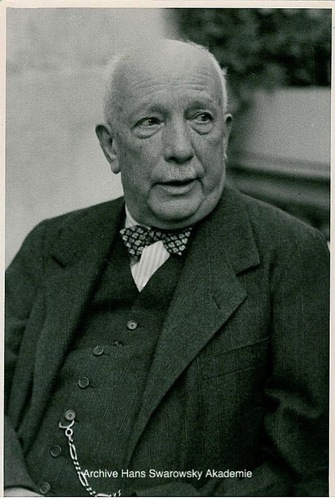 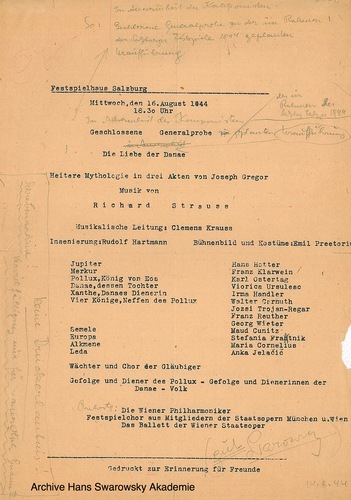 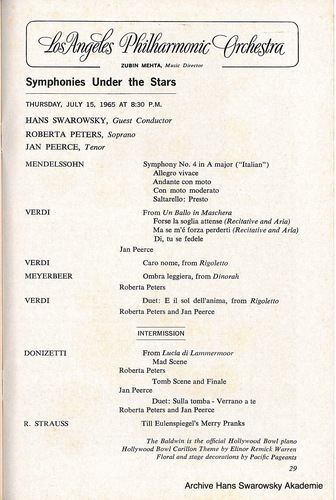 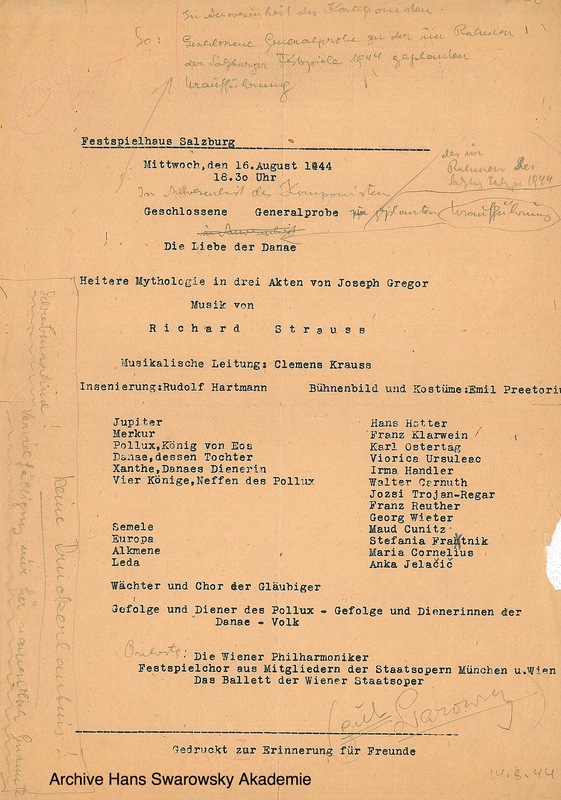 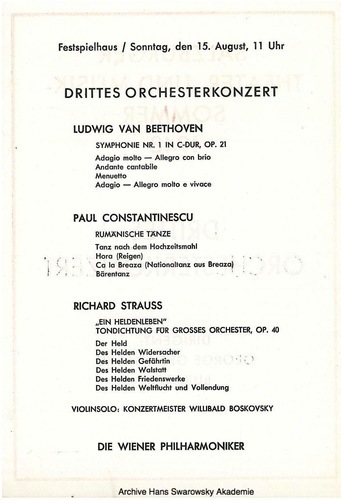 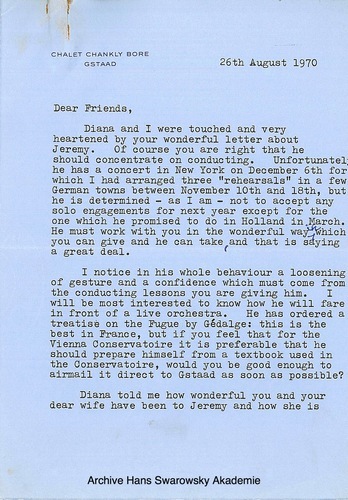 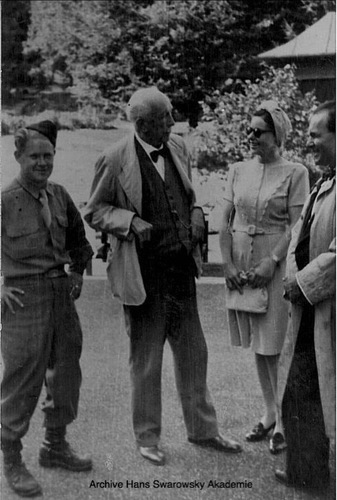 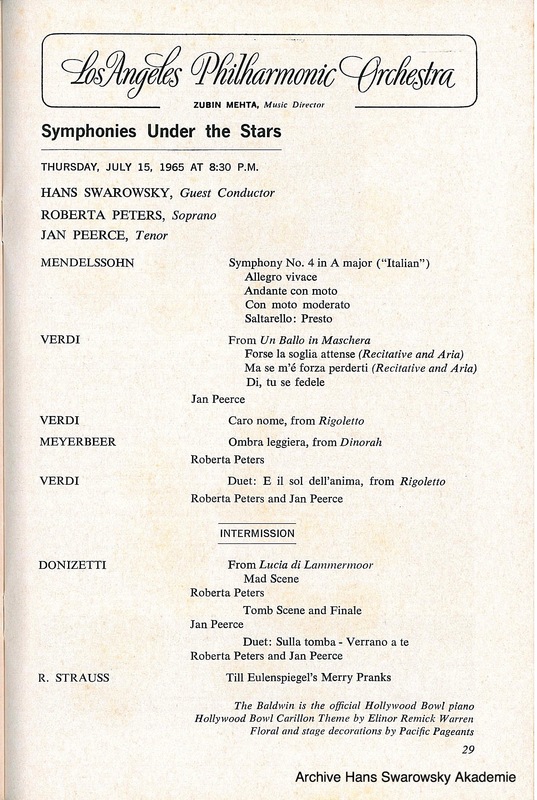 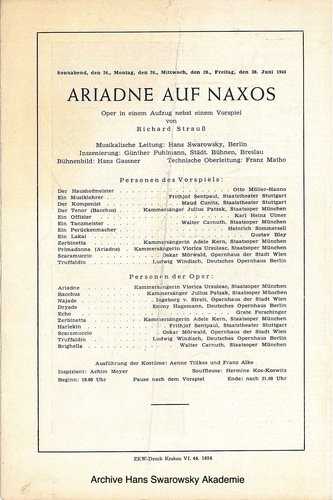 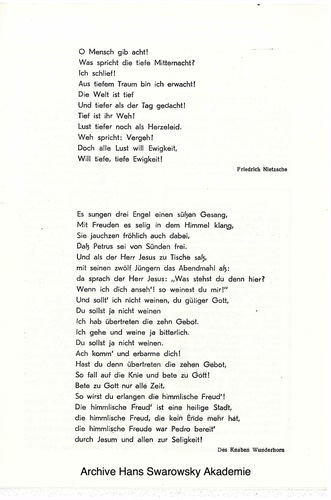 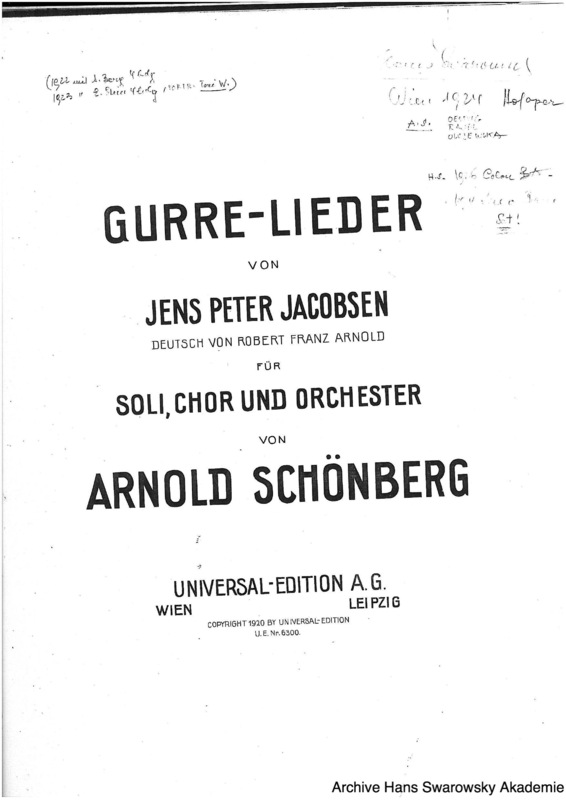 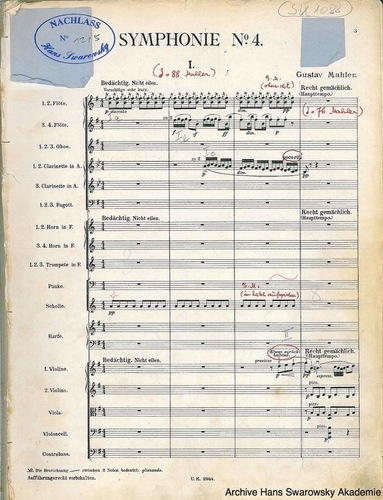 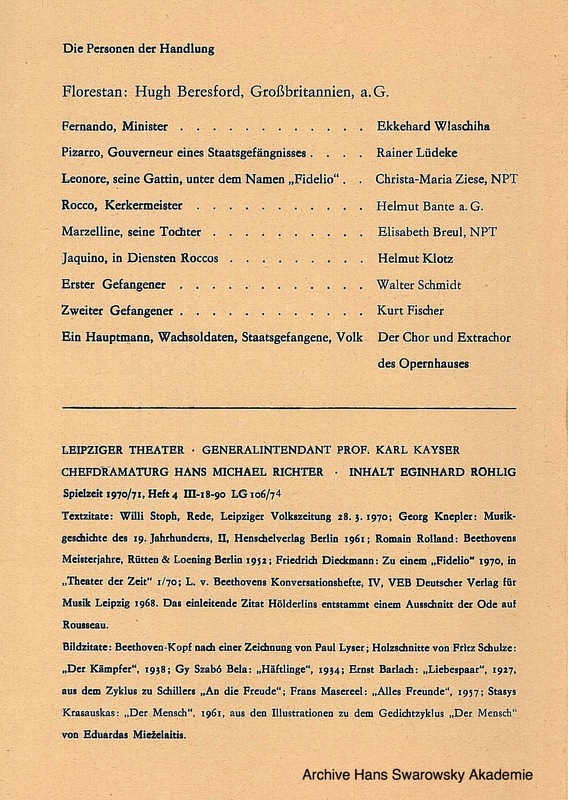 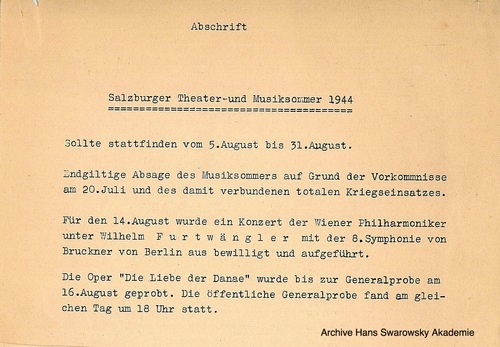 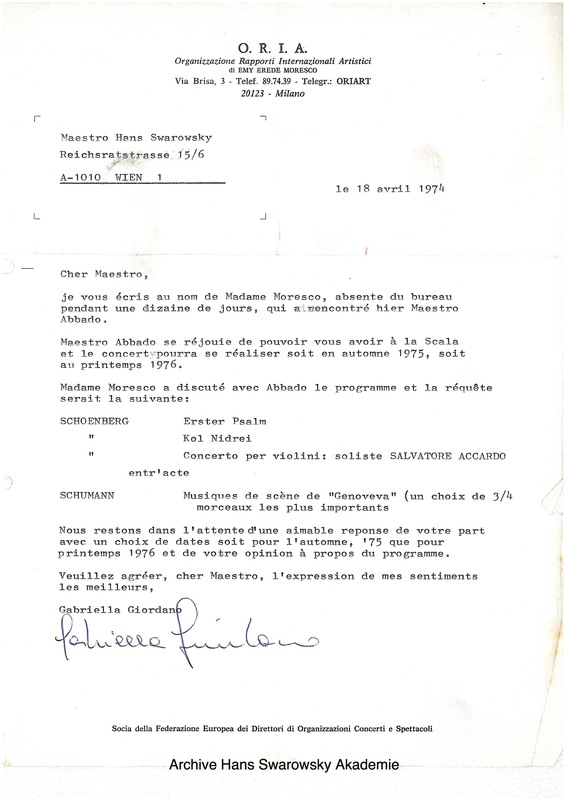 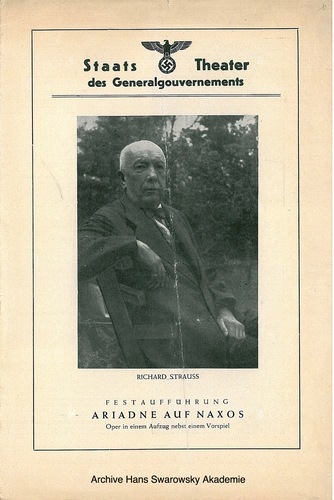 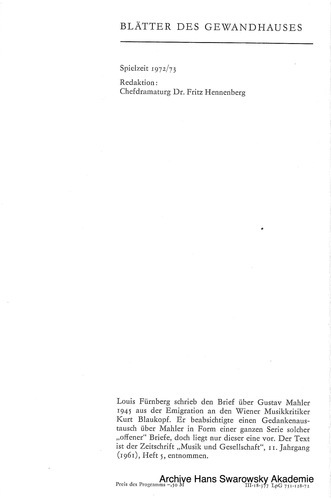 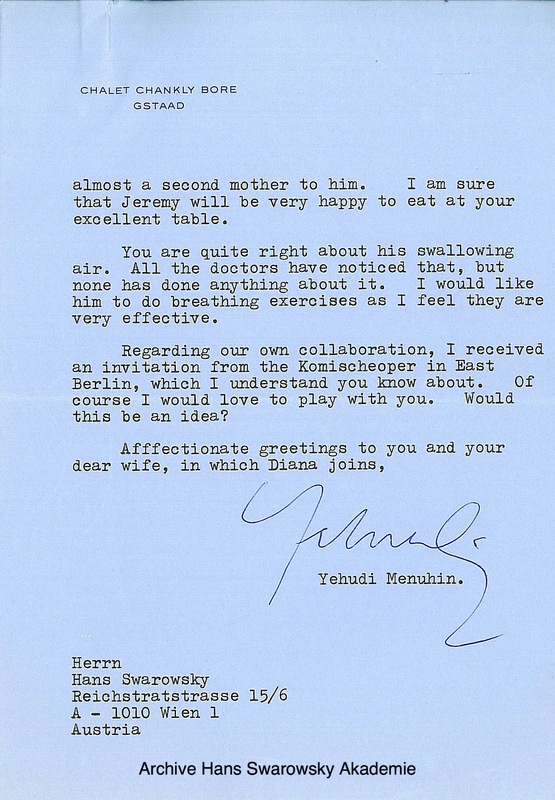 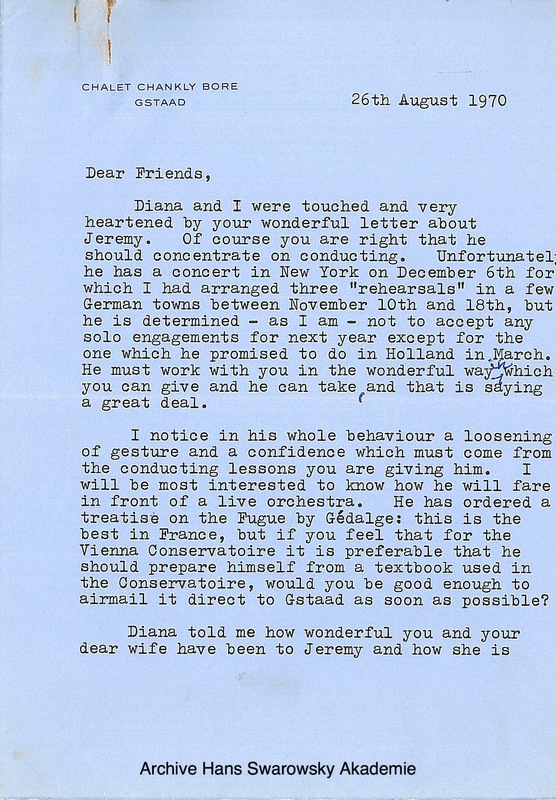 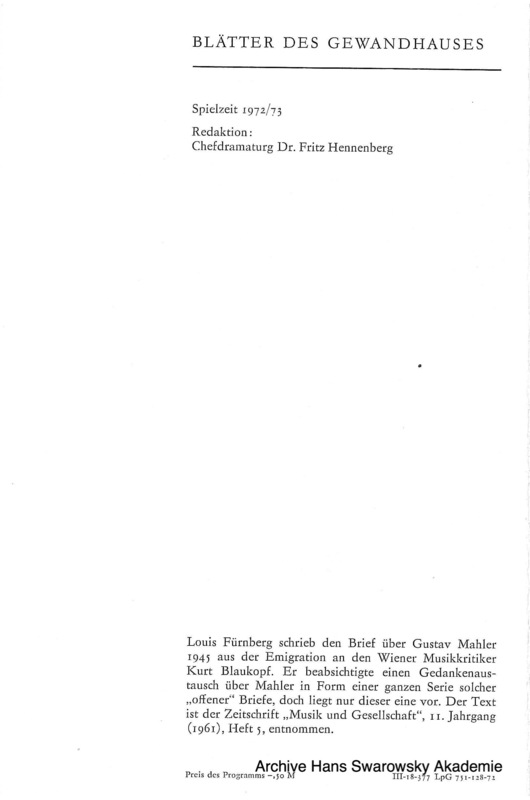 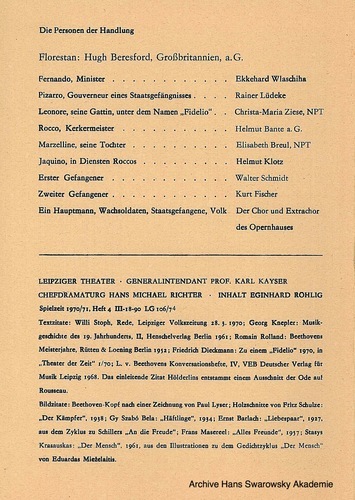 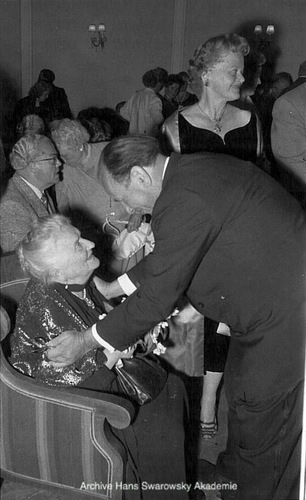 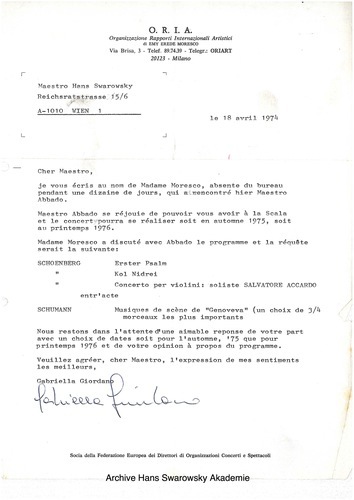 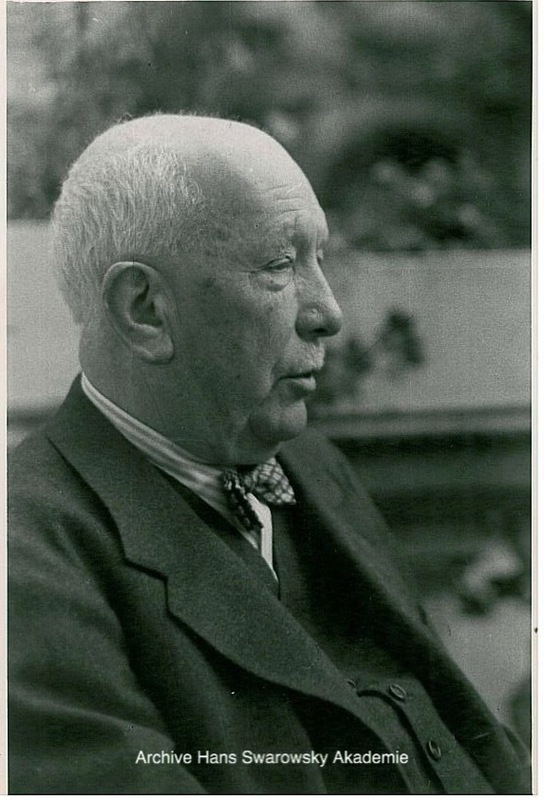 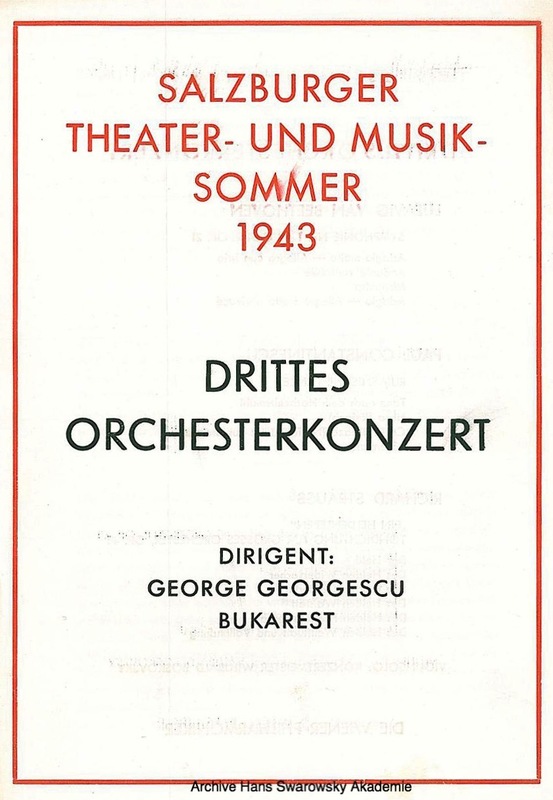 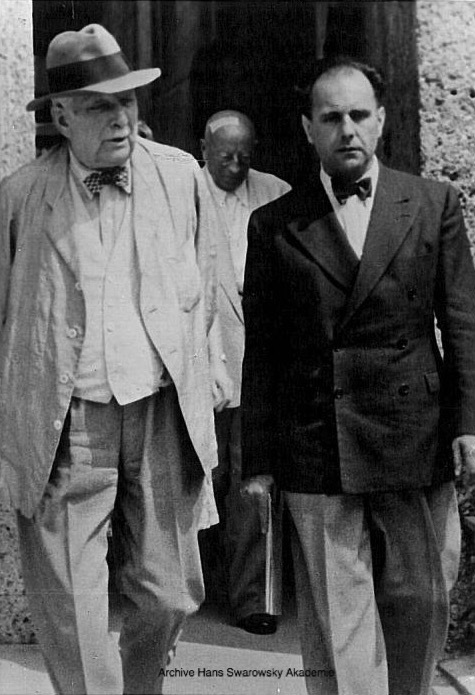 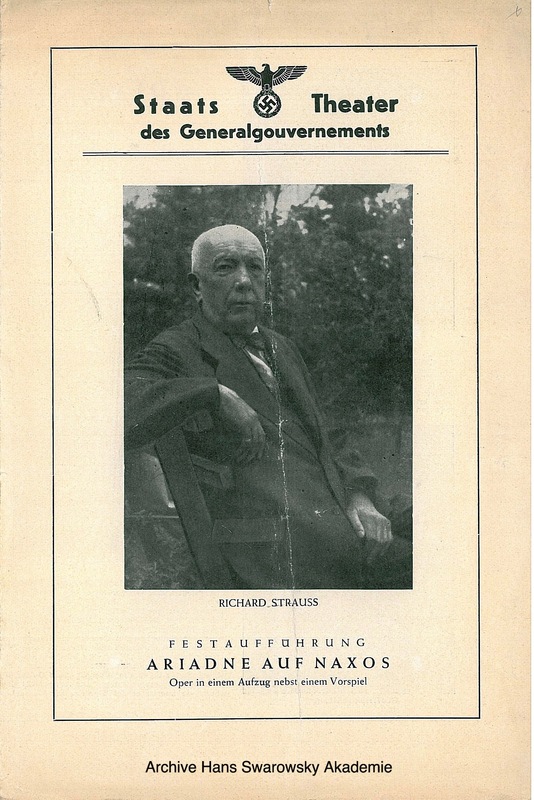 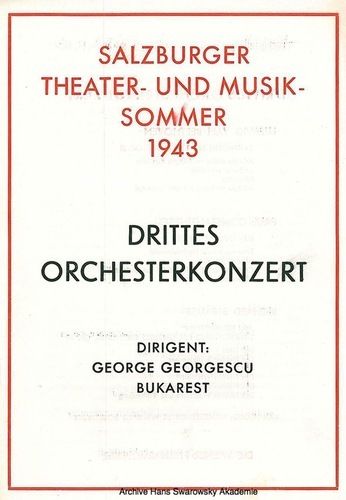 Richard Strauss was present during the rehearsals and conducted also the opening night. 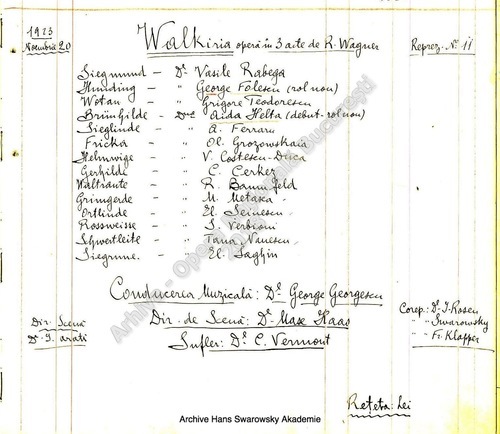 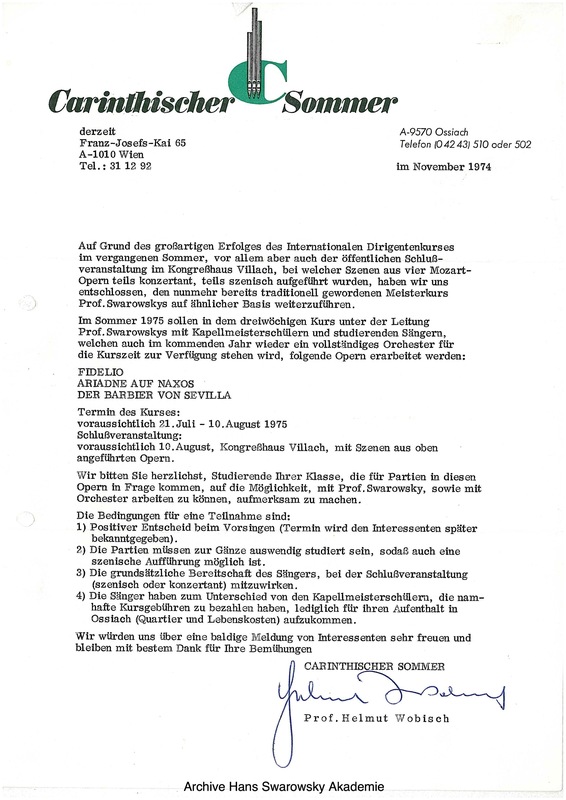 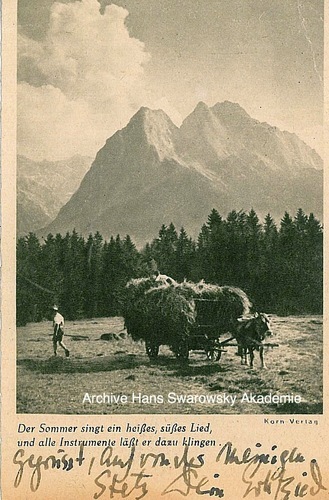 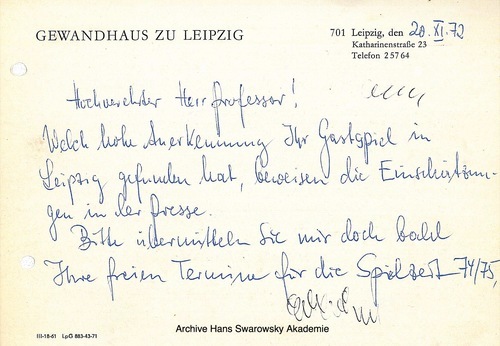 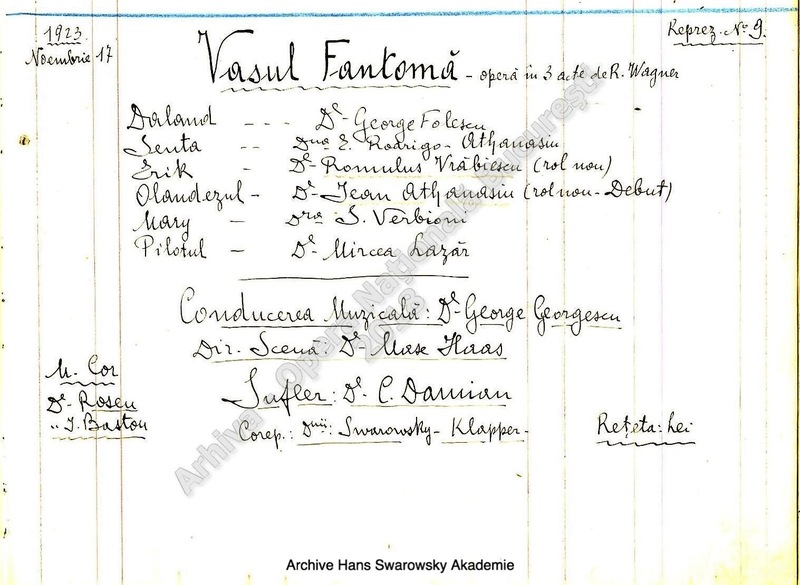 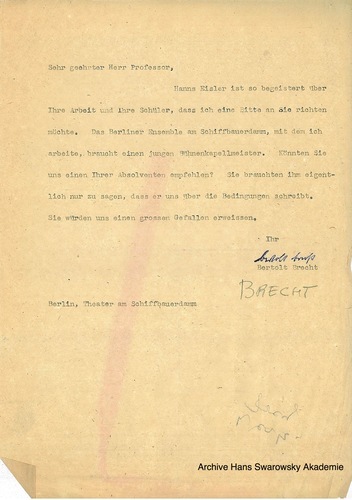 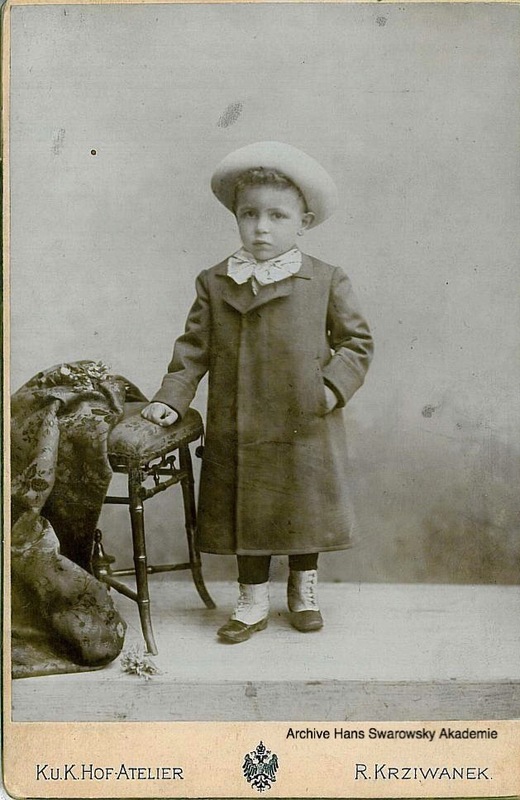 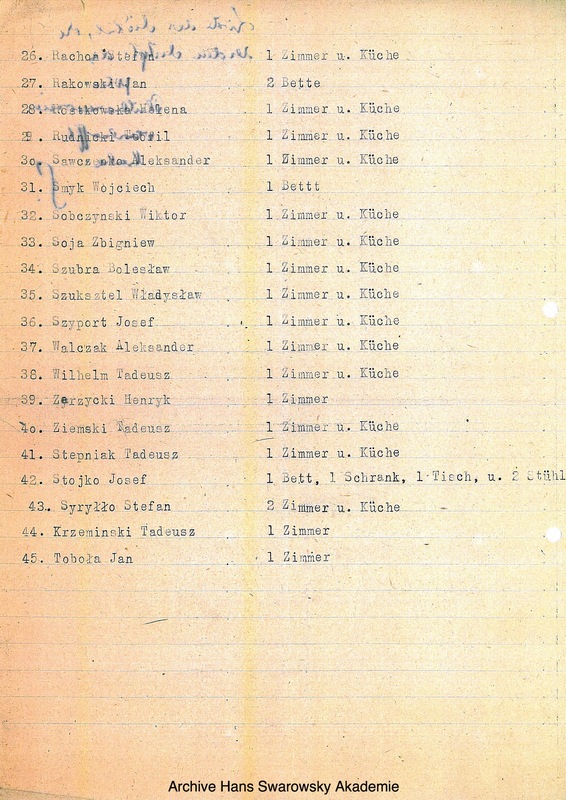 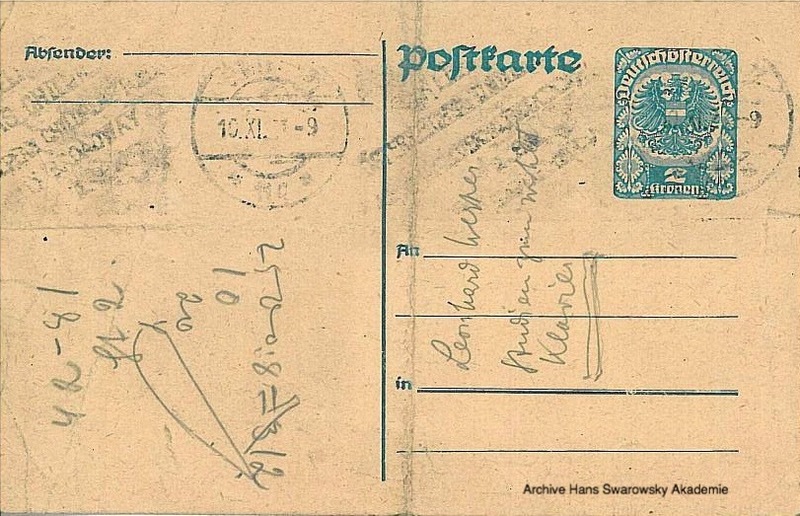 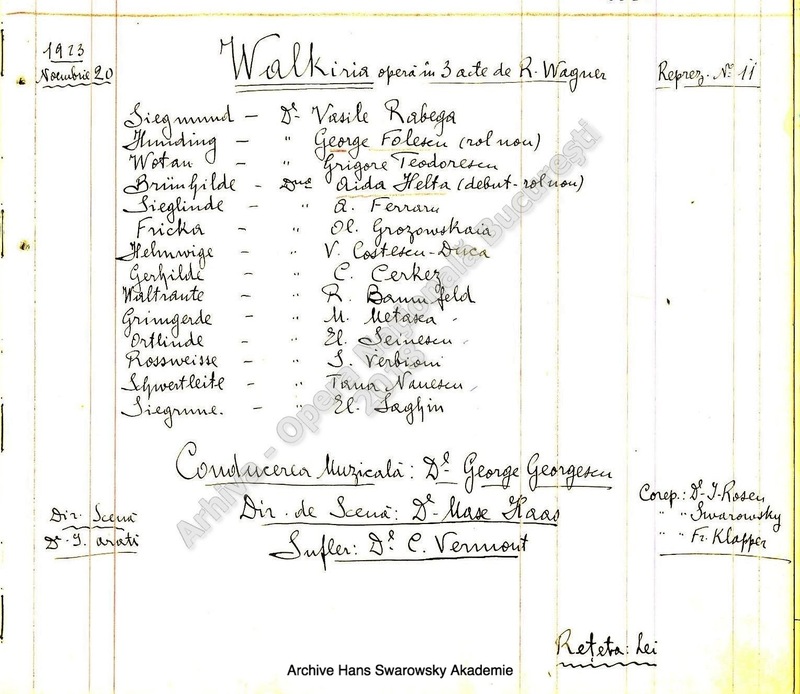 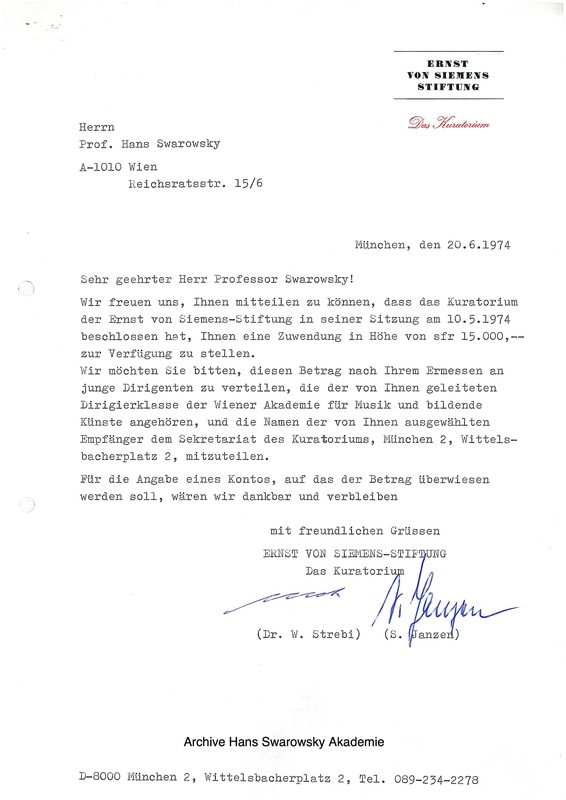 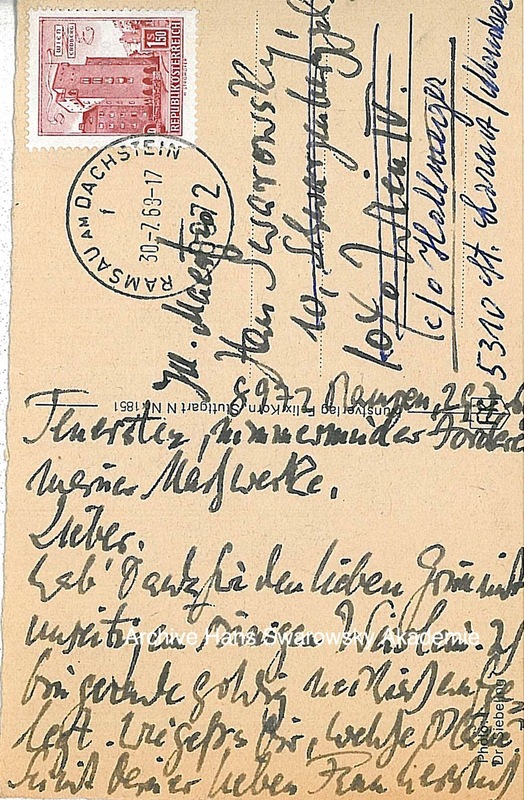 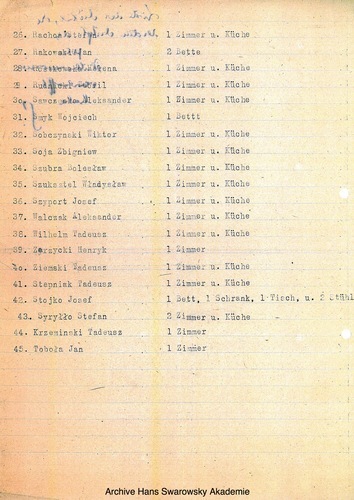 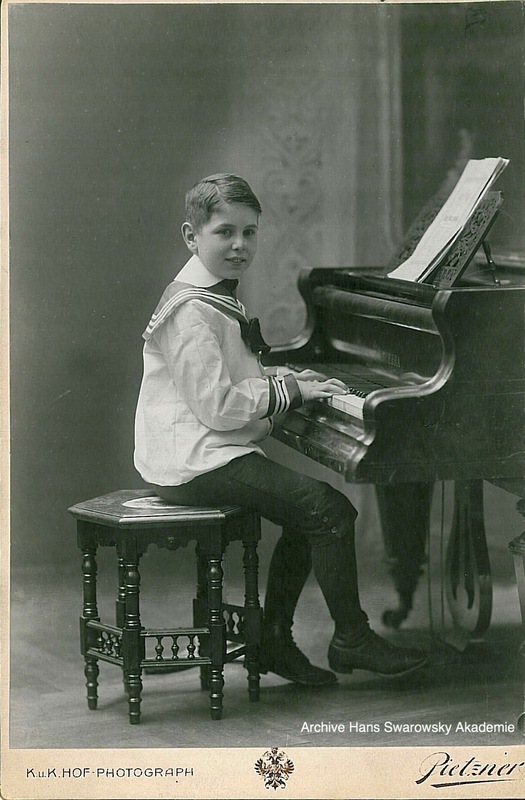 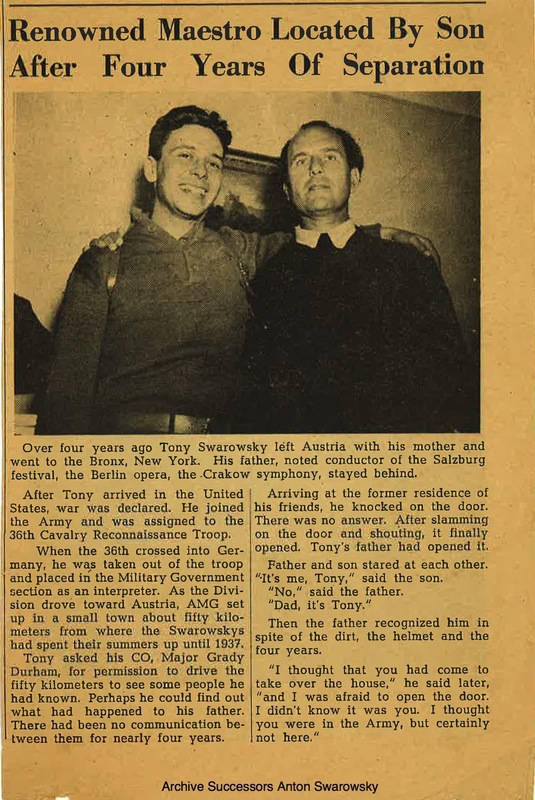 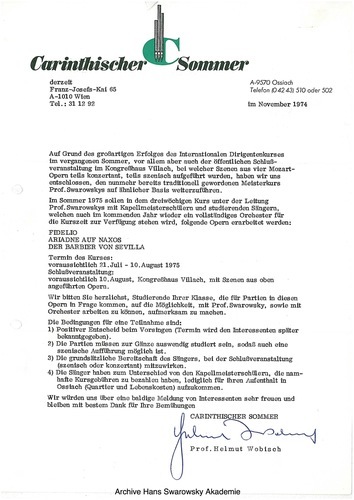 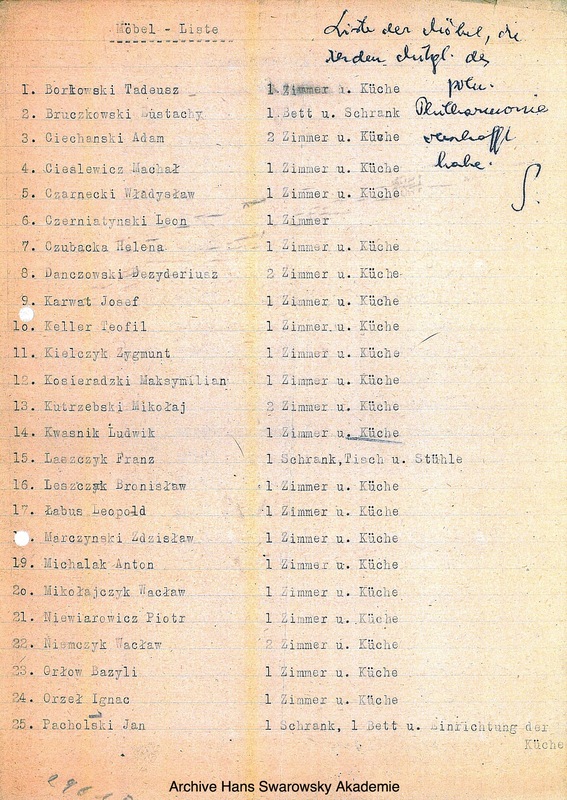 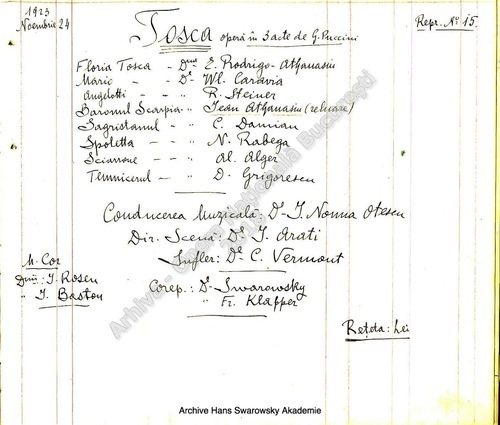 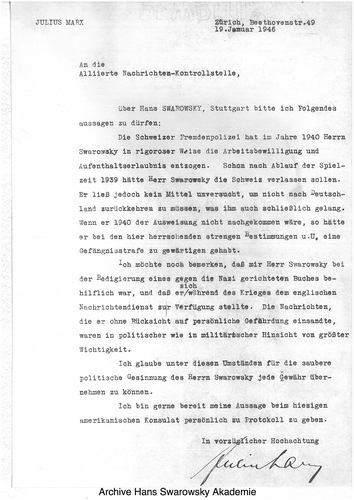 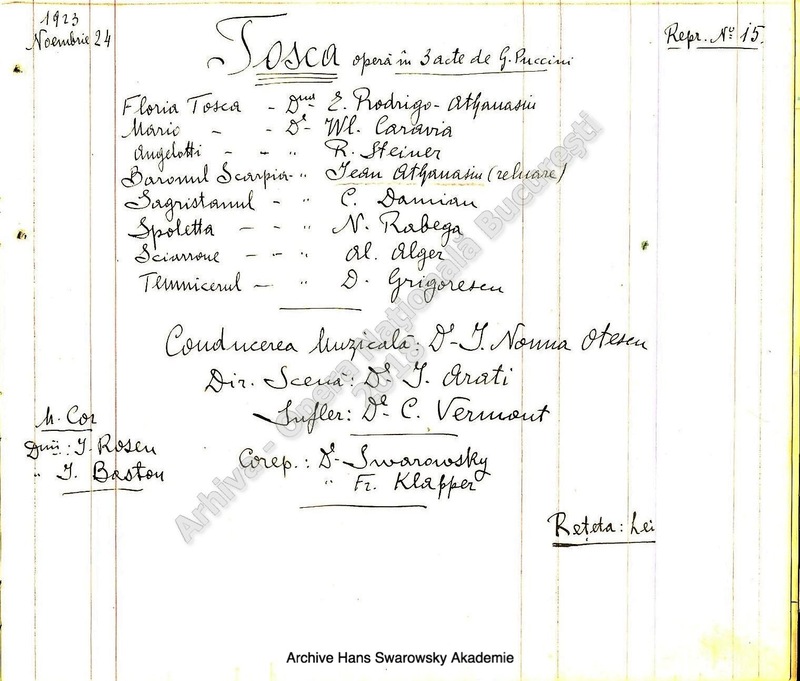 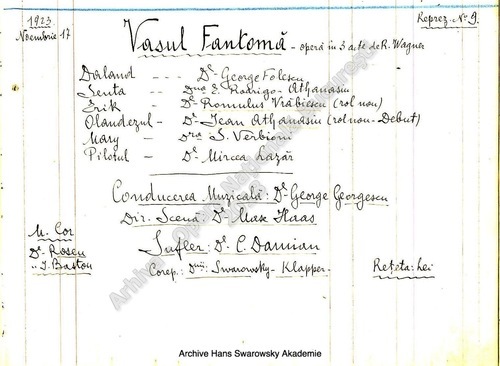 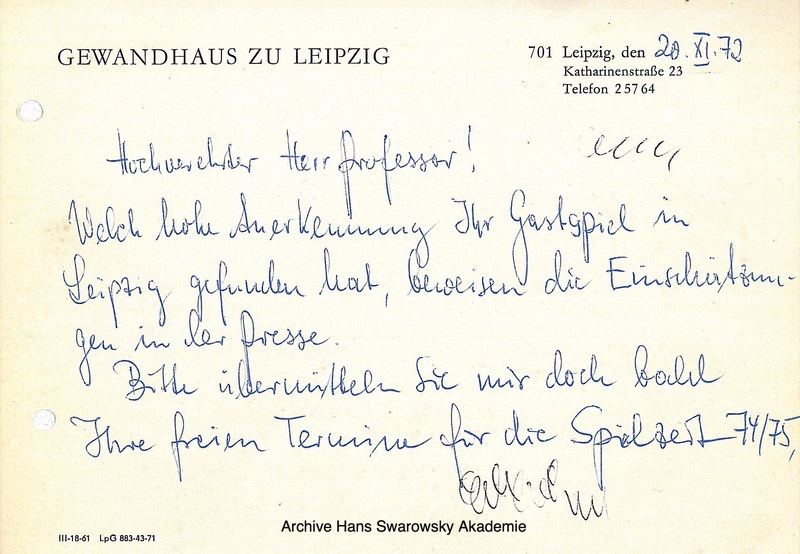 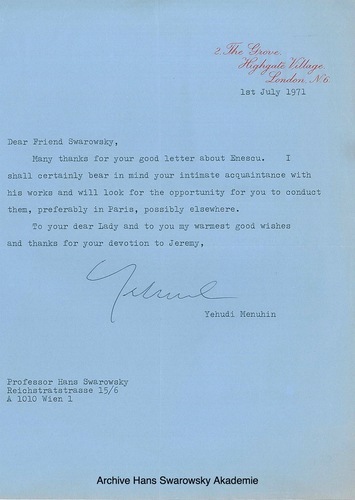 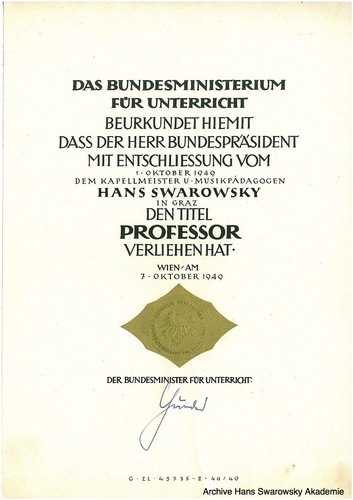 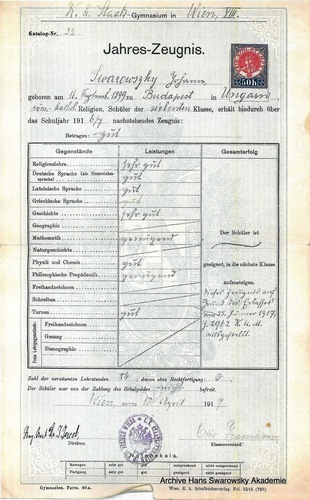 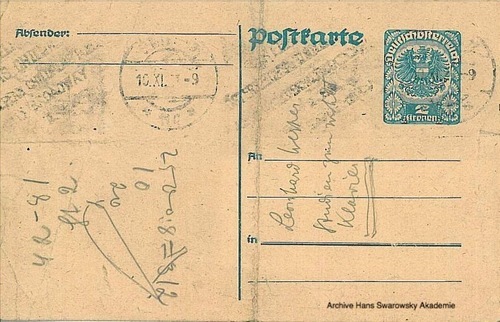 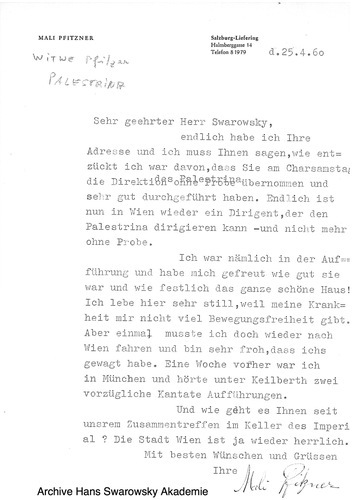 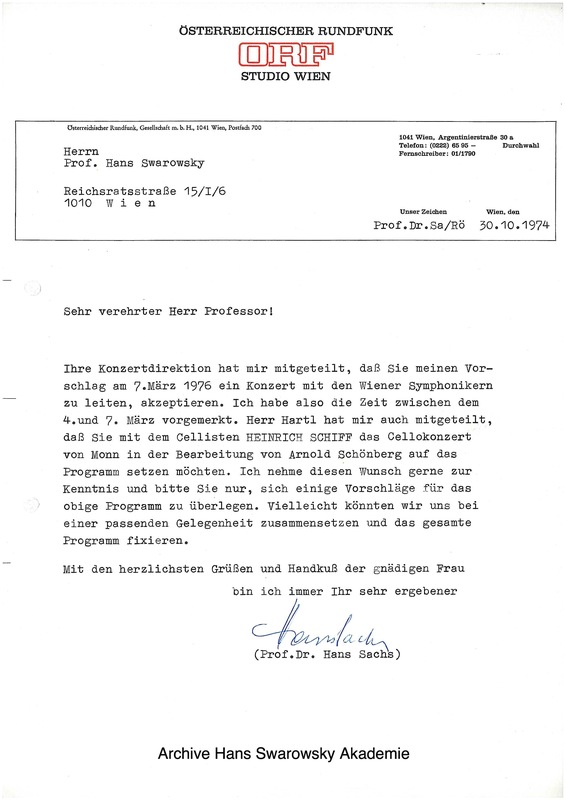 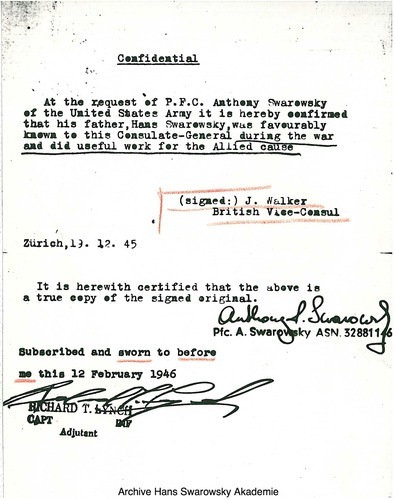 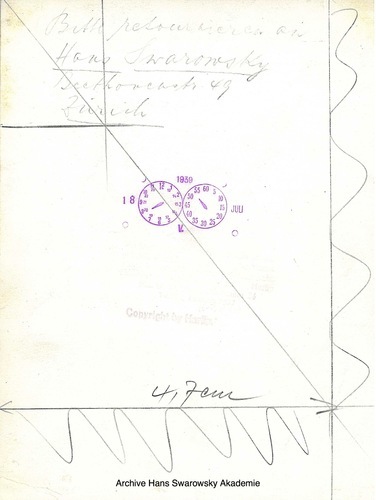 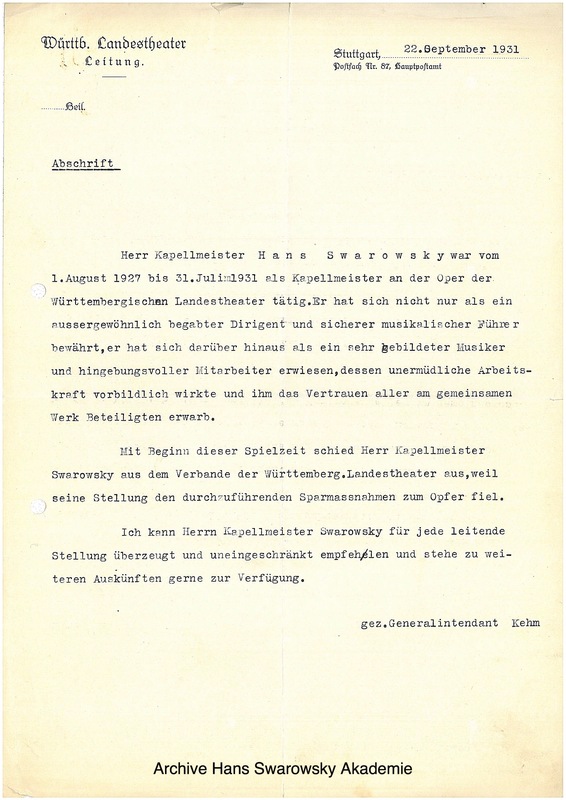 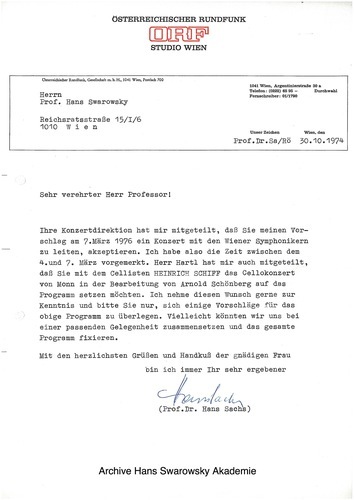 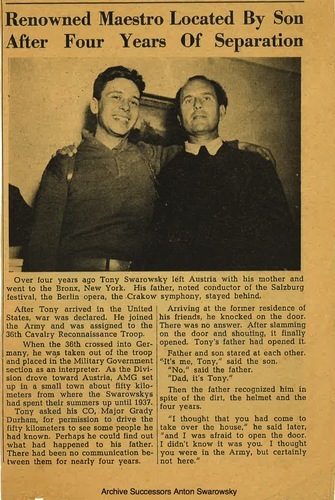 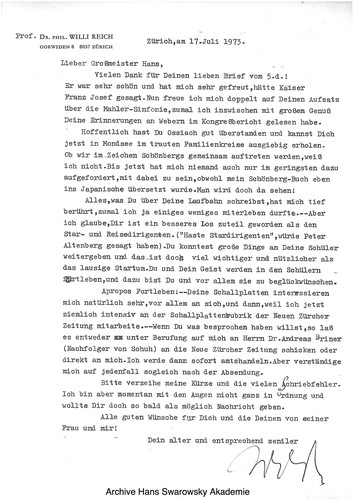 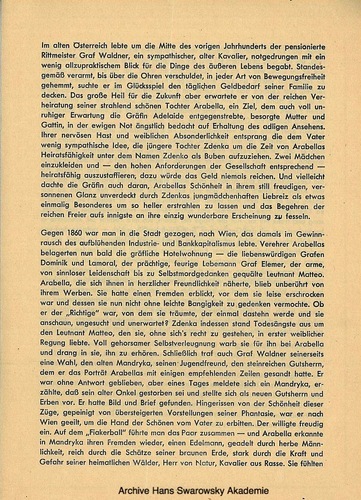 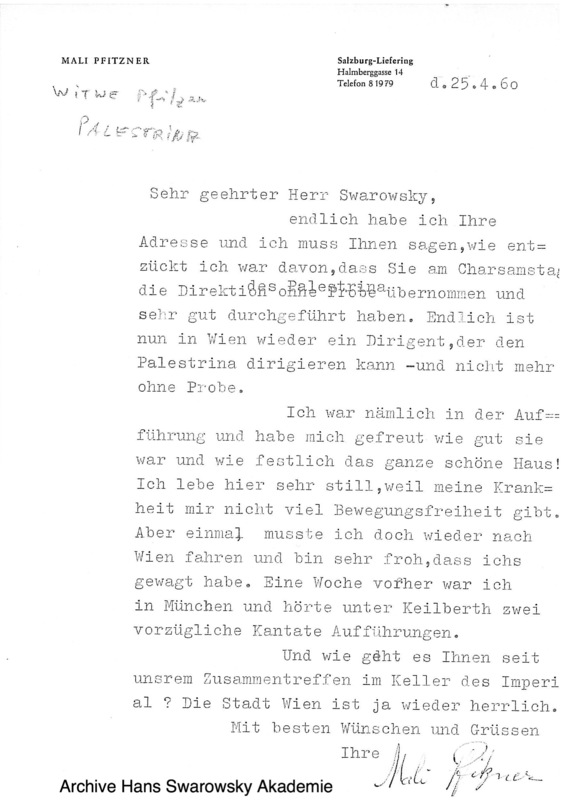 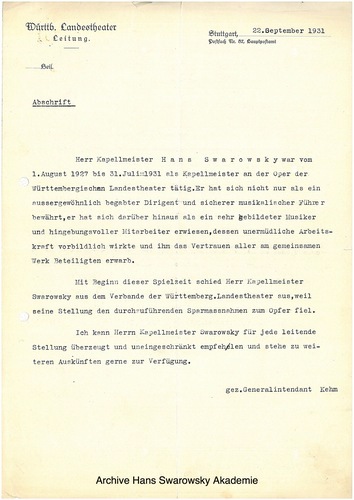 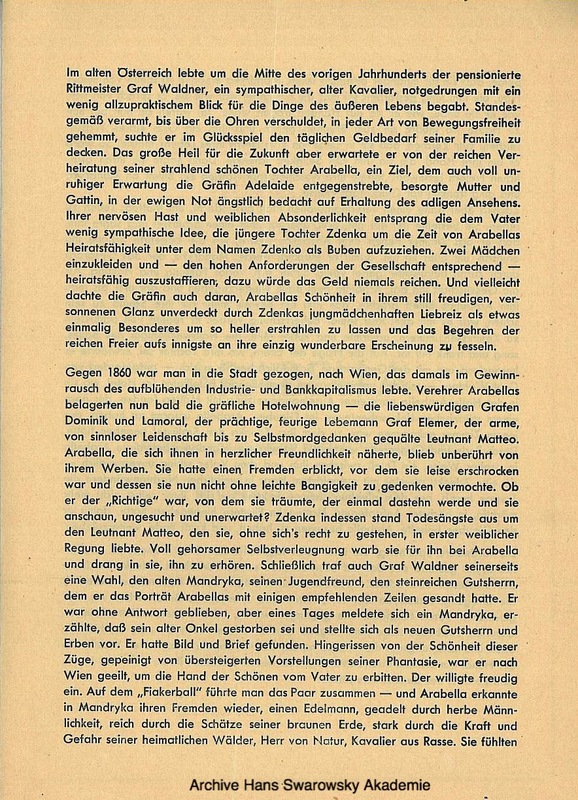 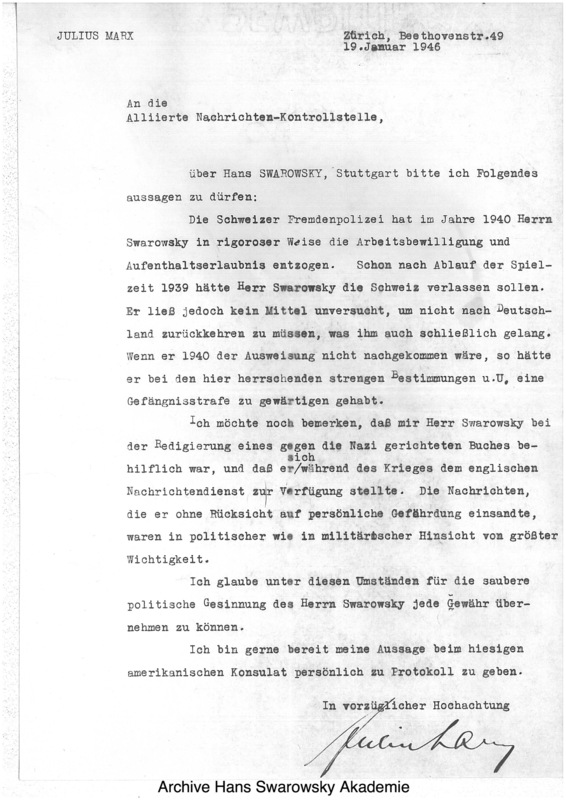 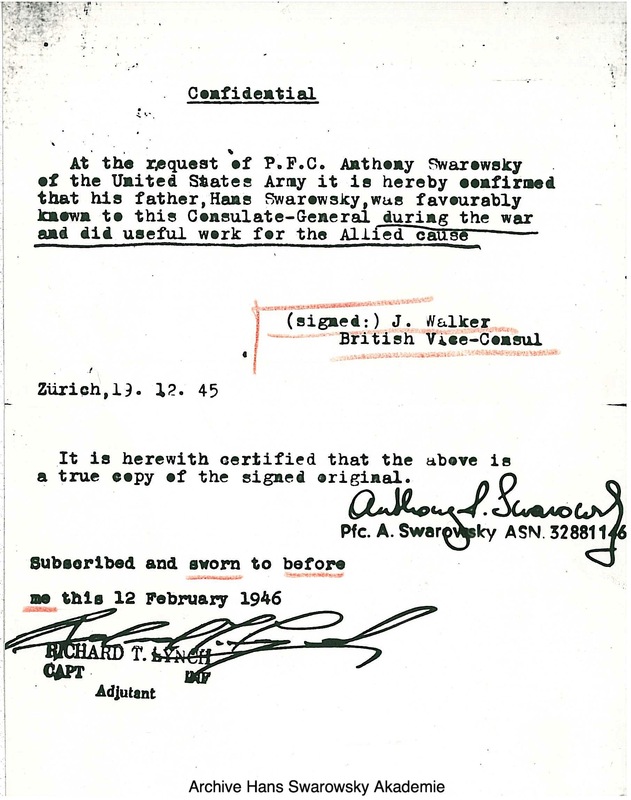 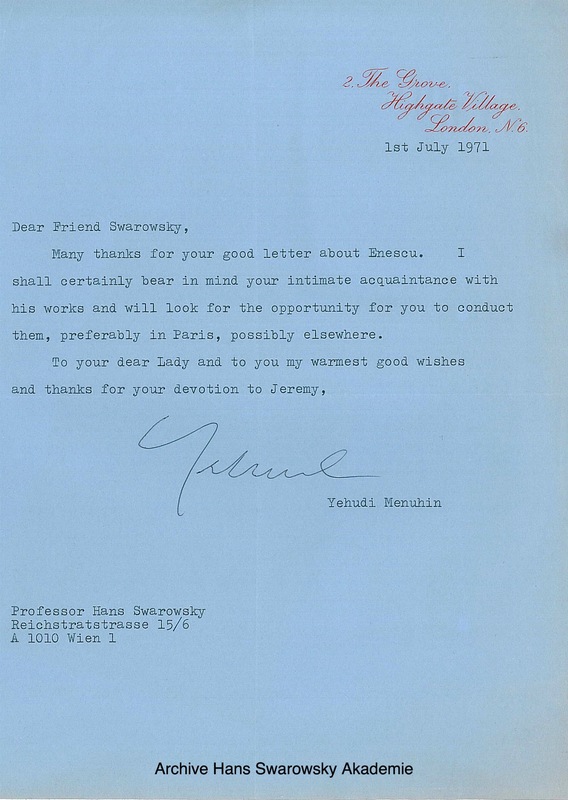 Having been recruited to the Austro - Hungarian Army in WWI, Hans Swarowsky had to do his final exams in secondary school early in the year as so called 'emergency A-levels (Notmatura), bevor being sent to war in Italy. 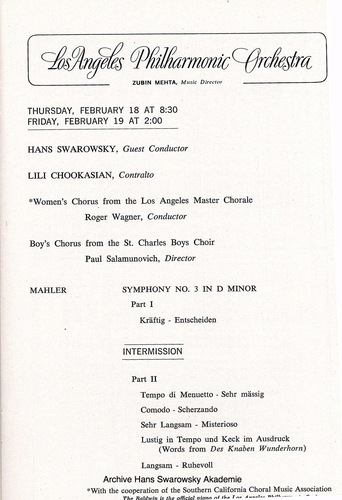 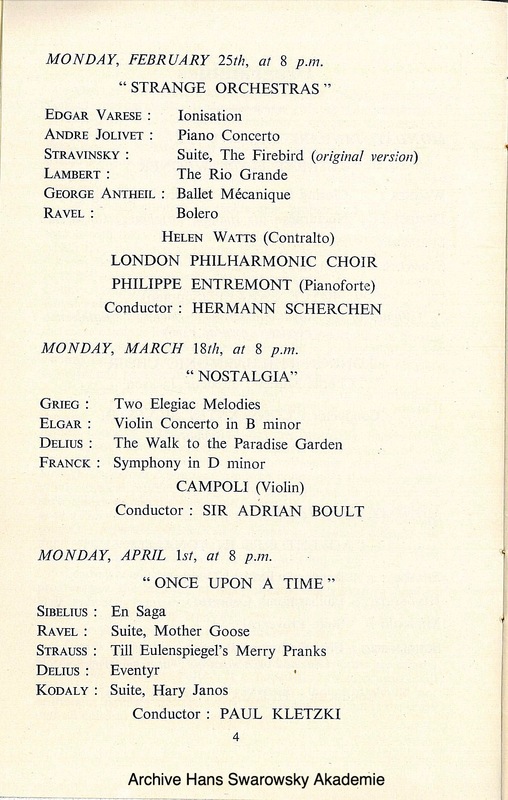 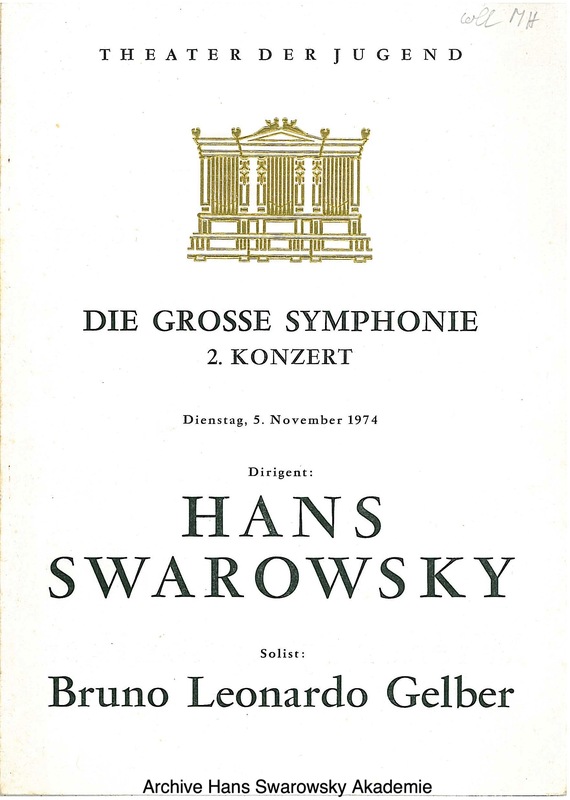 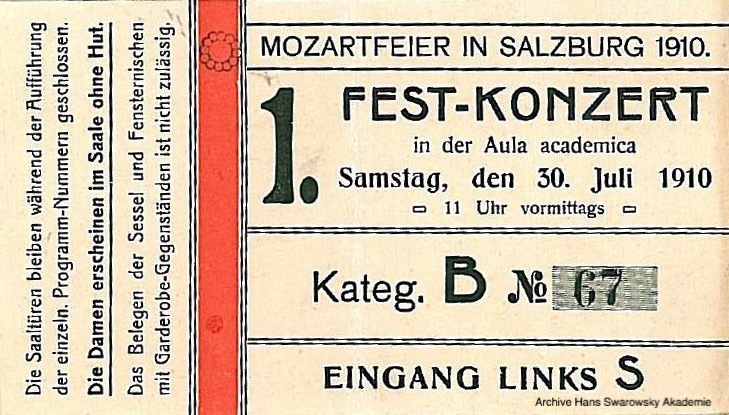 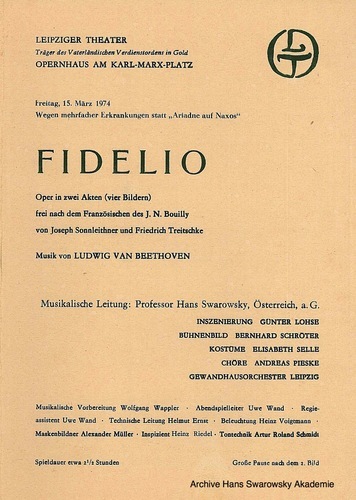 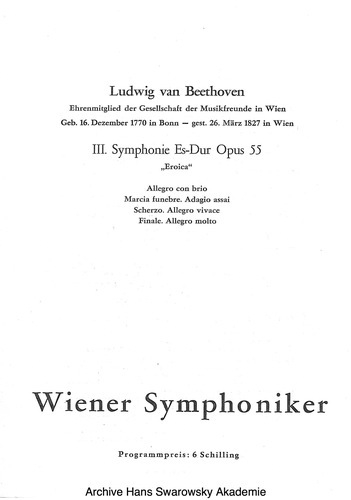 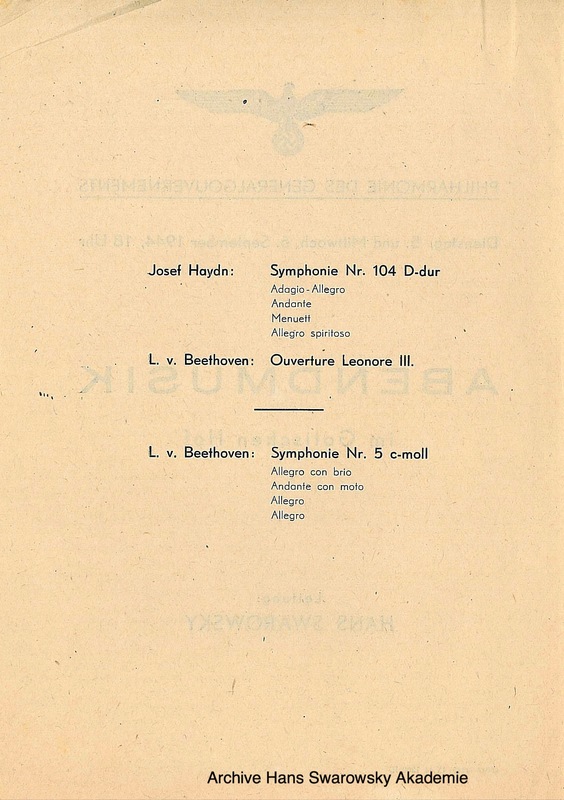 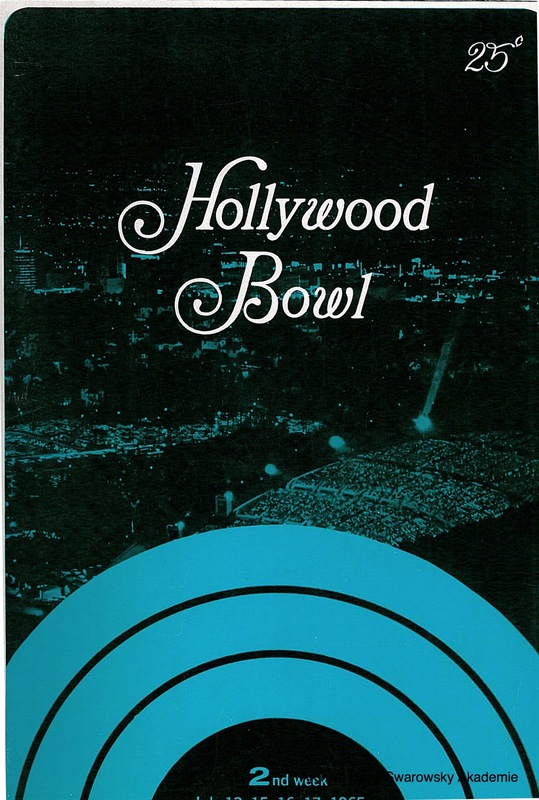 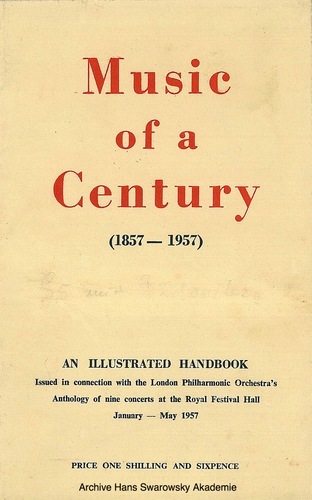 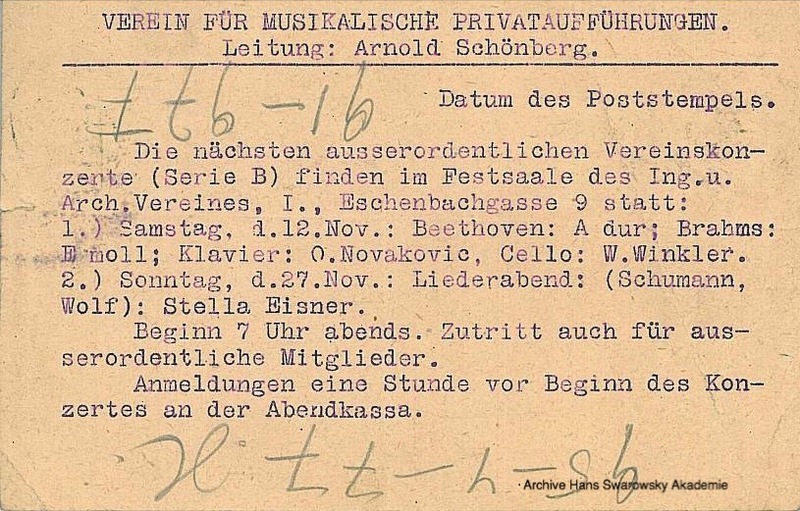 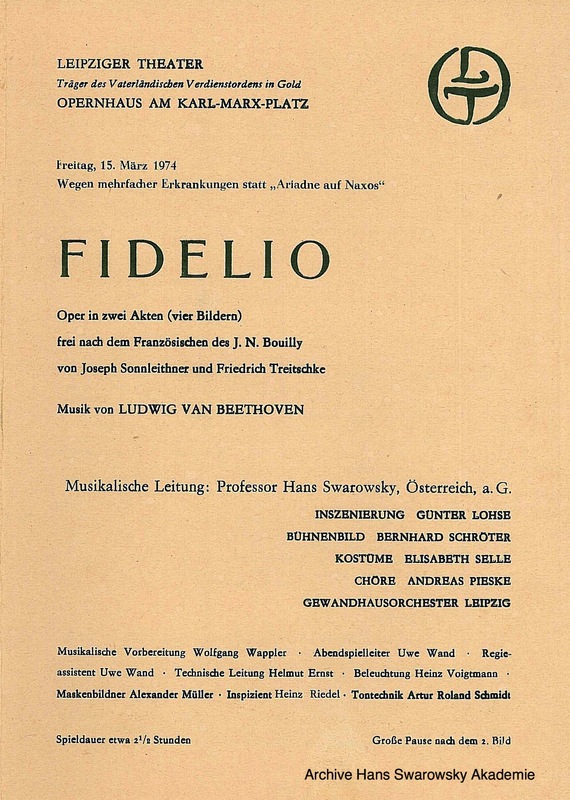 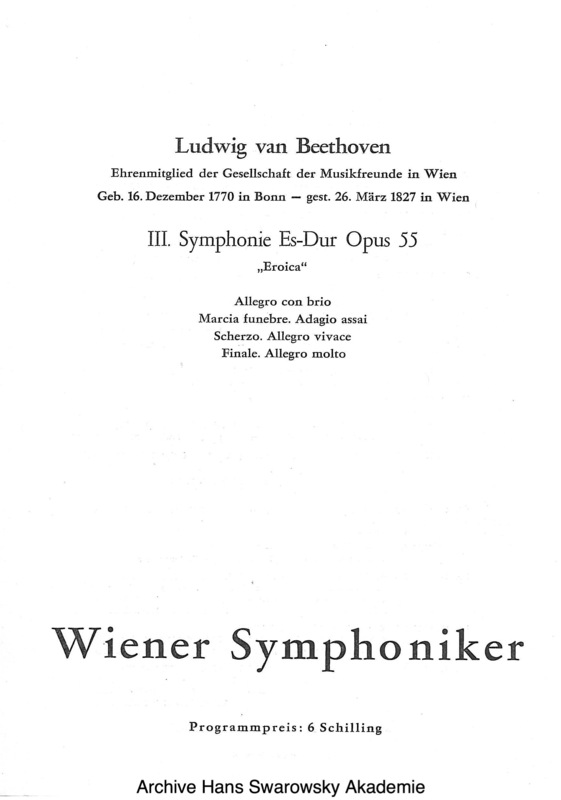 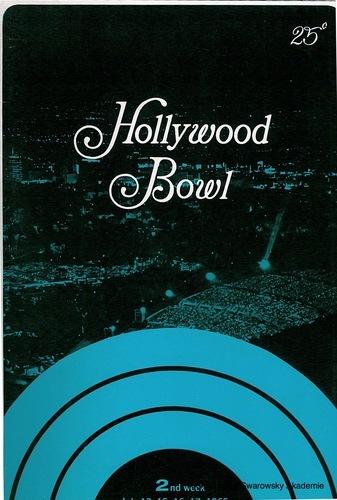 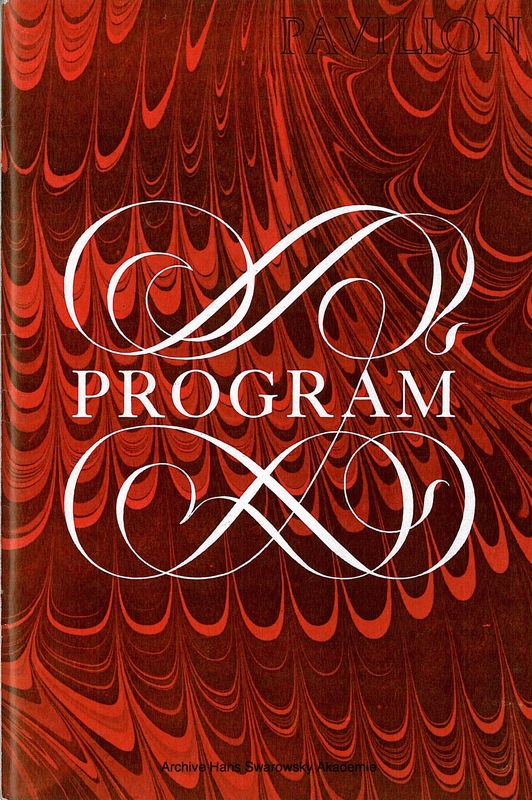 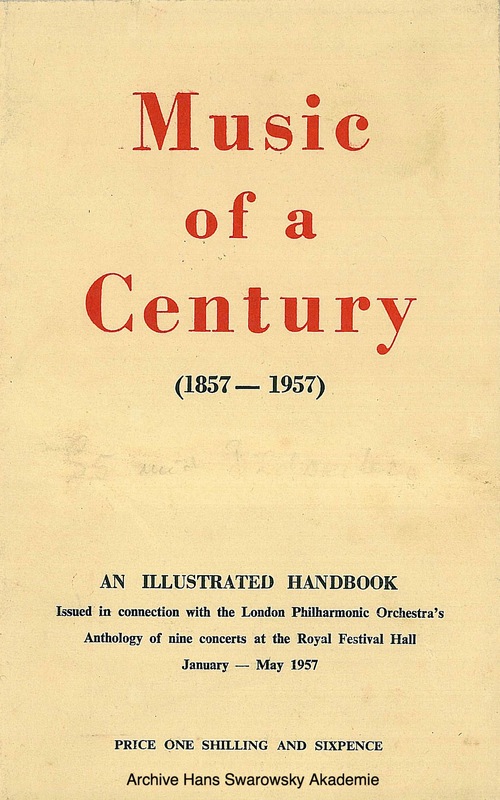 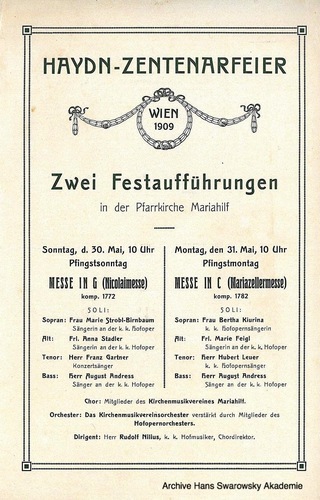 Swarowsky heard Beethoven's Ninth for the first time at this festival concert in 1910, celebrating the 50th anniversaty of the Vienna Philharmonic Orchestra's subscription series. 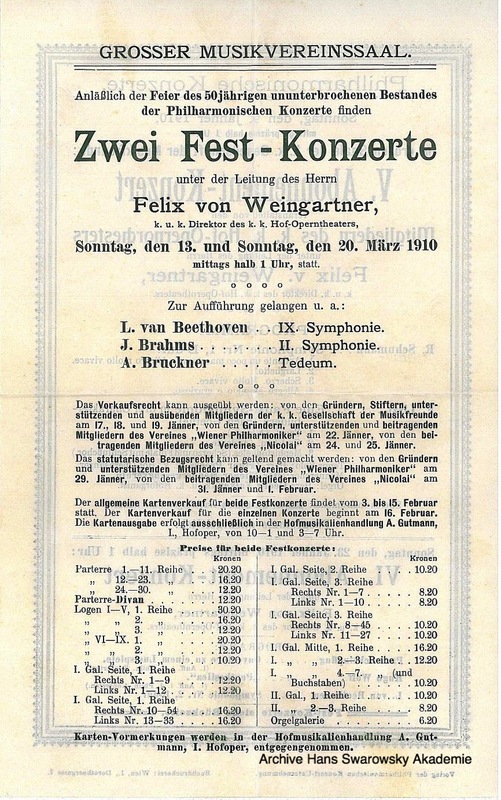 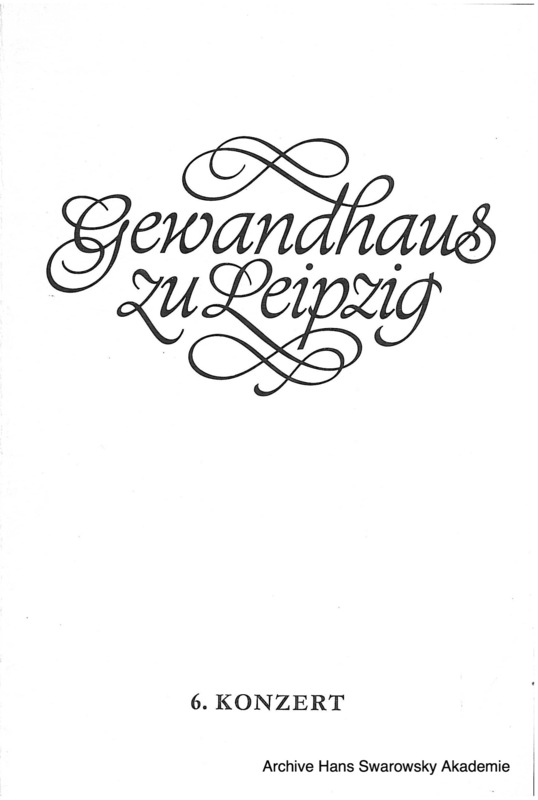 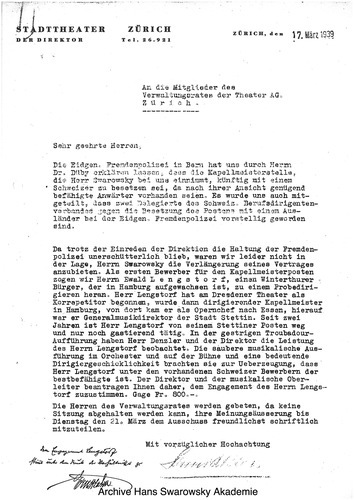 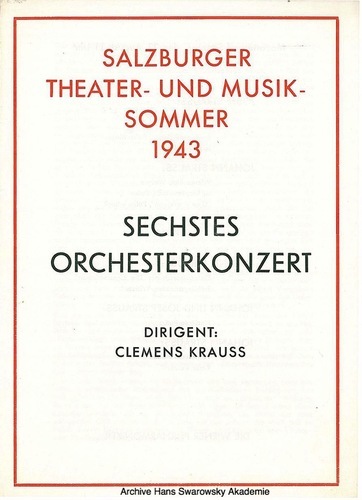 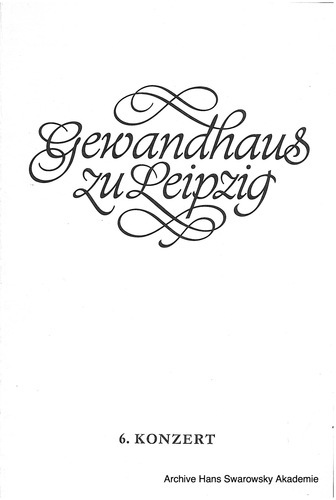 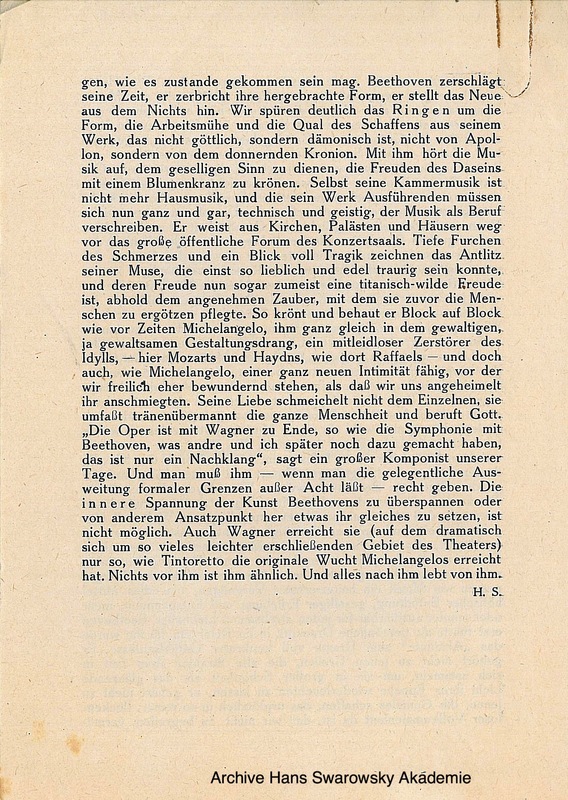 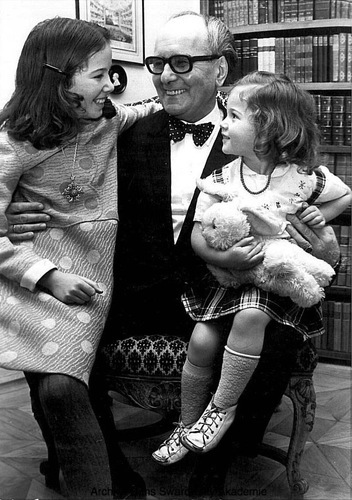 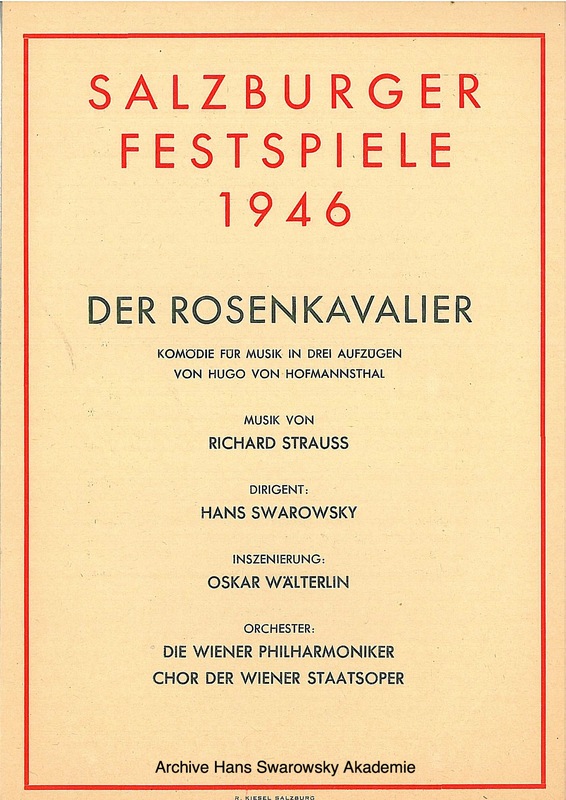 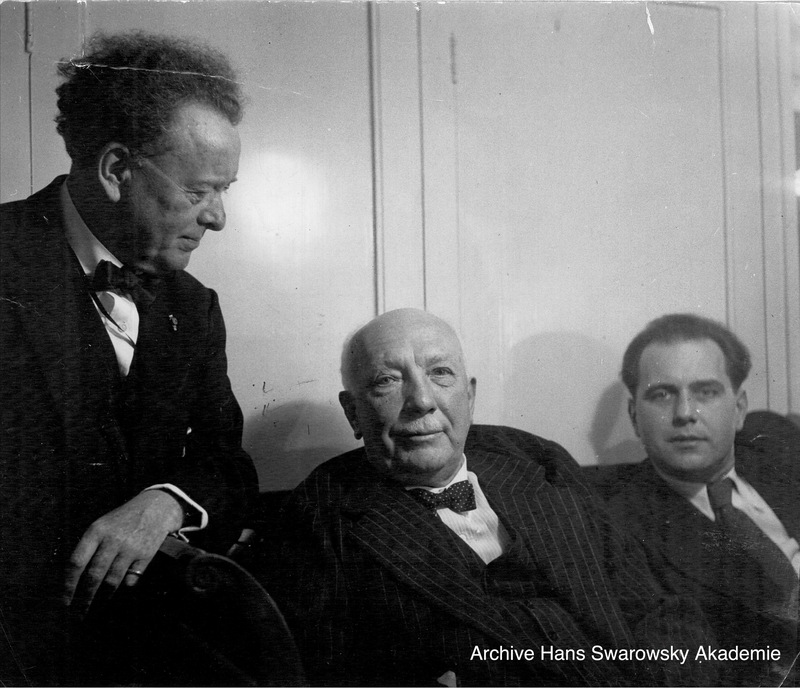 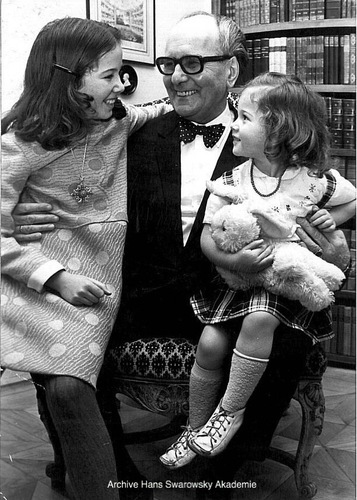 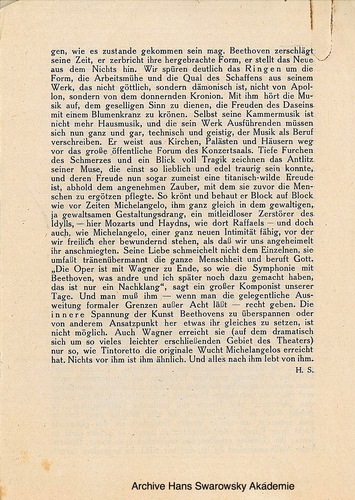 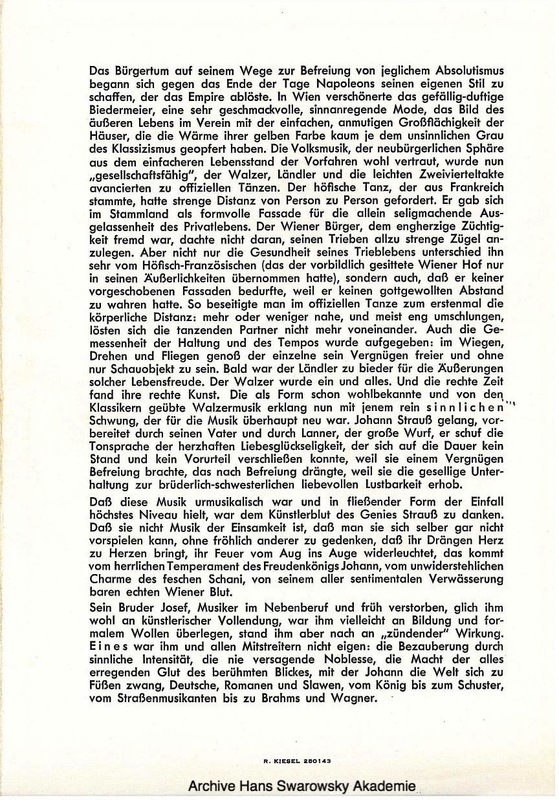 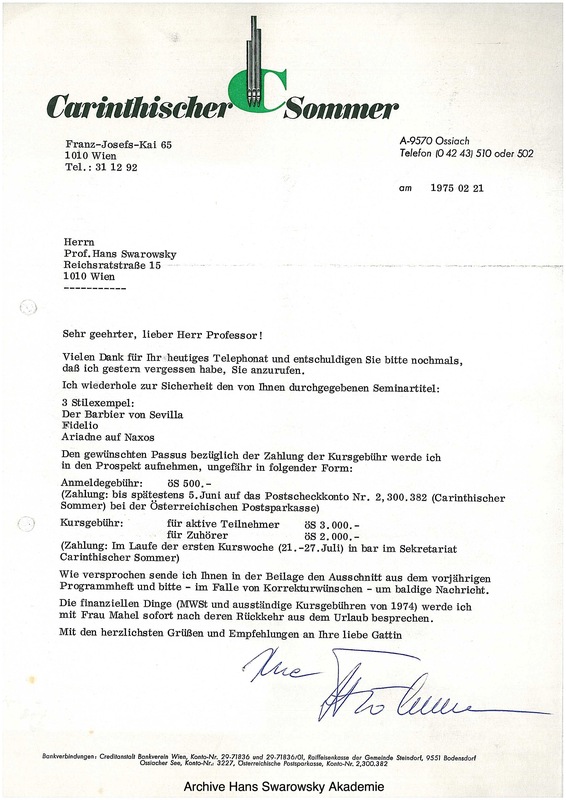 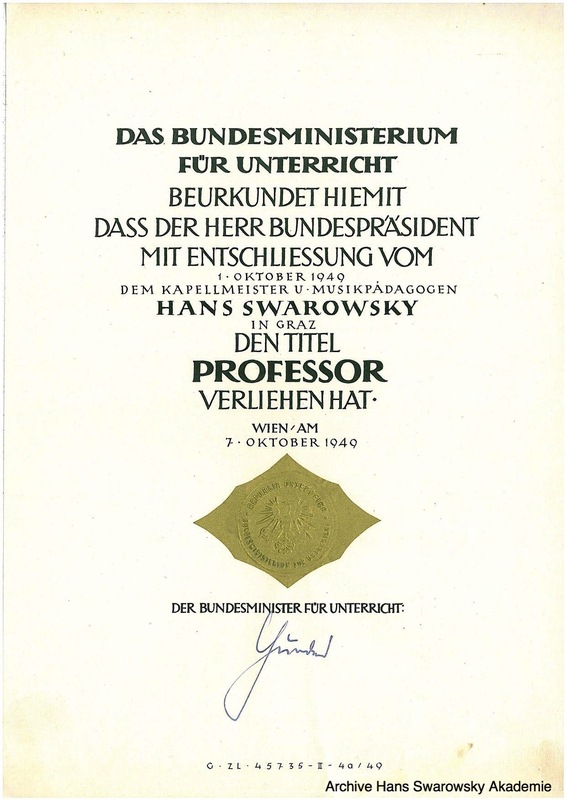 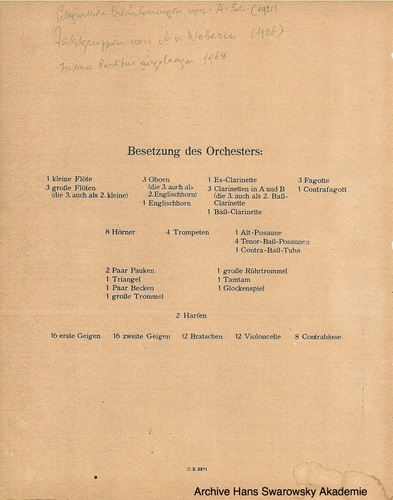 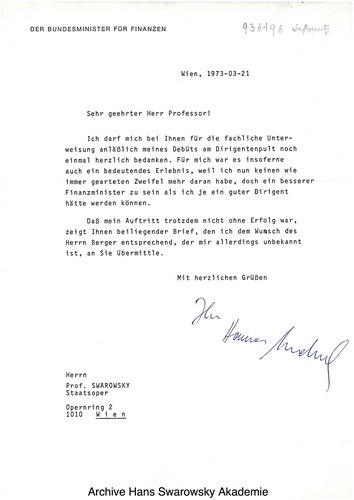 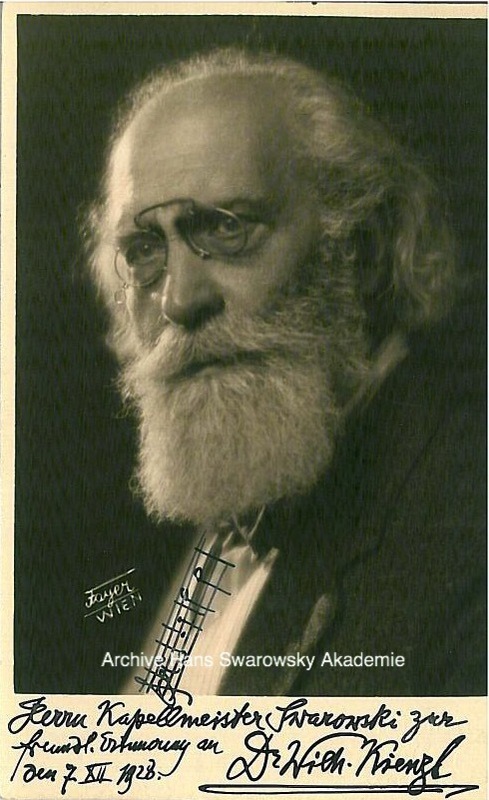 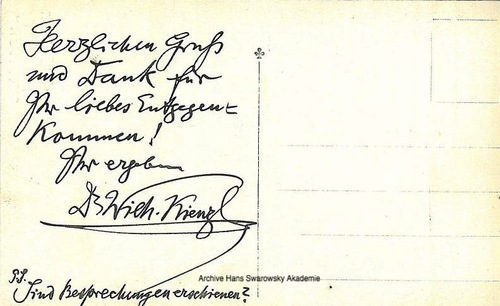 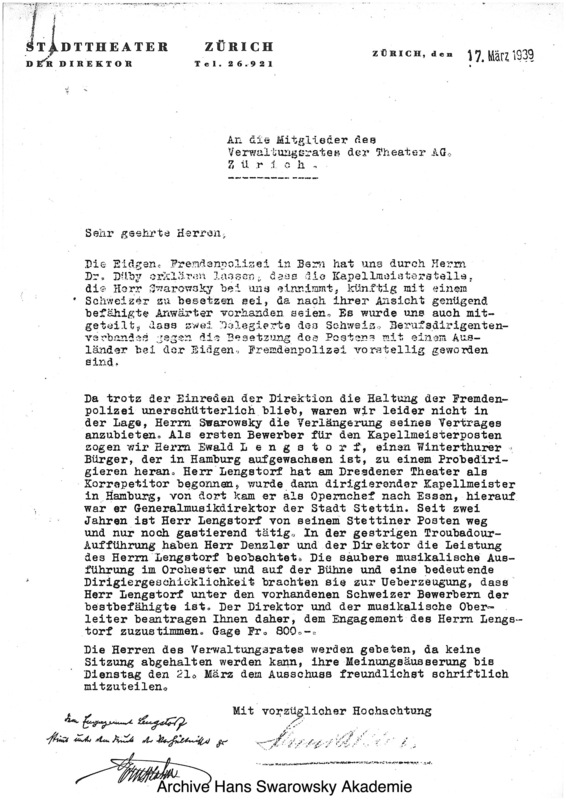 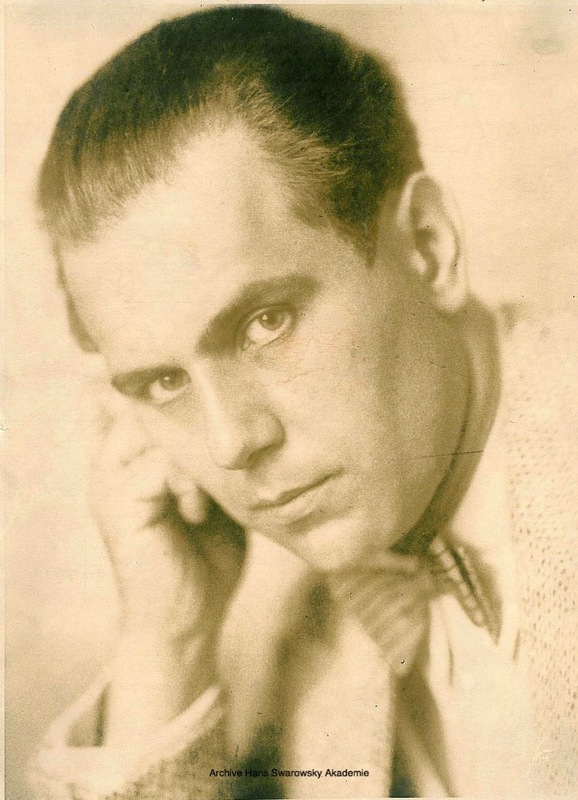 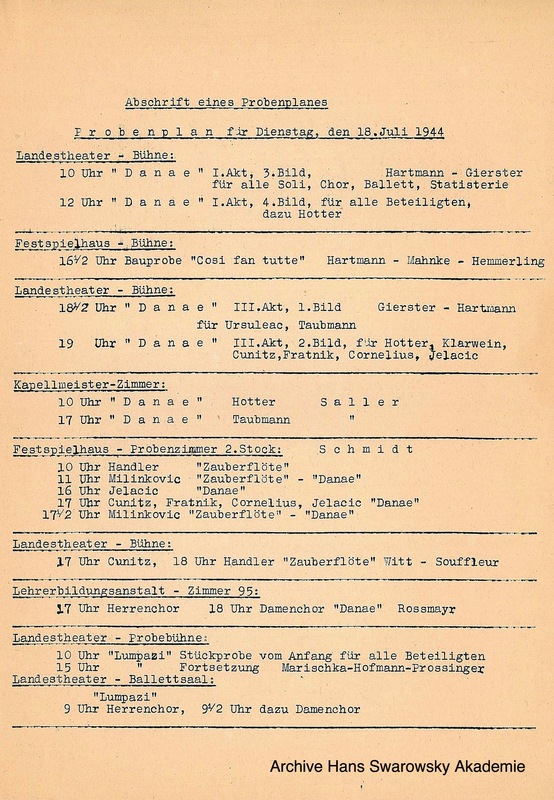 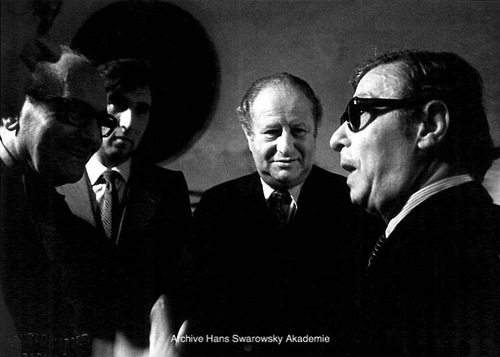 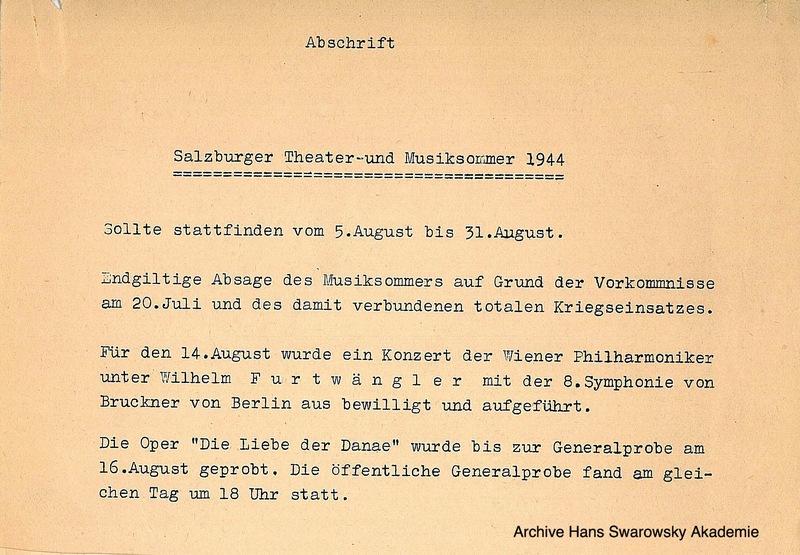 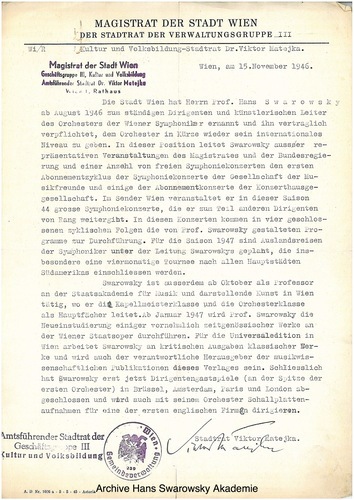 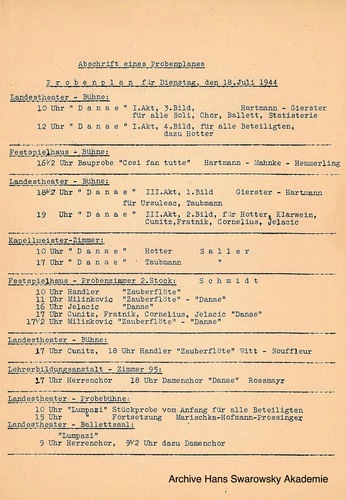 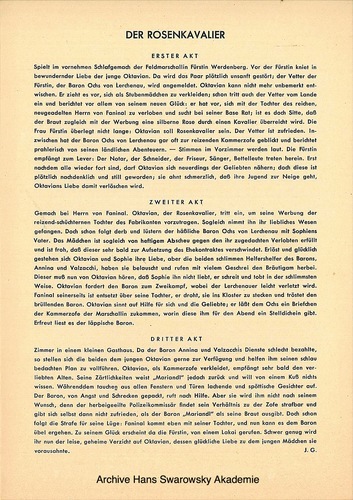 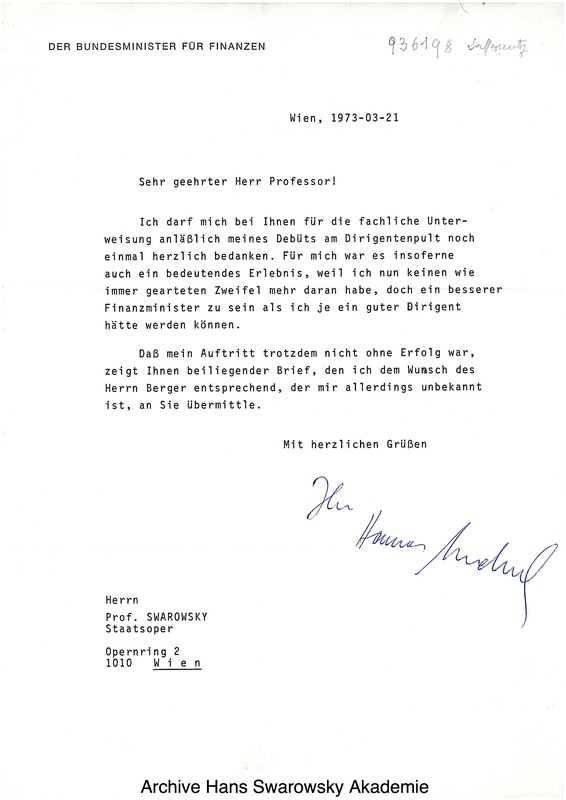 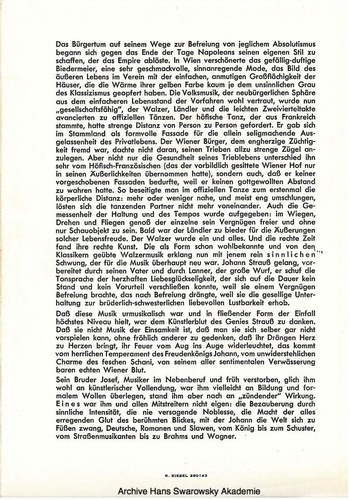 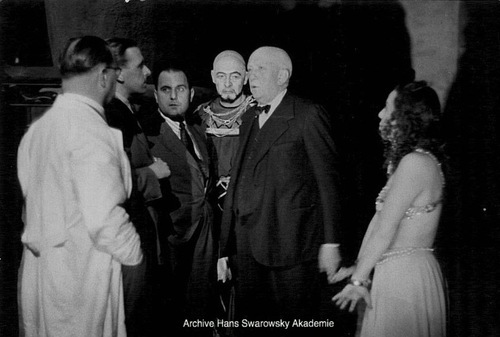 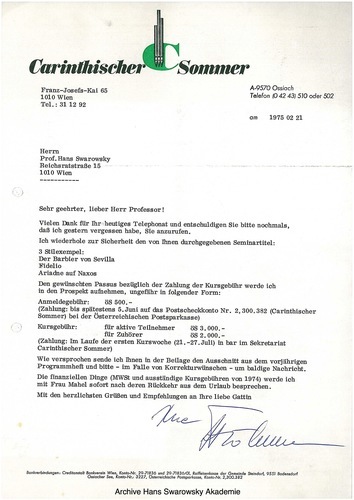 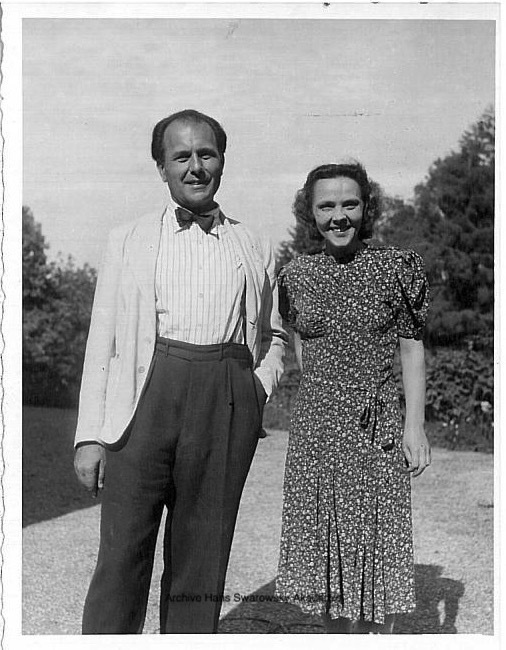 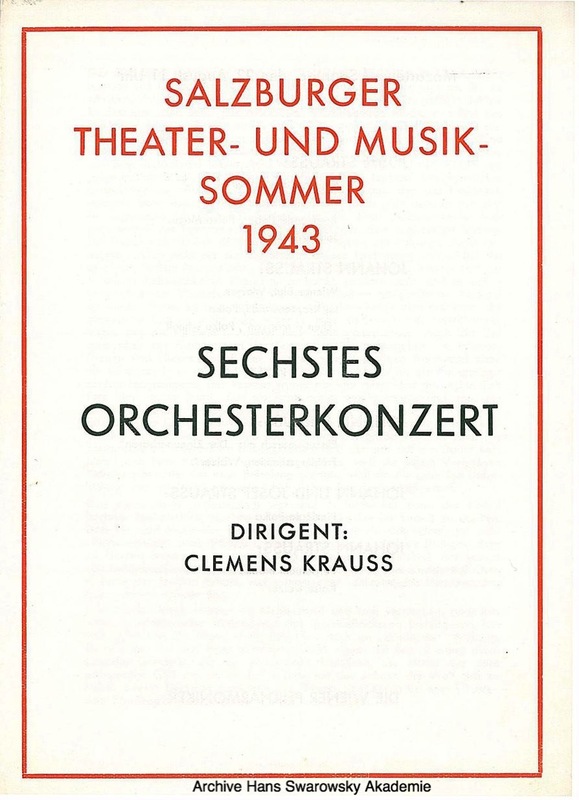 Felix Weingartner became Swarowsky's teacher from 1920 onwards and tt's thanks to Weingartner that Swarowsky got his employment at the Vienna Volksoper in 1922. 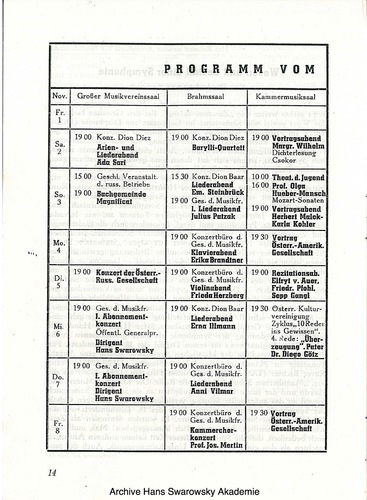 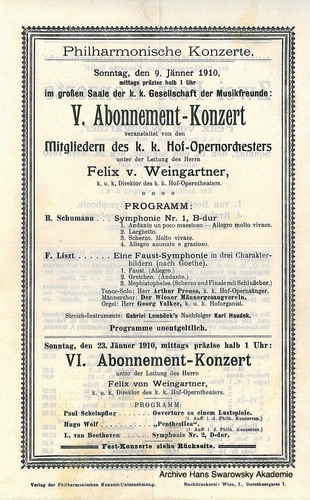 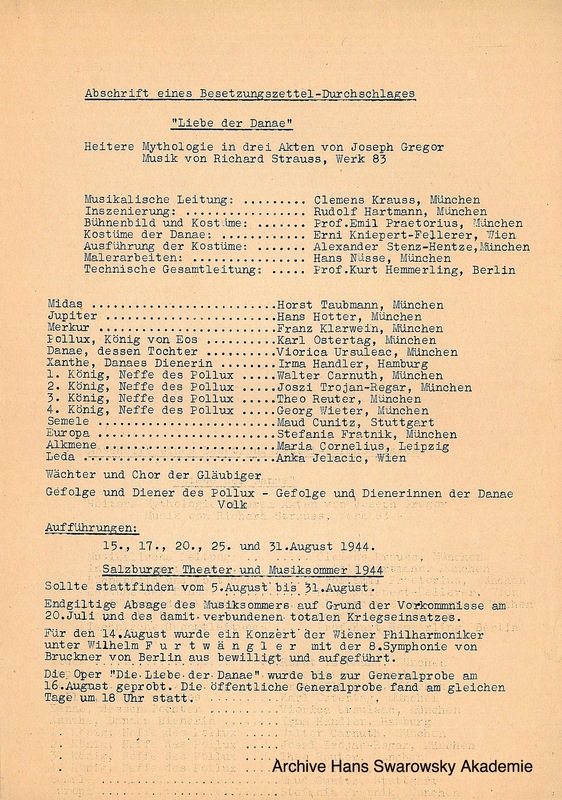 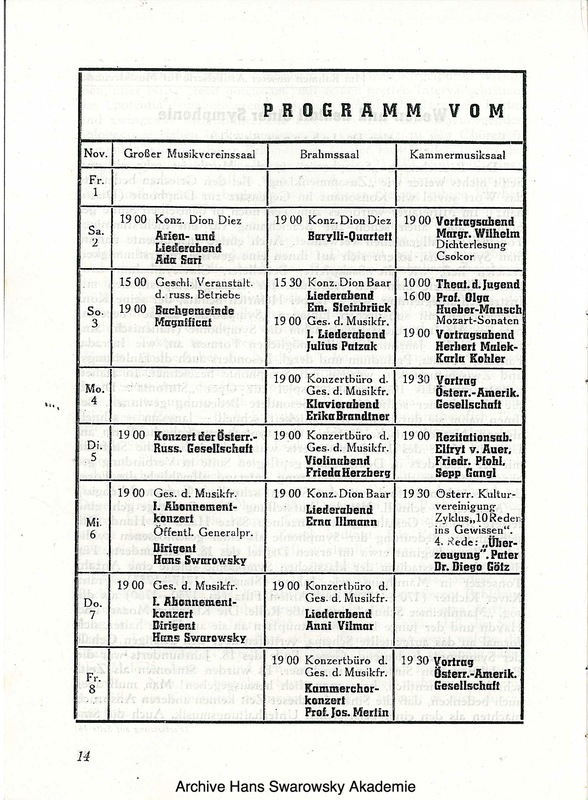 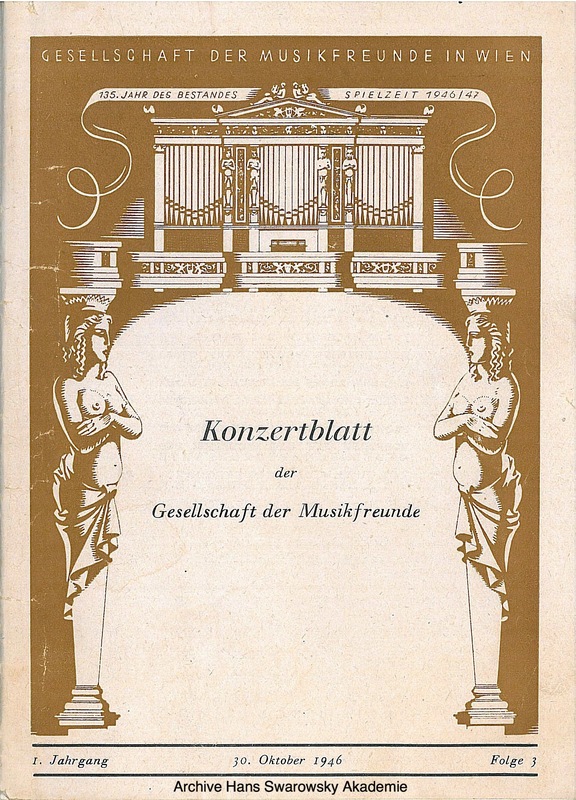 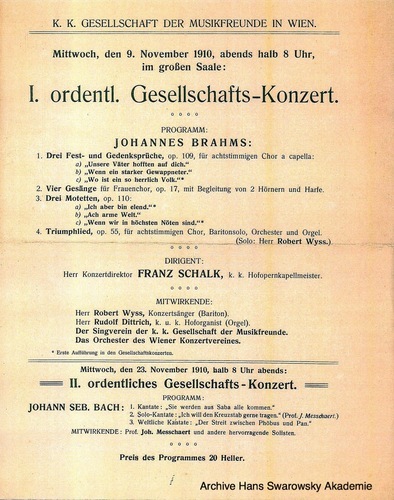 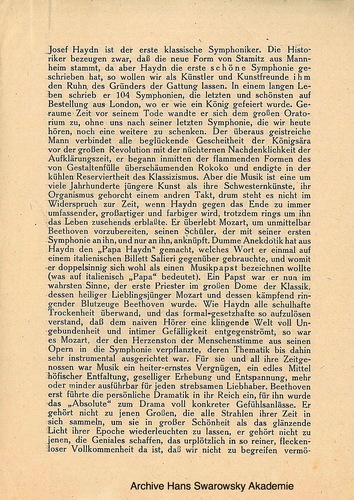 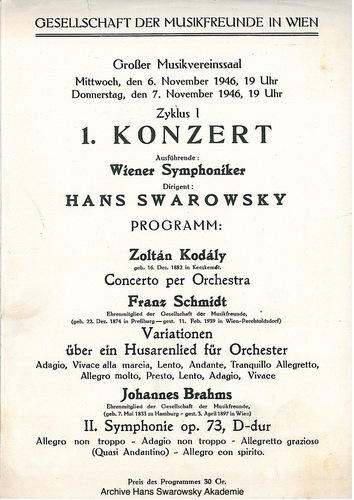 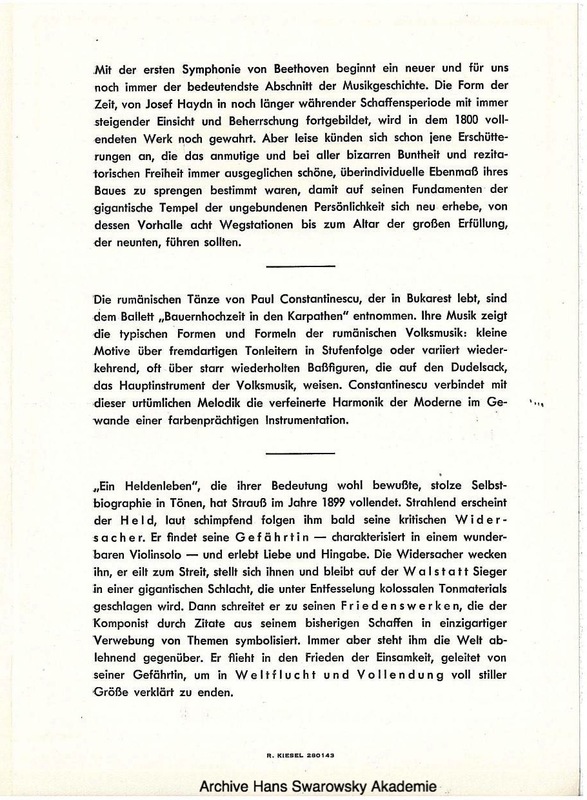 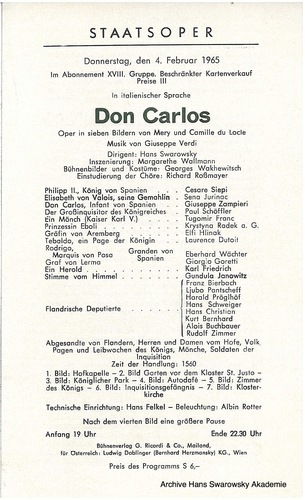 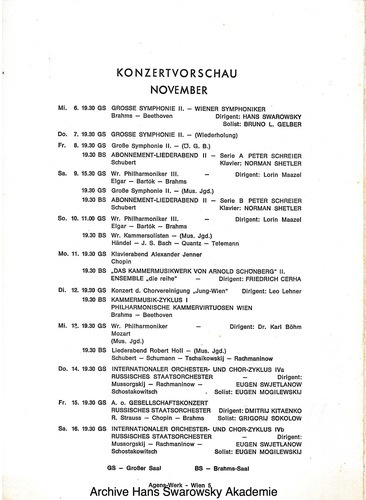 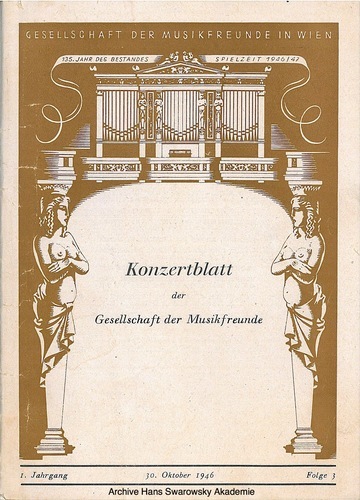 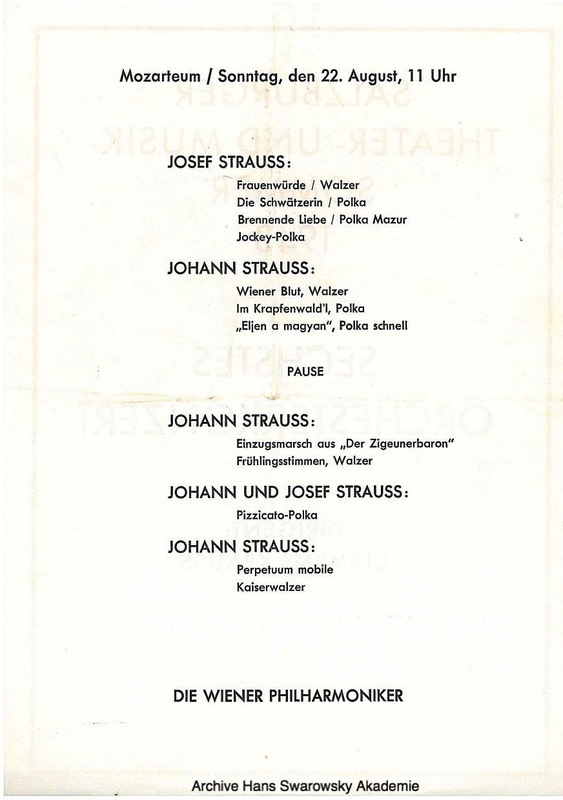 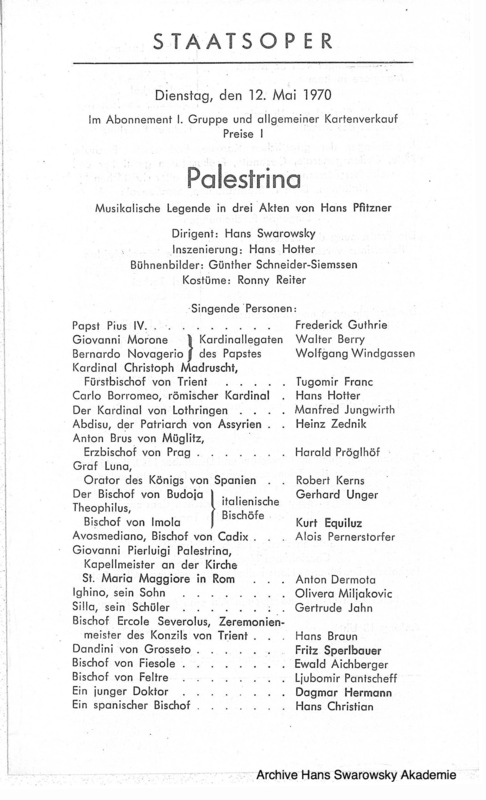 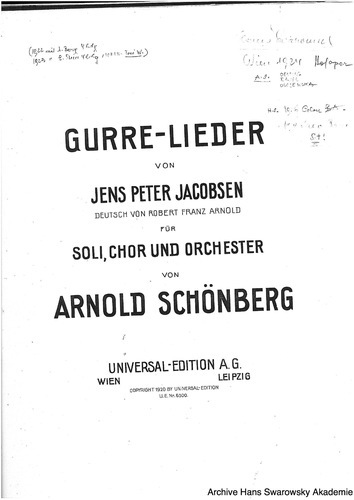 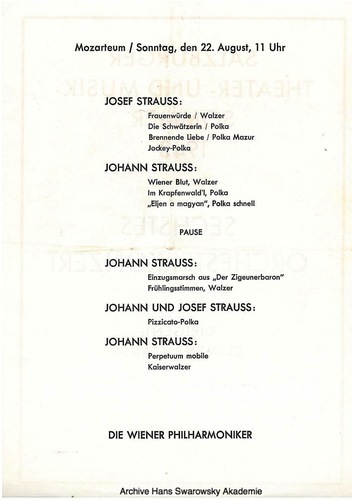 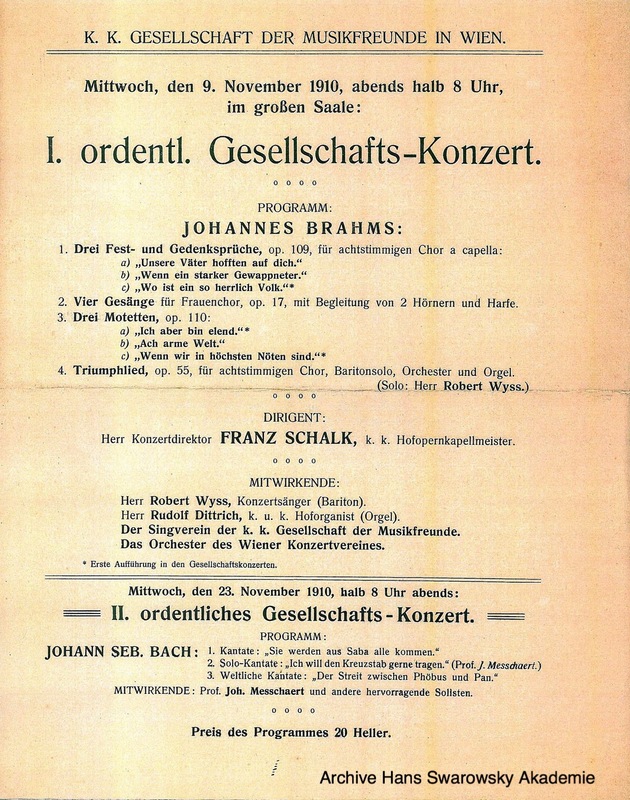 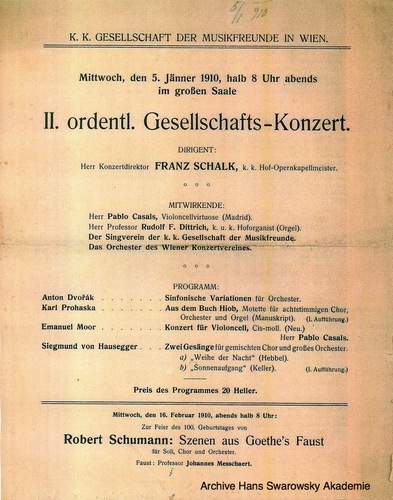 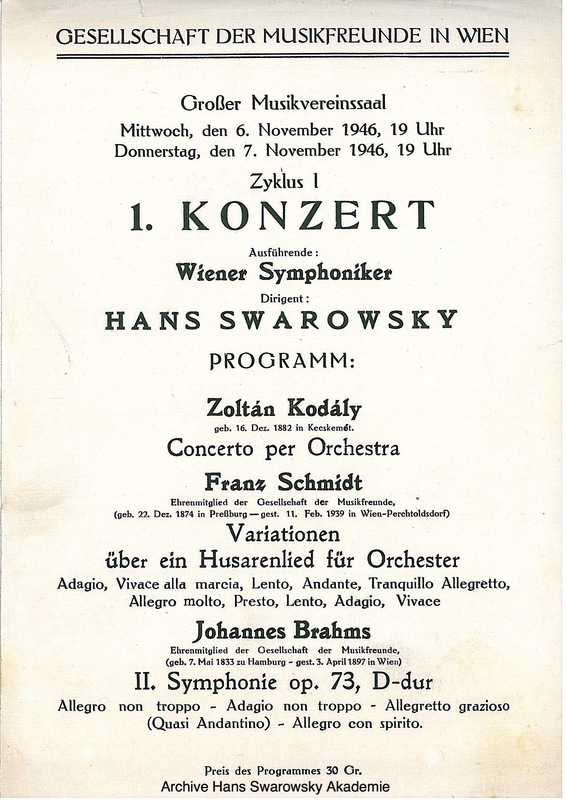 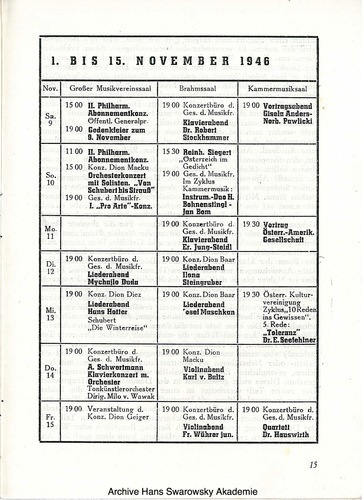 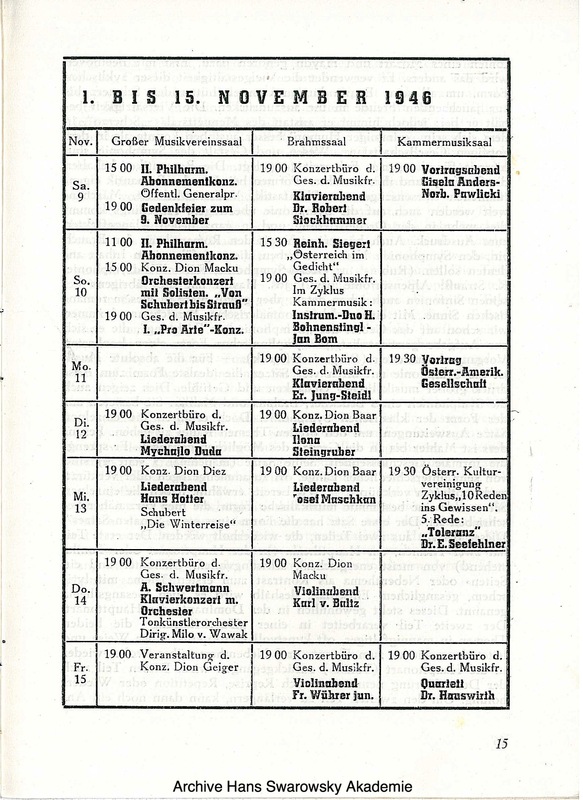 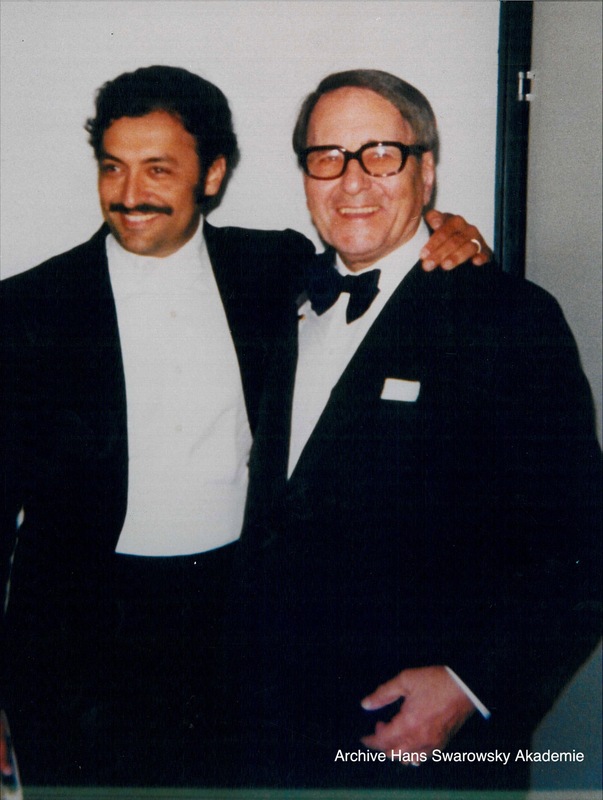 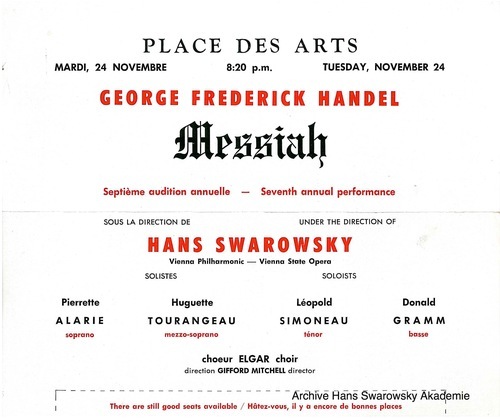 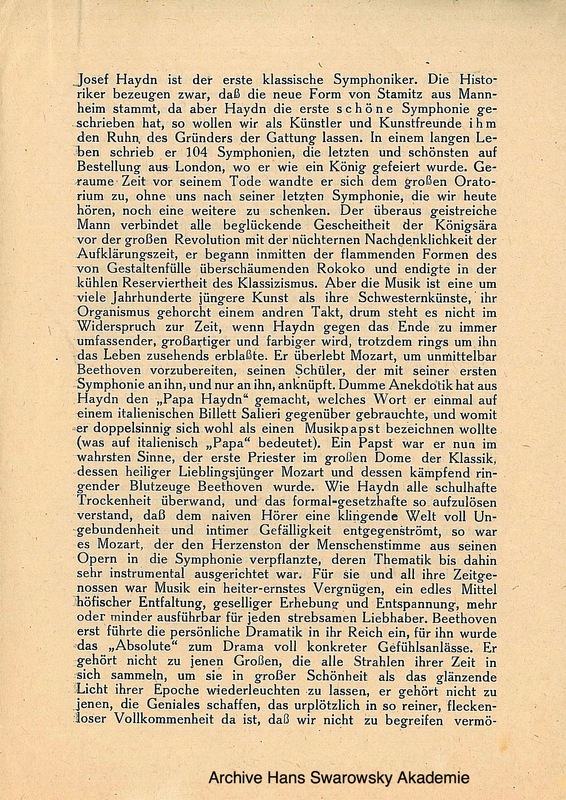 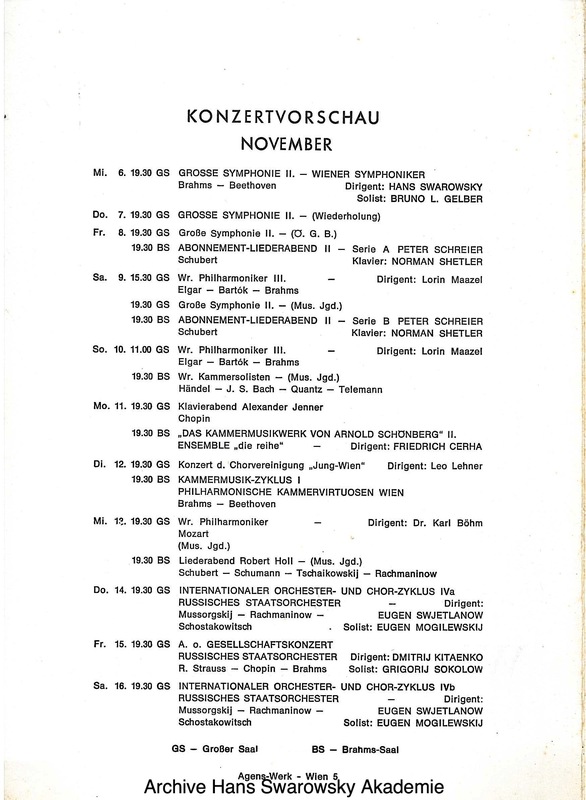 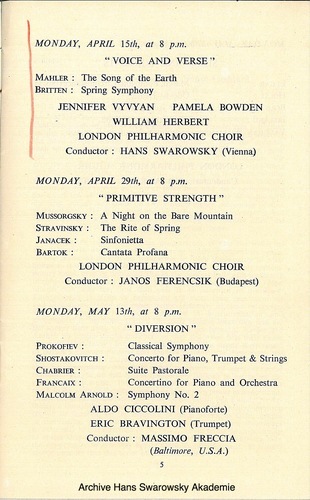 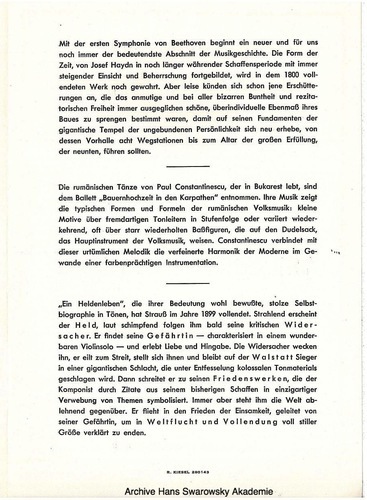 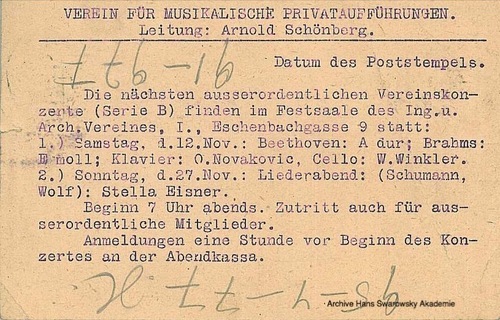 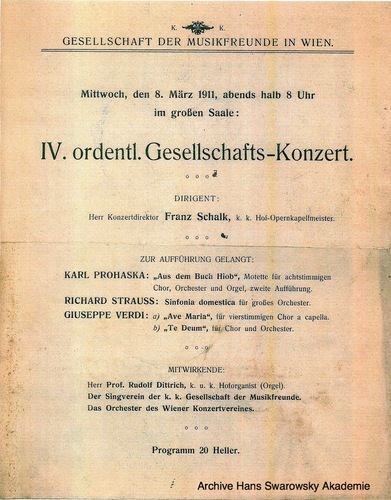 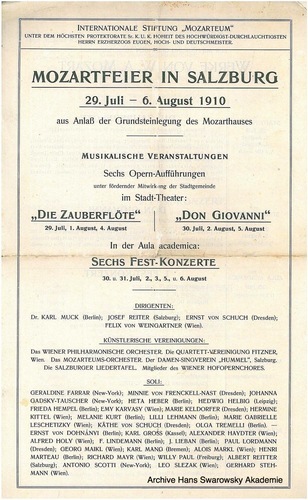 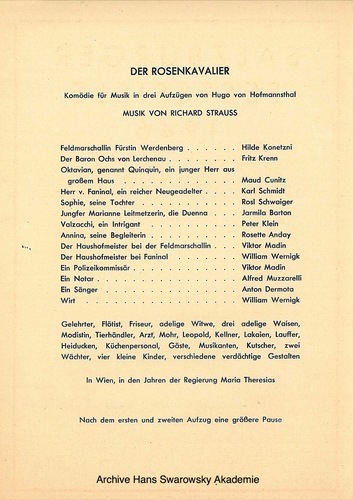 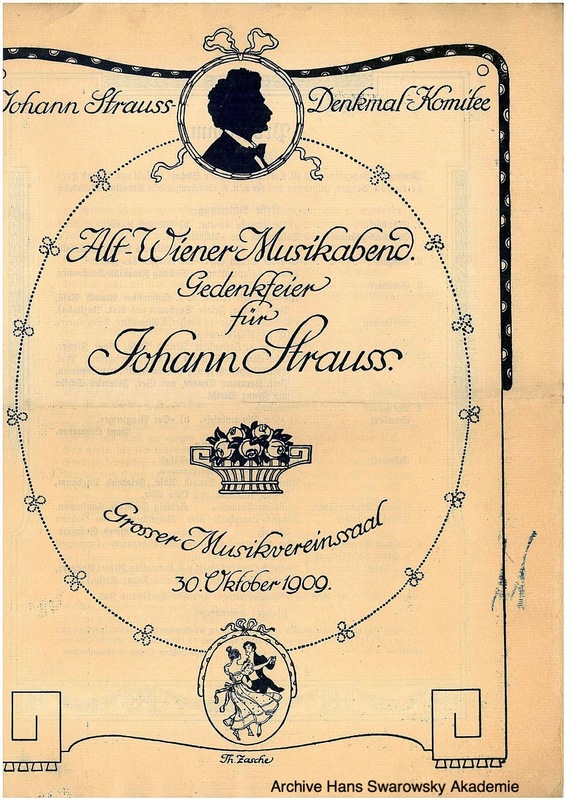 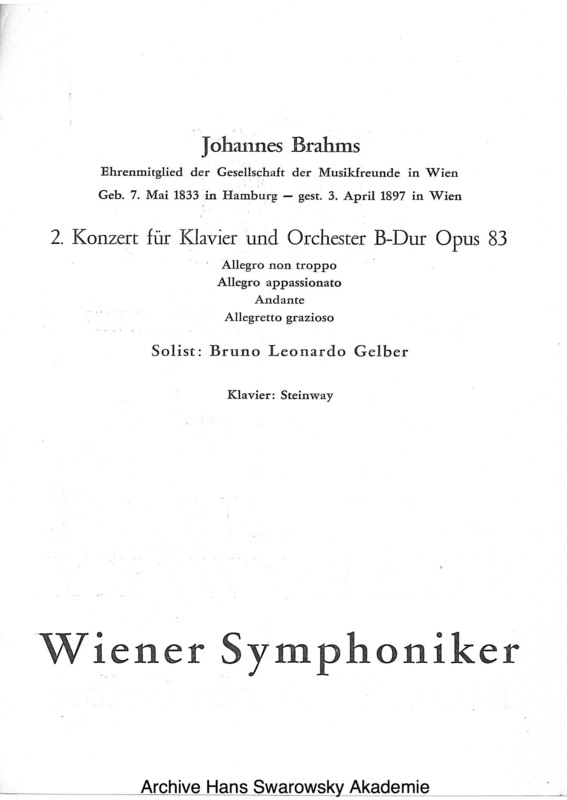 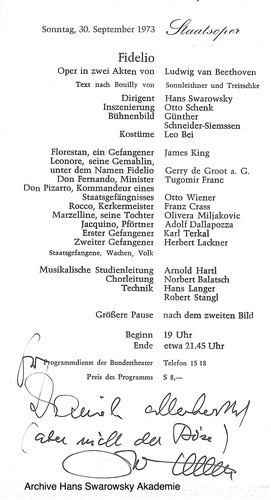 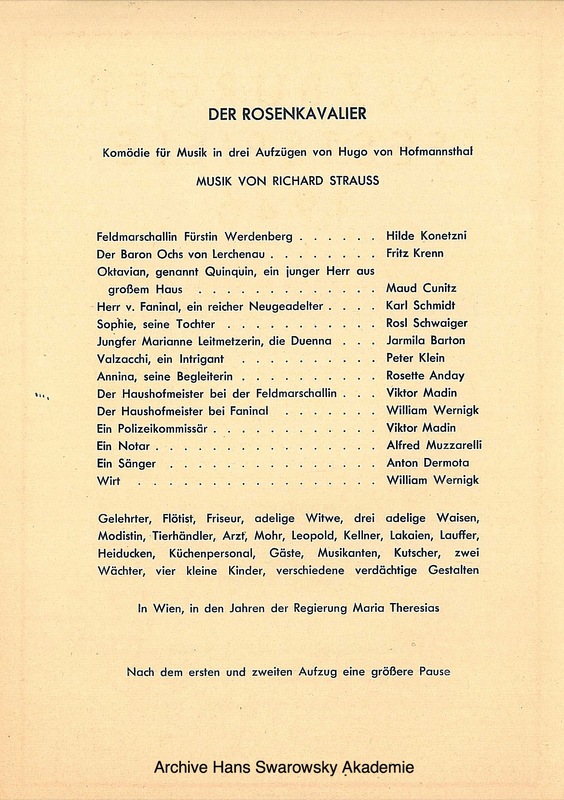 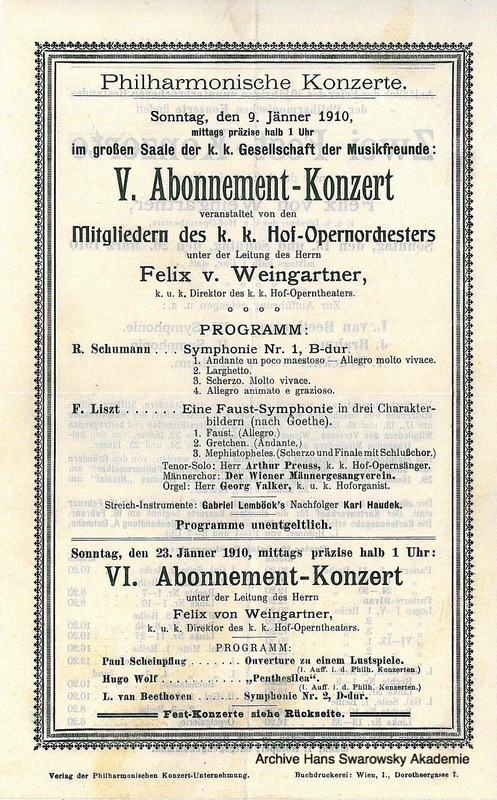 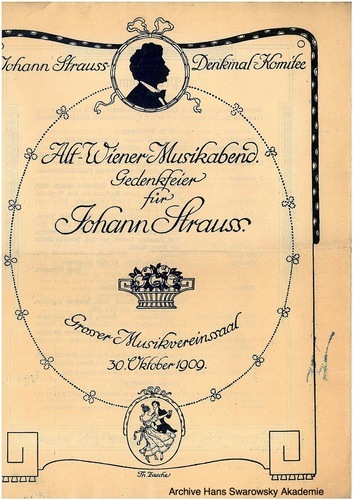 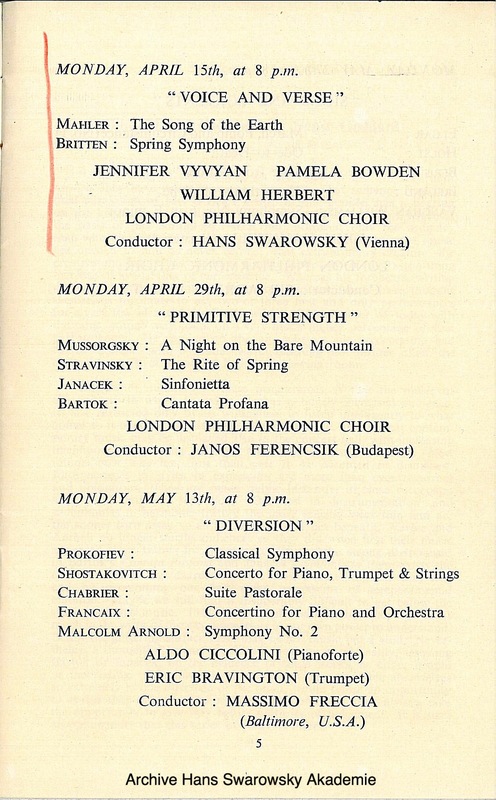 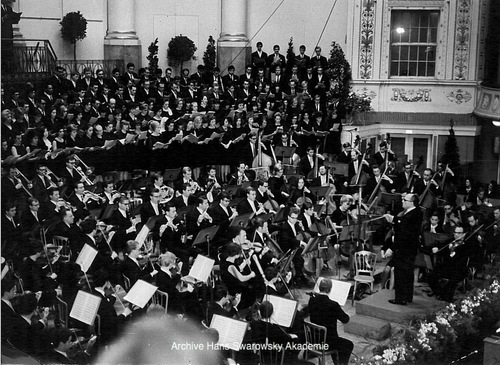 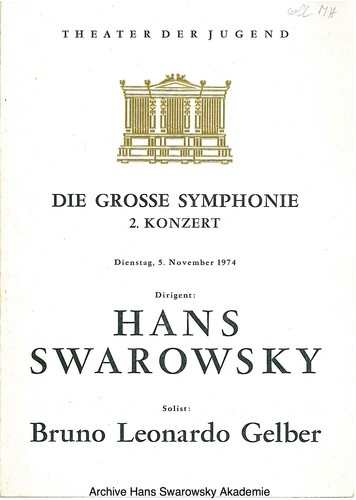 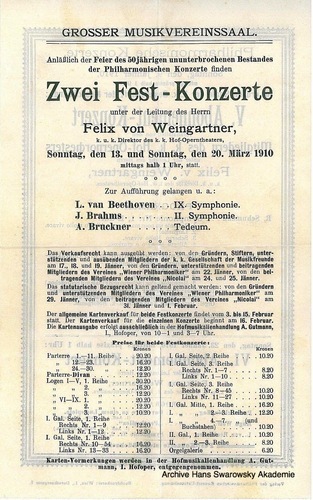 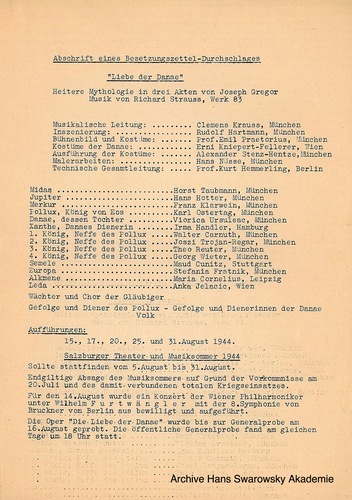 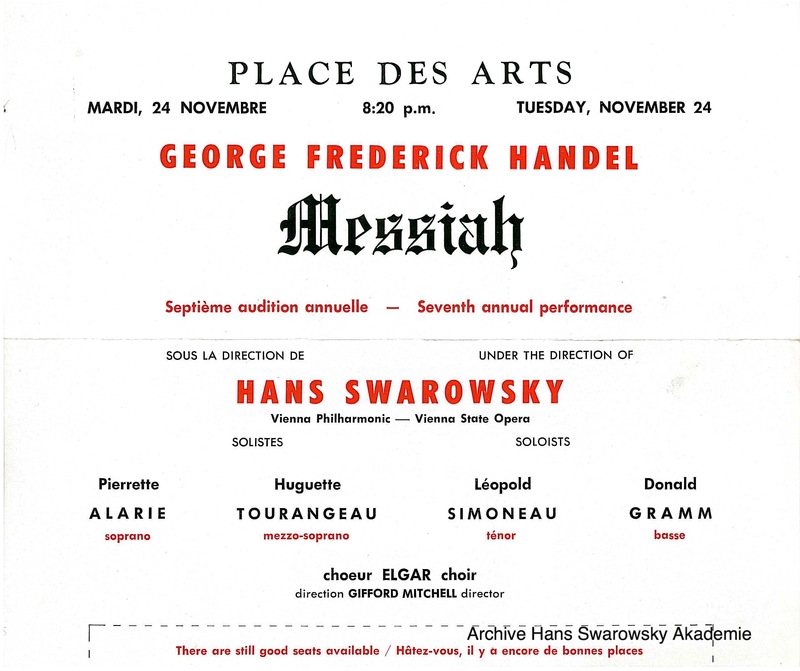 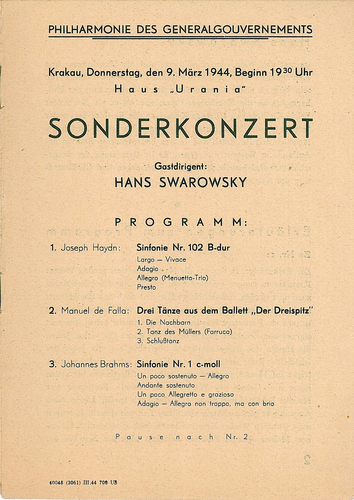 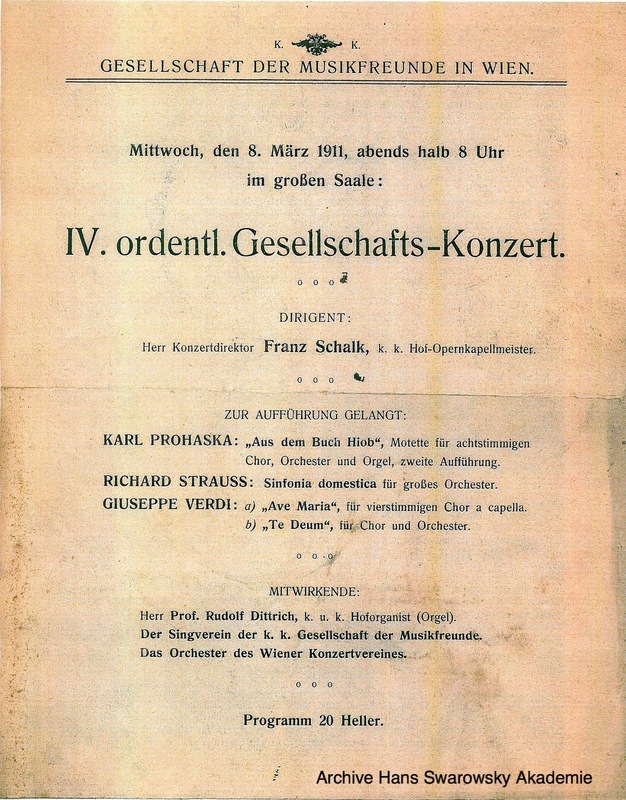 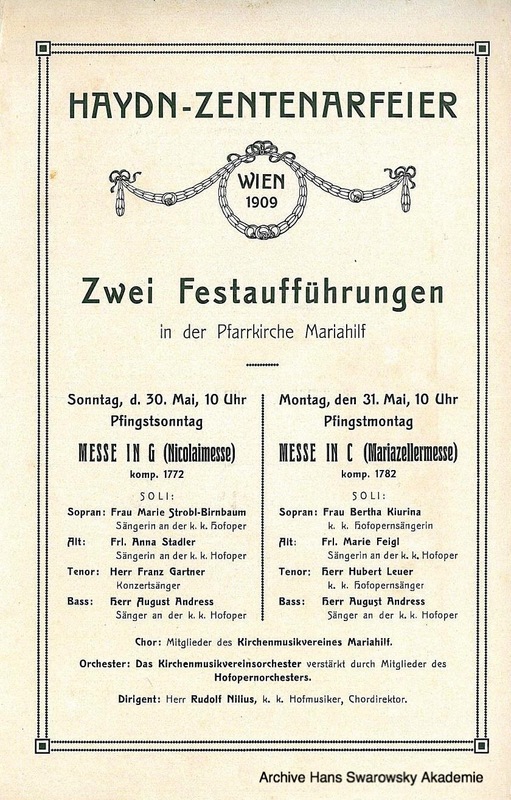 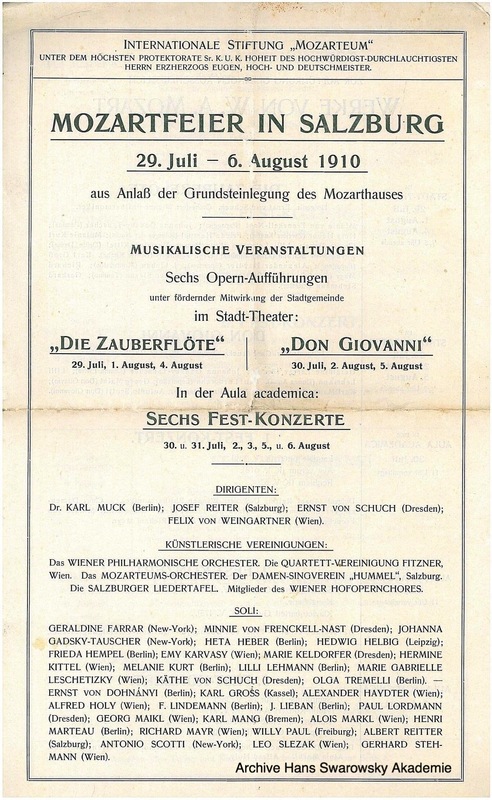 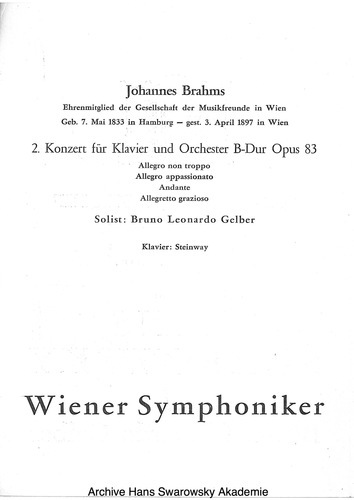 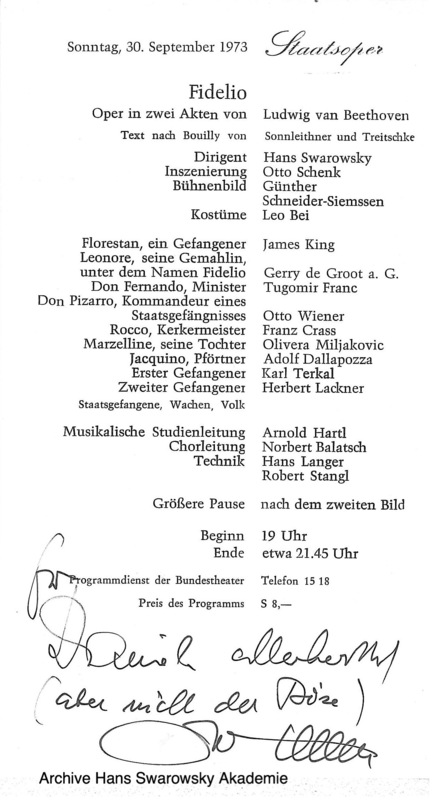 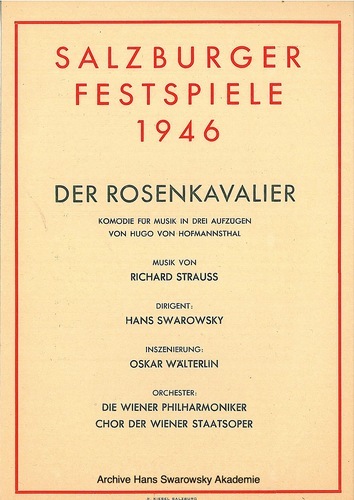 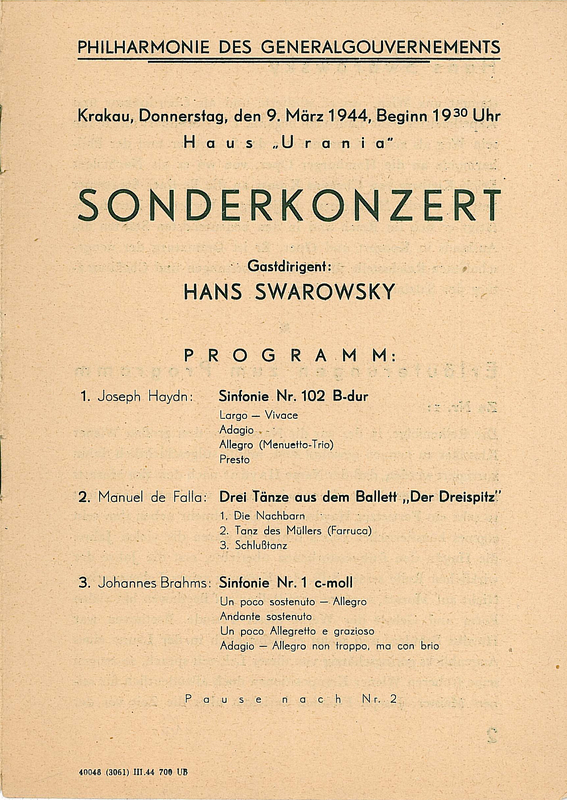 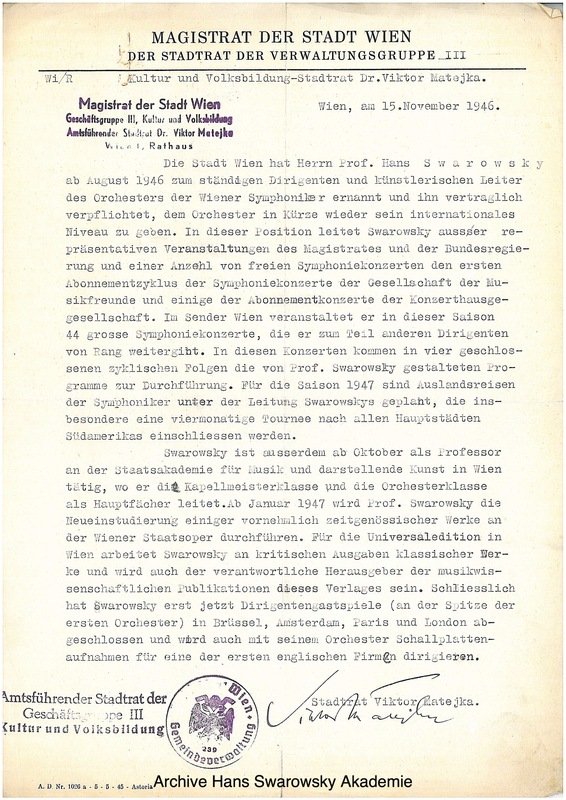 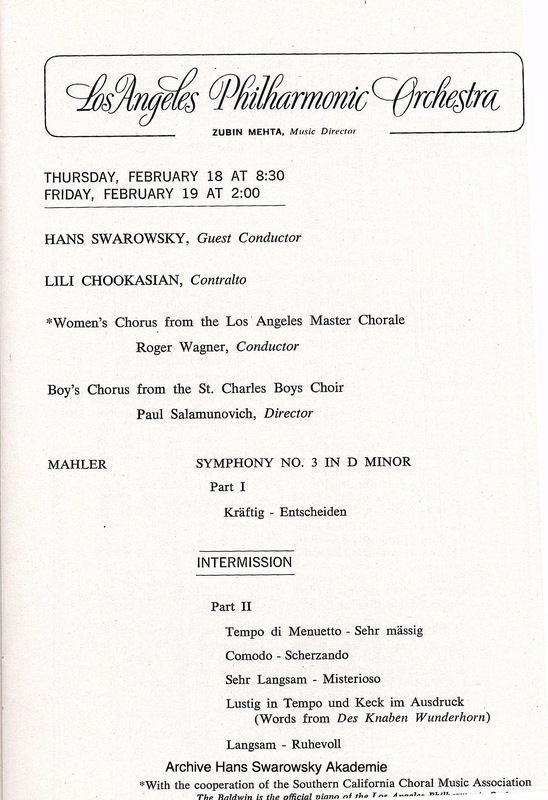 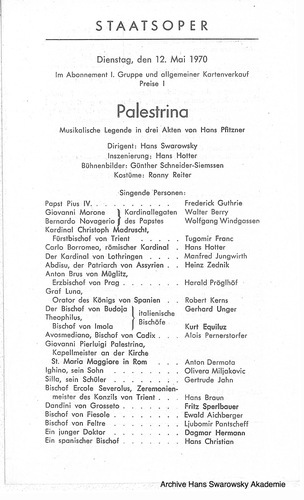 Hans Swarowsky attended this concert, a memorial event organised by the Johann Strauss Memorial Committee at the Vienna Musikverein in 1909. 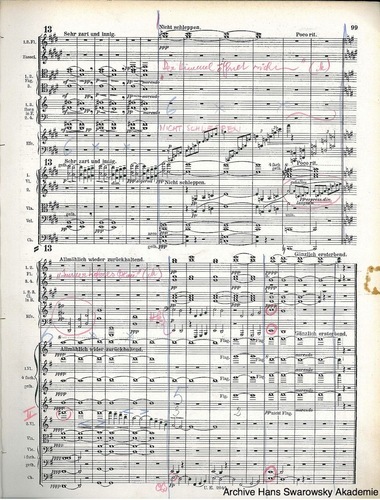 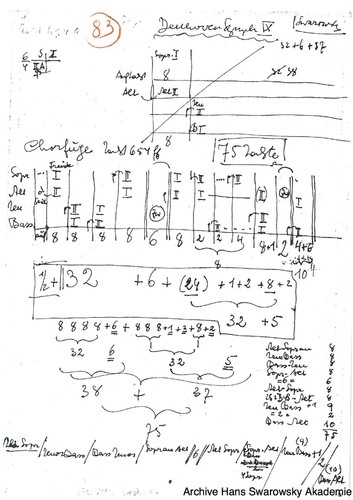 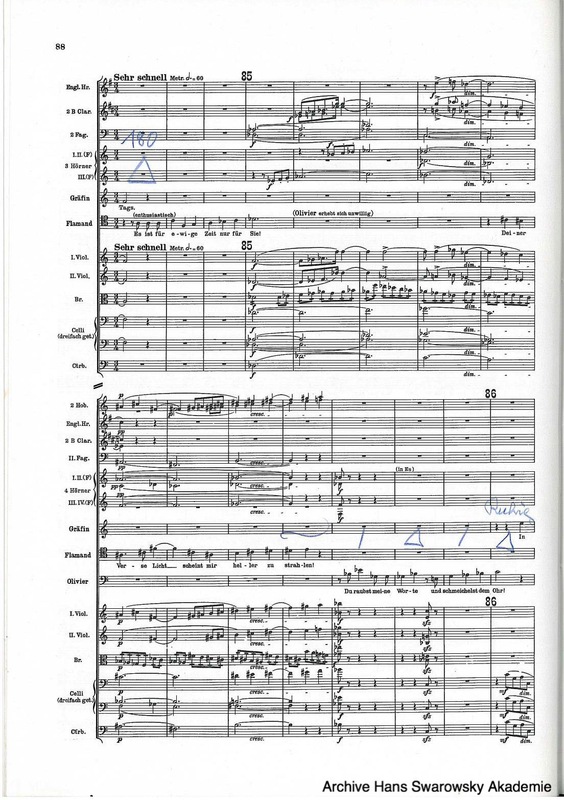 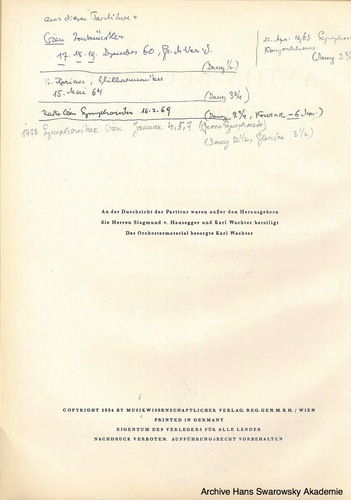 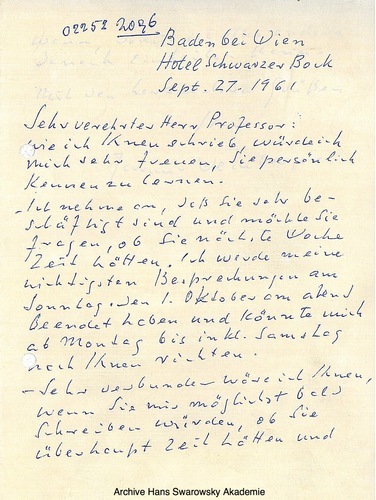 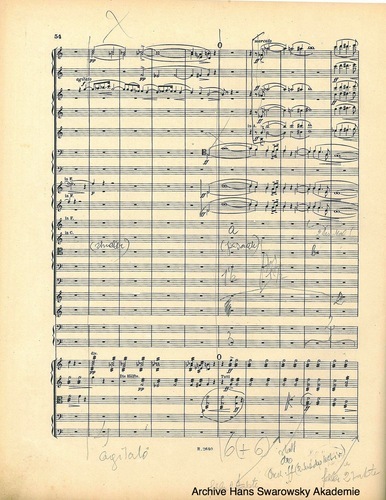 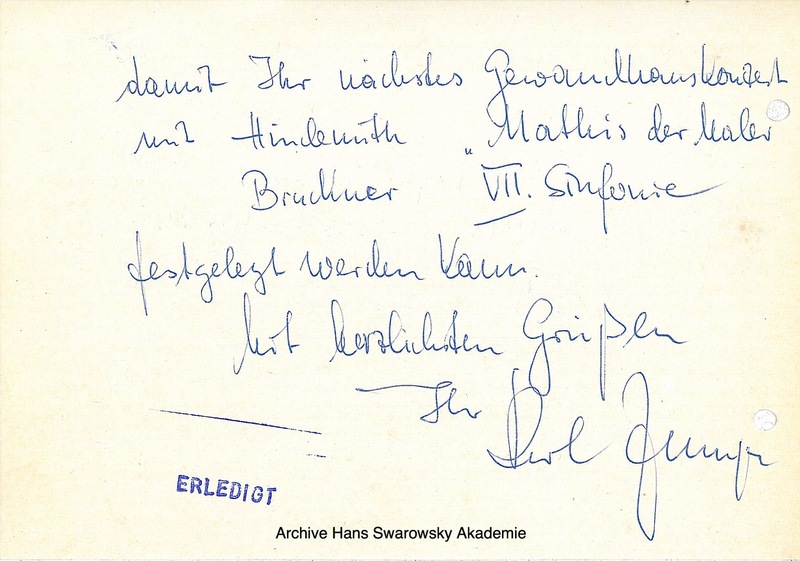 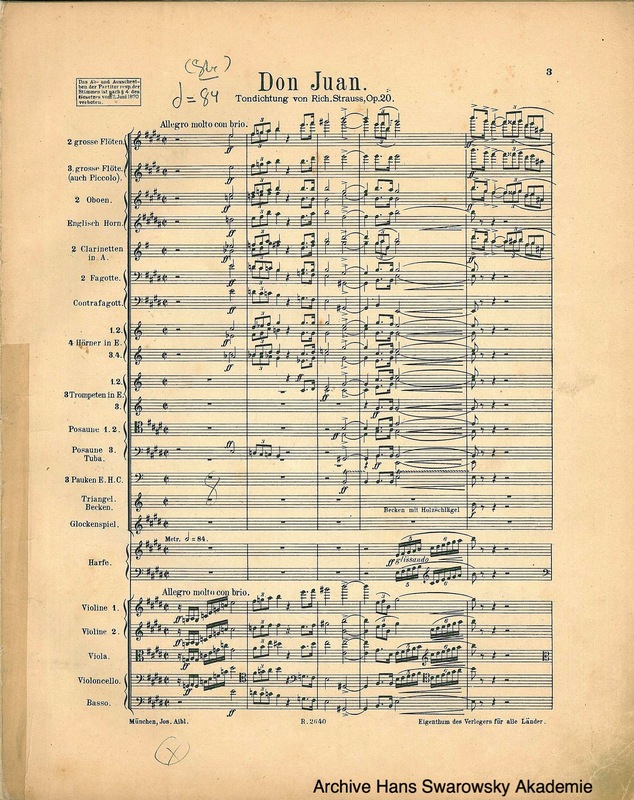 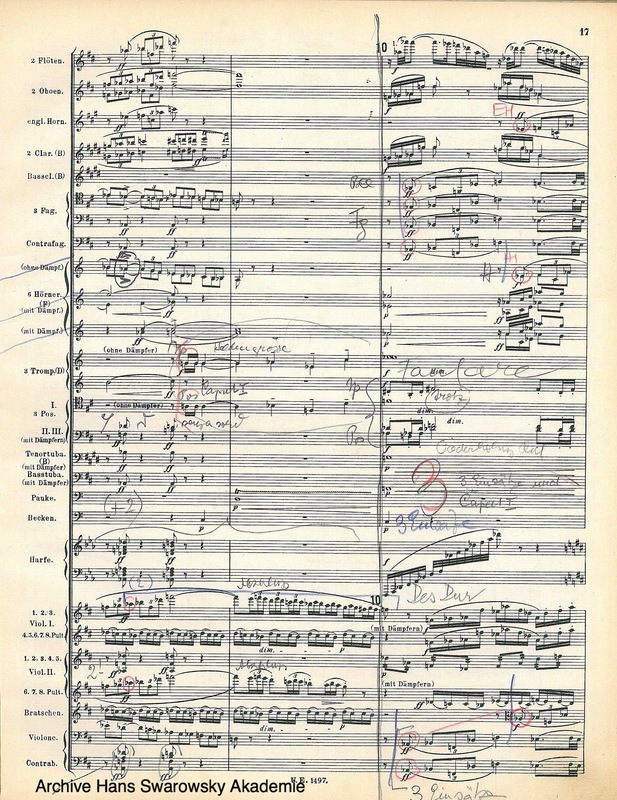 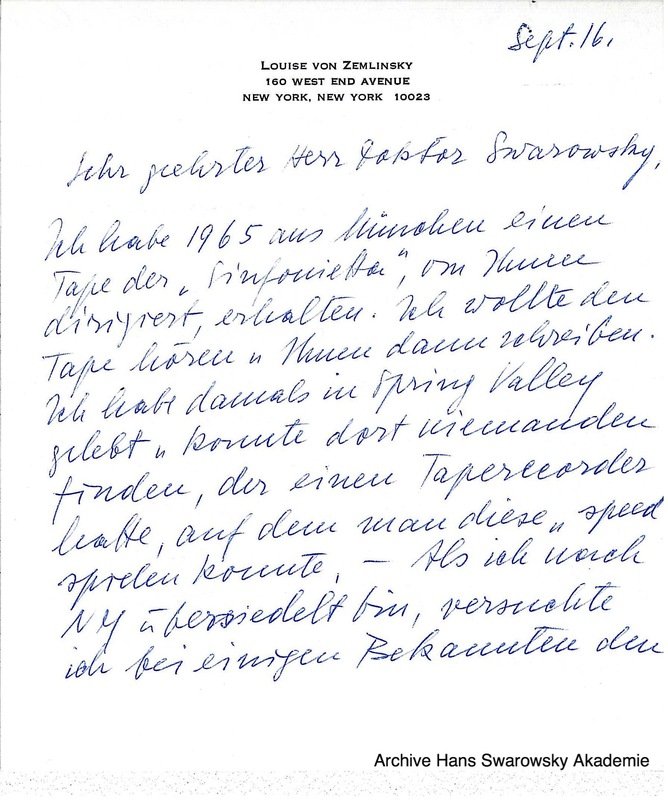 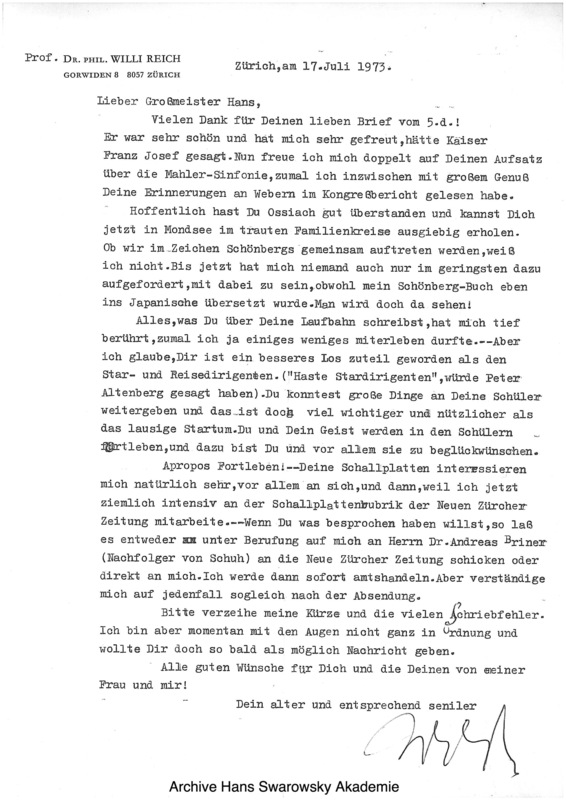 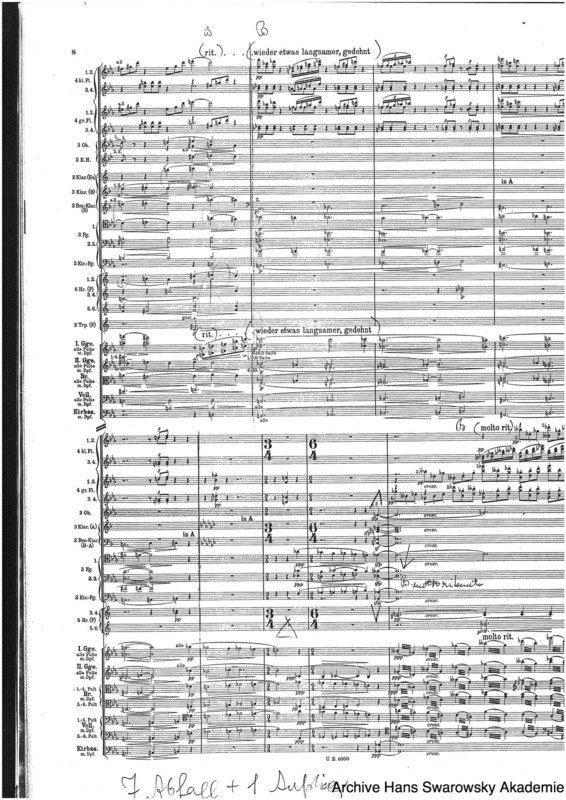 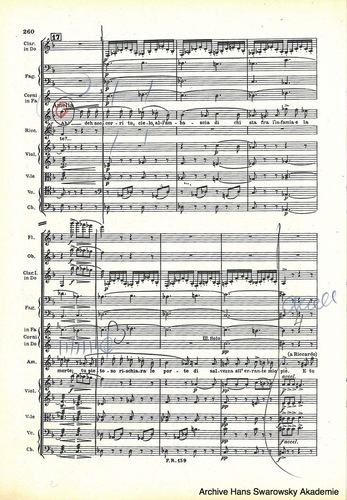 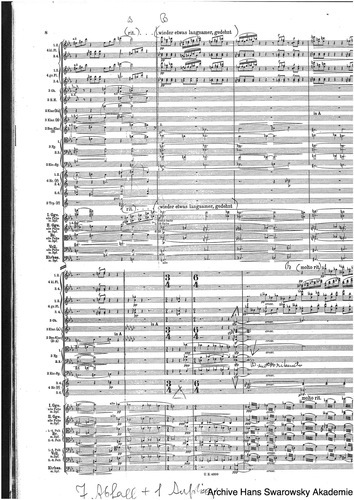 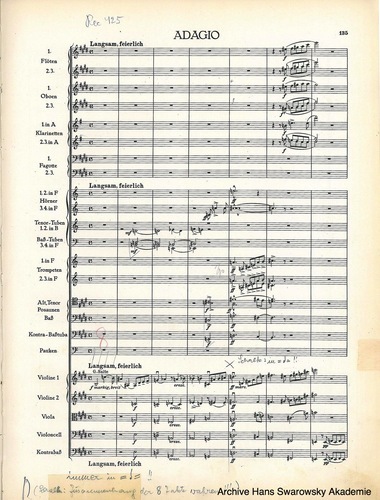 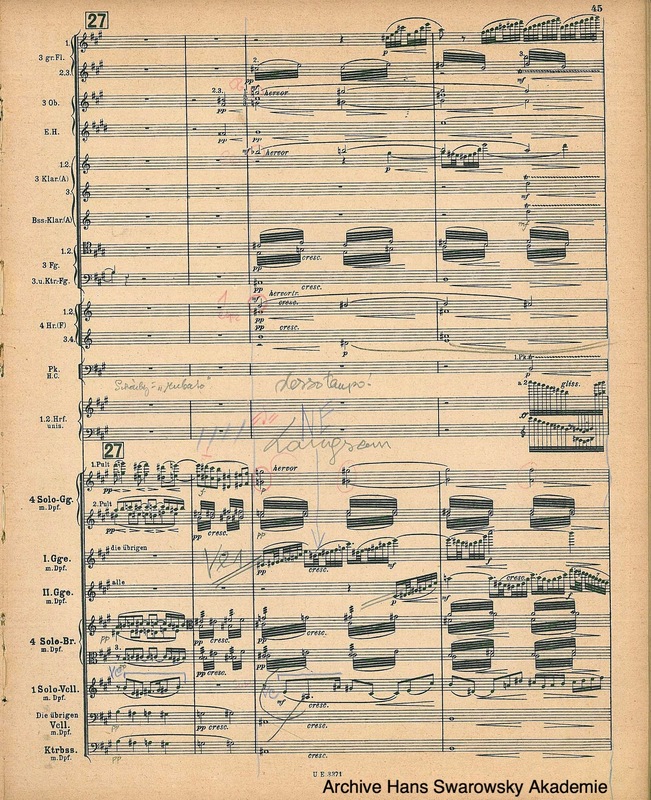 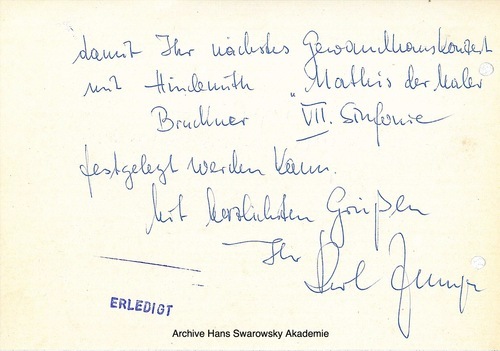 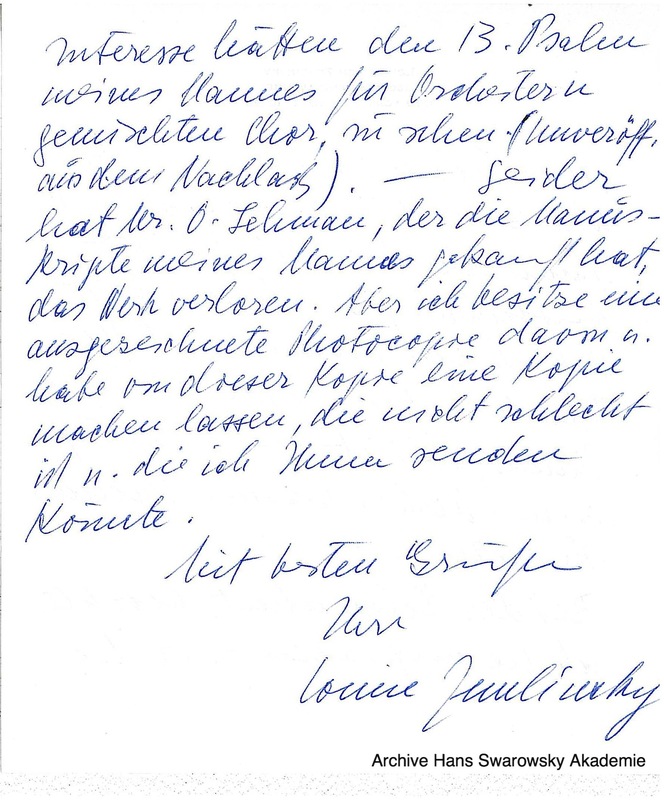 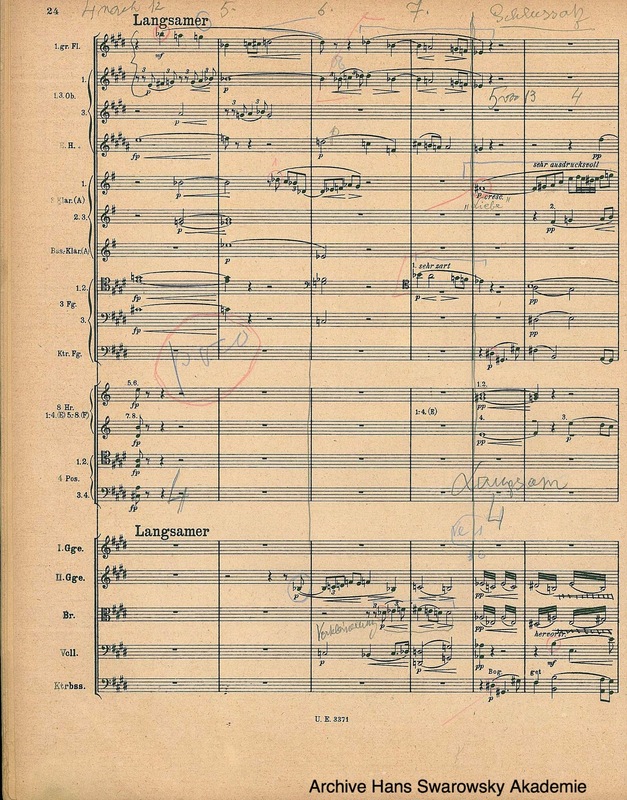 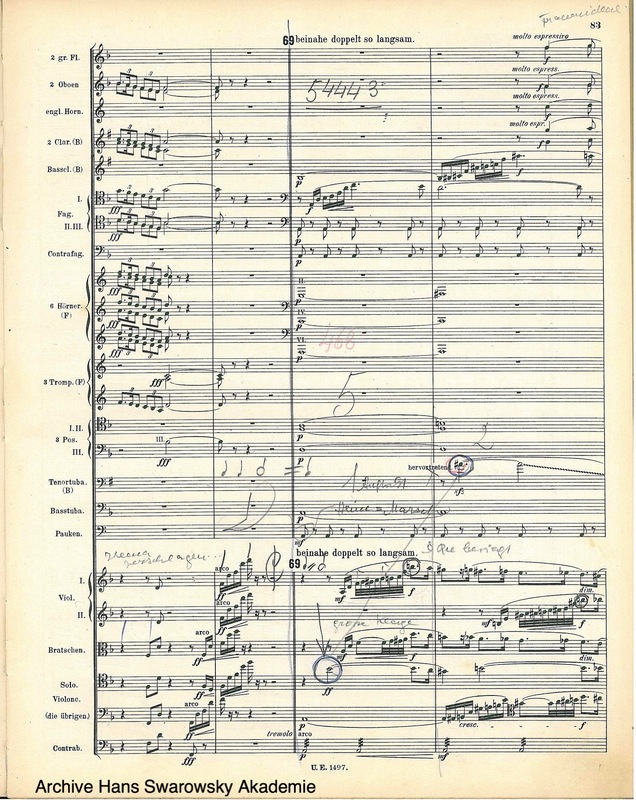 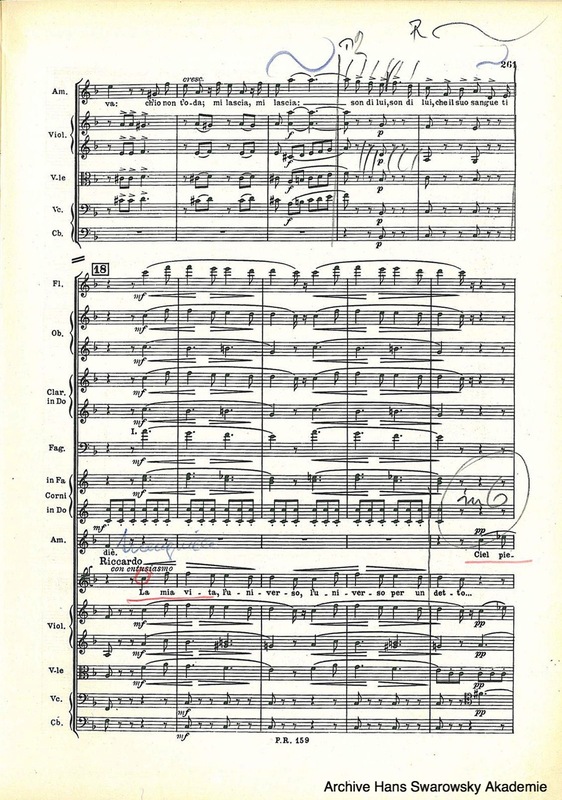 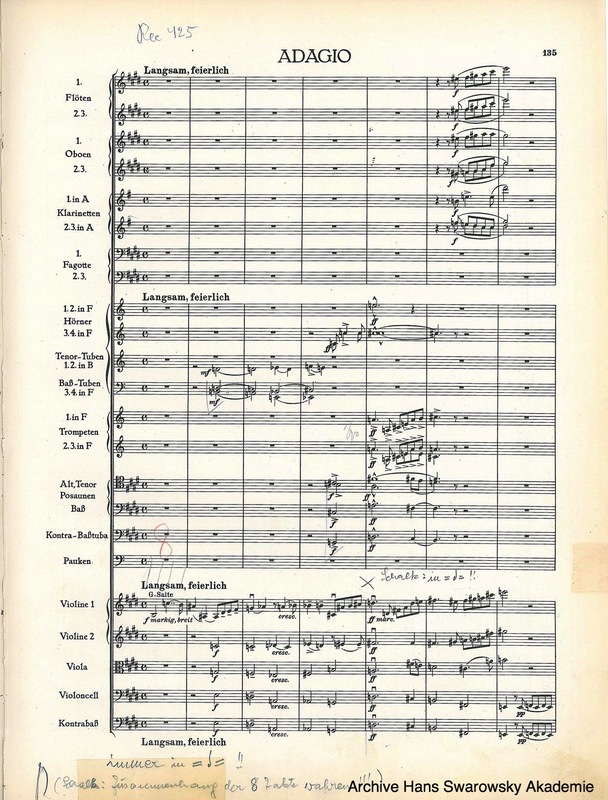 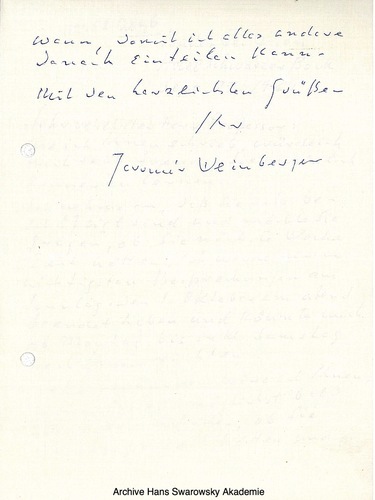 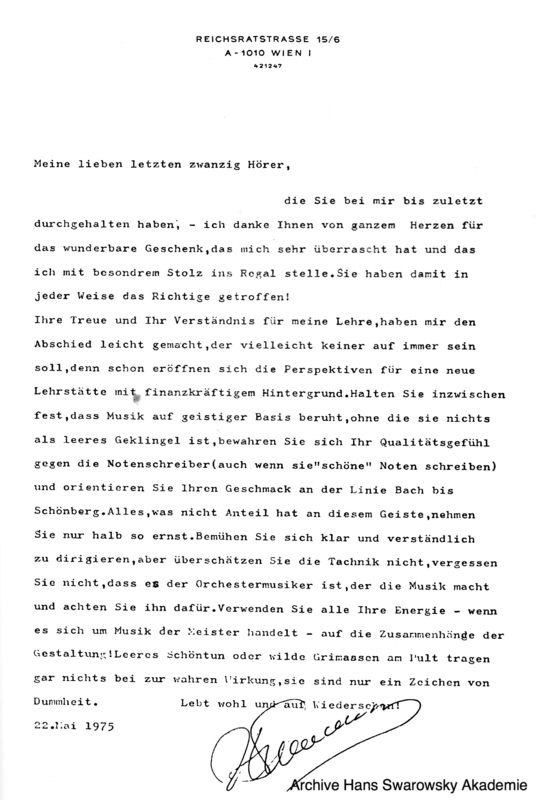 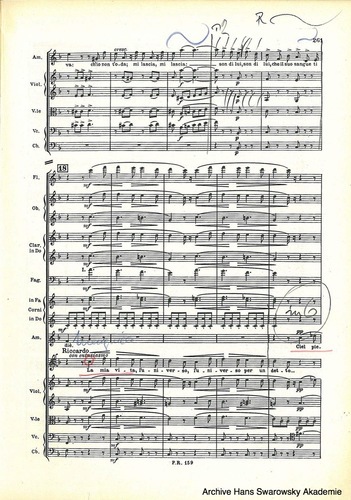 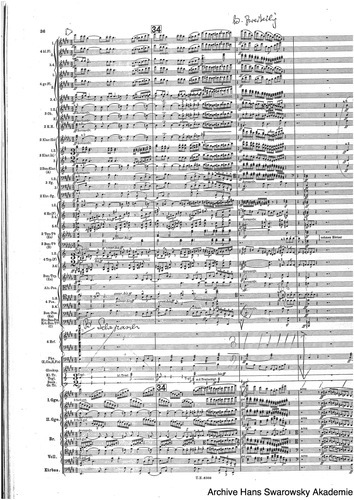 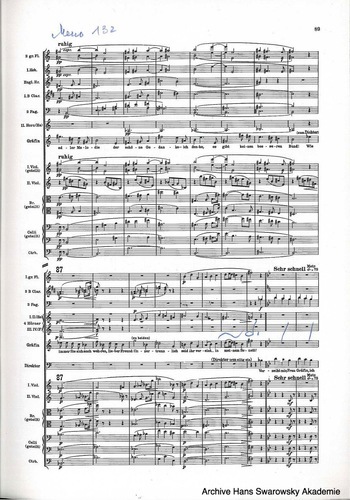 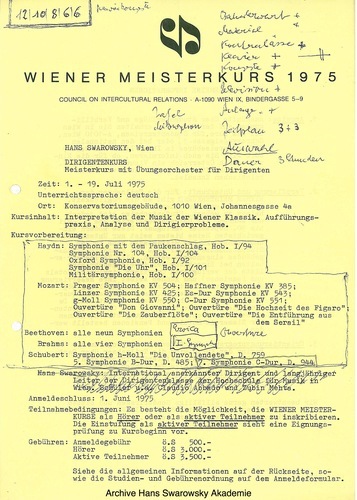 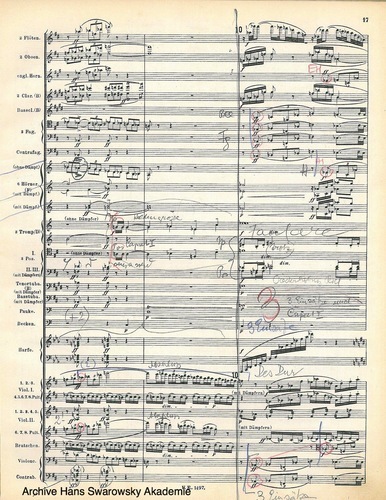 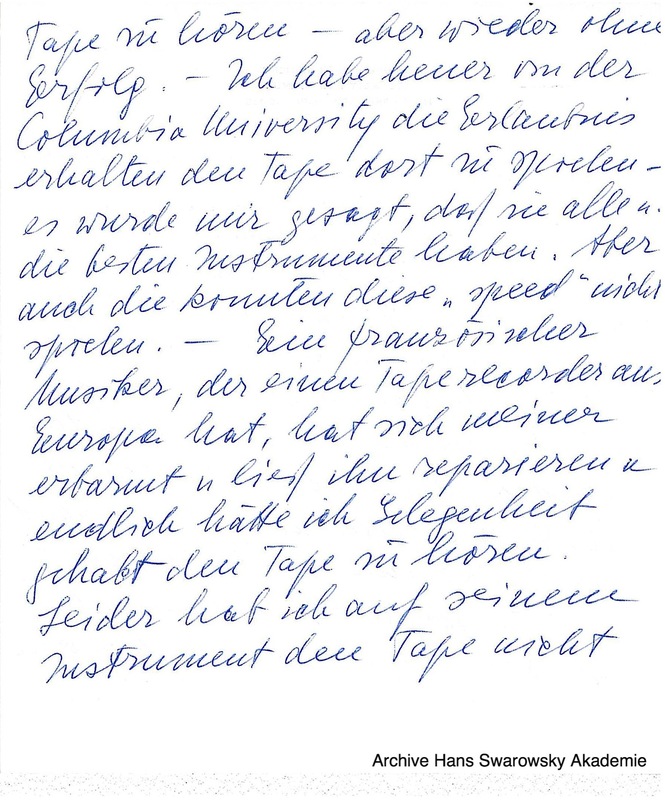 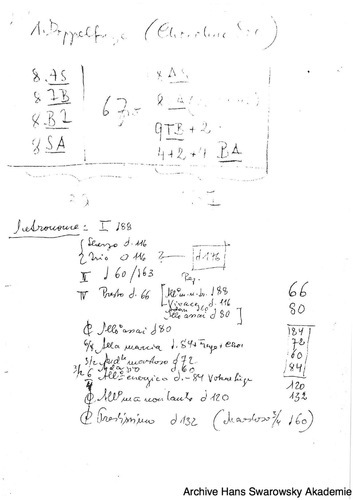 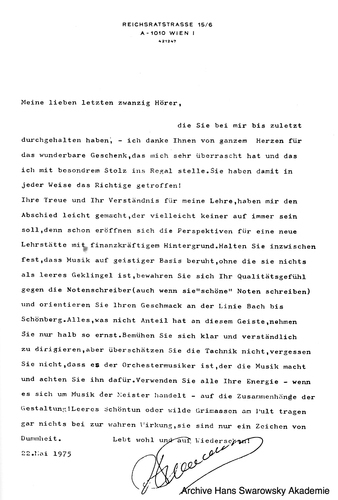 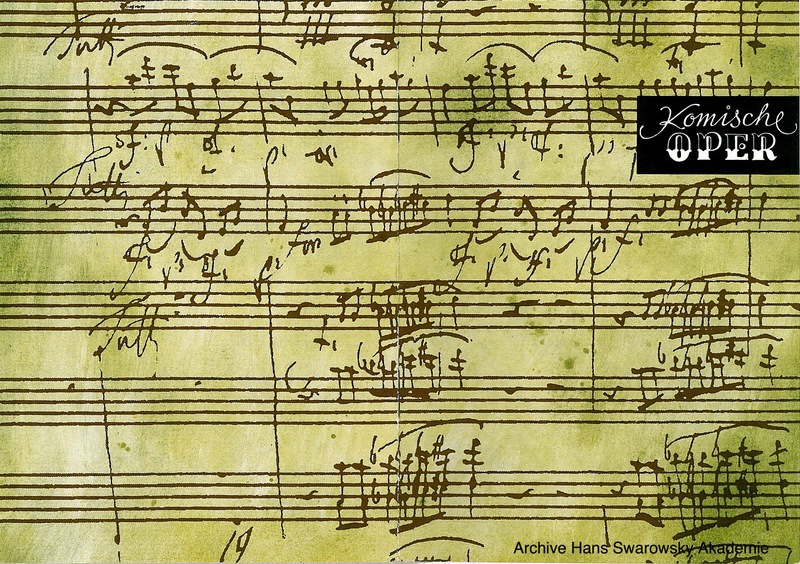 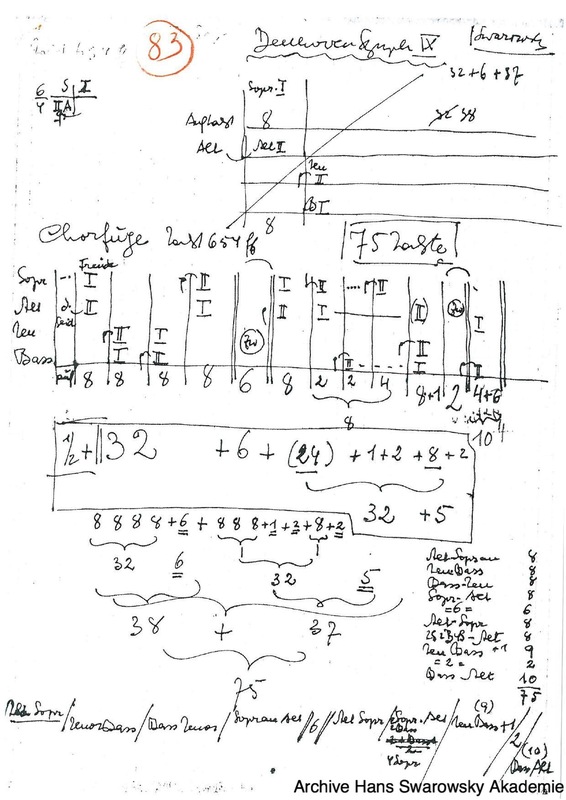 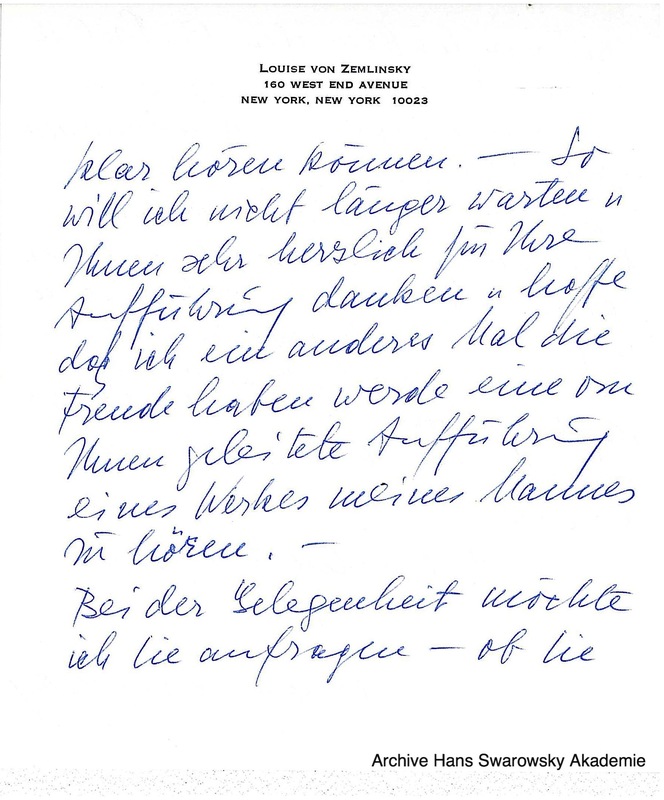 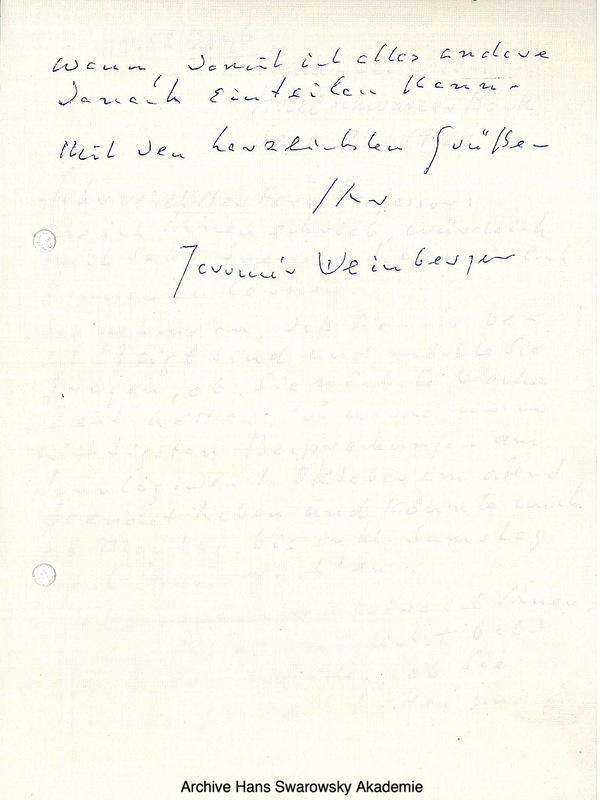 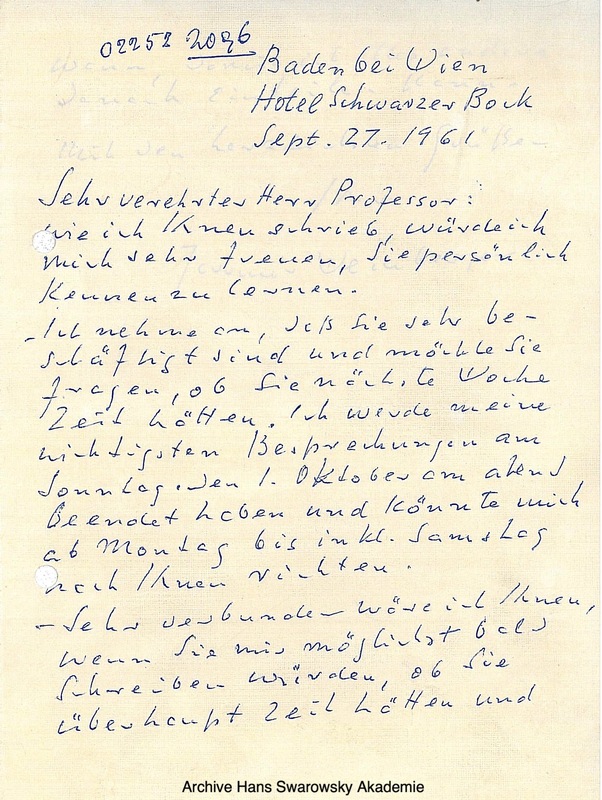 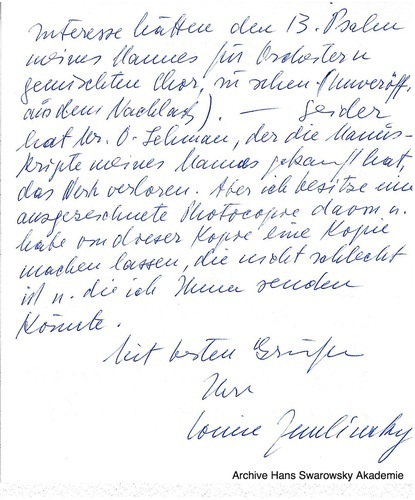 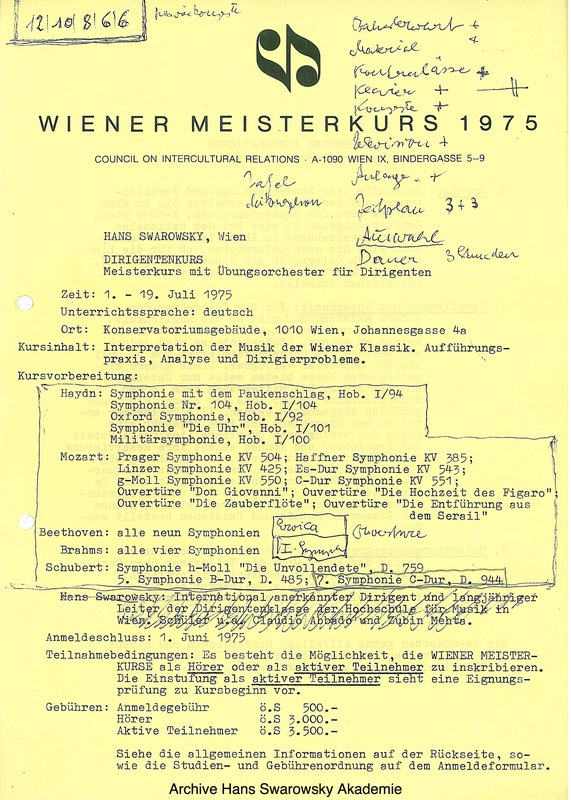 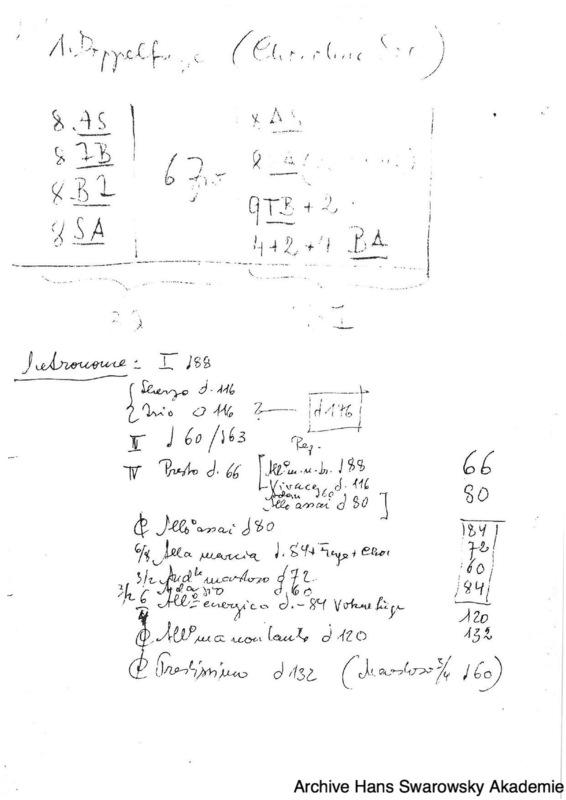 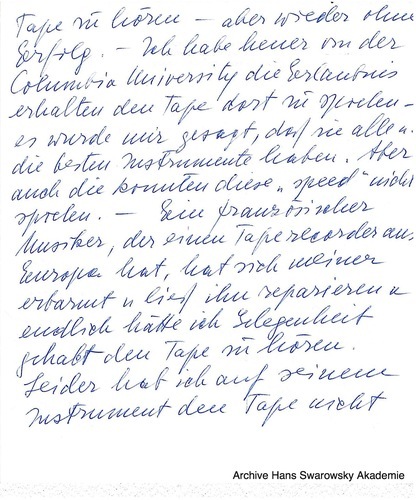 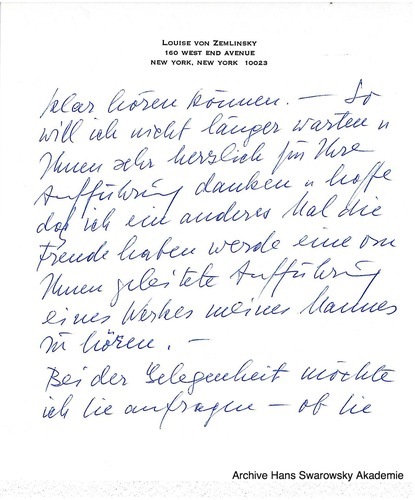 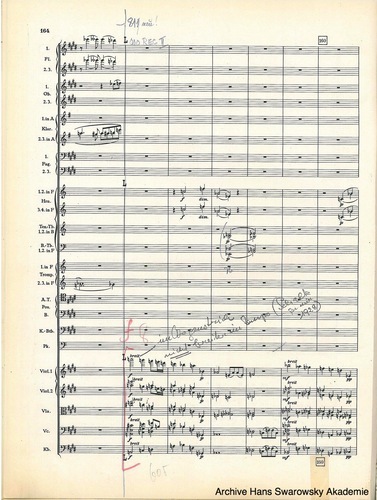 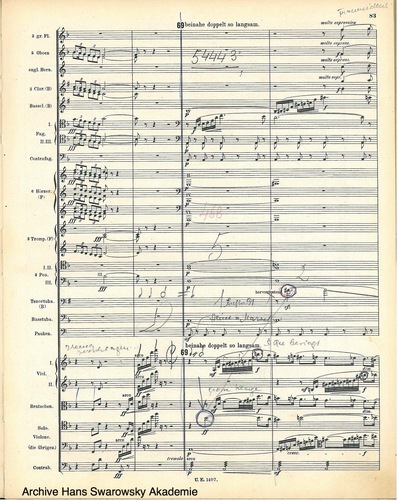 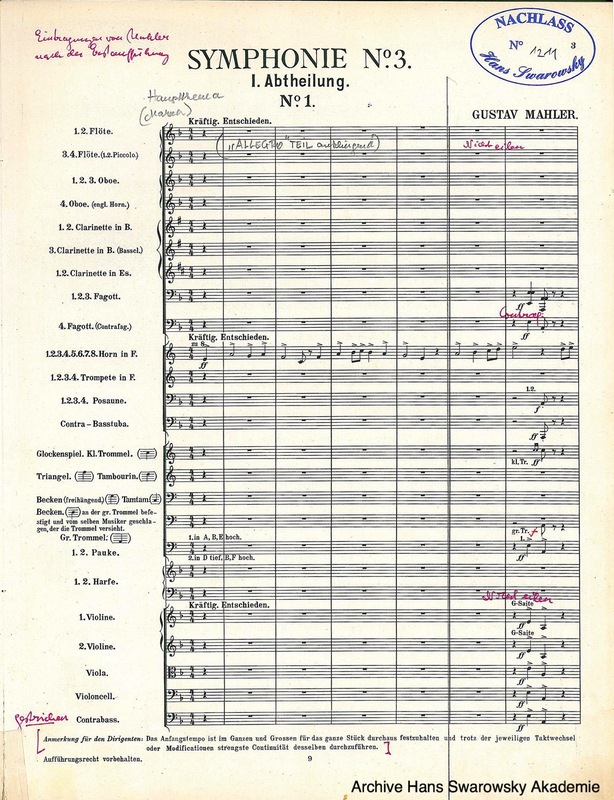 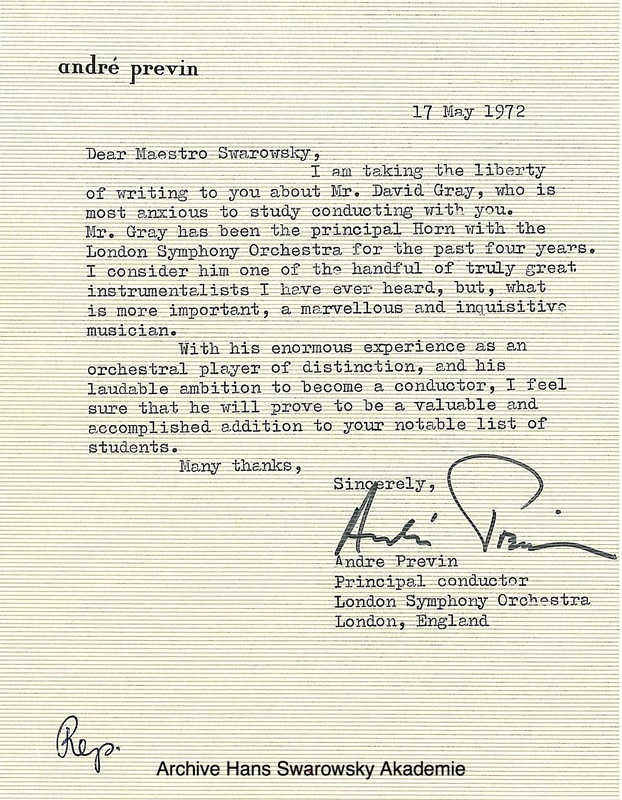 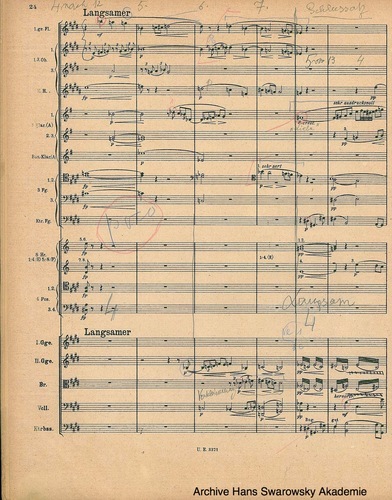 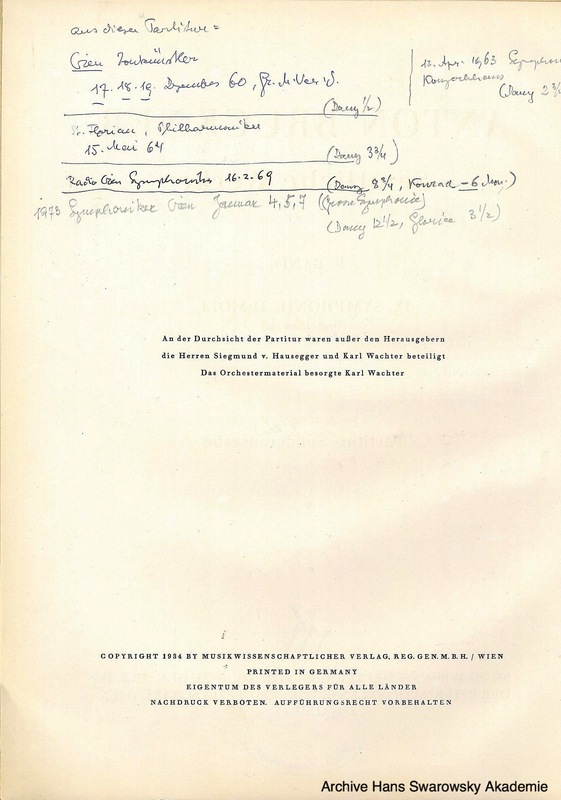 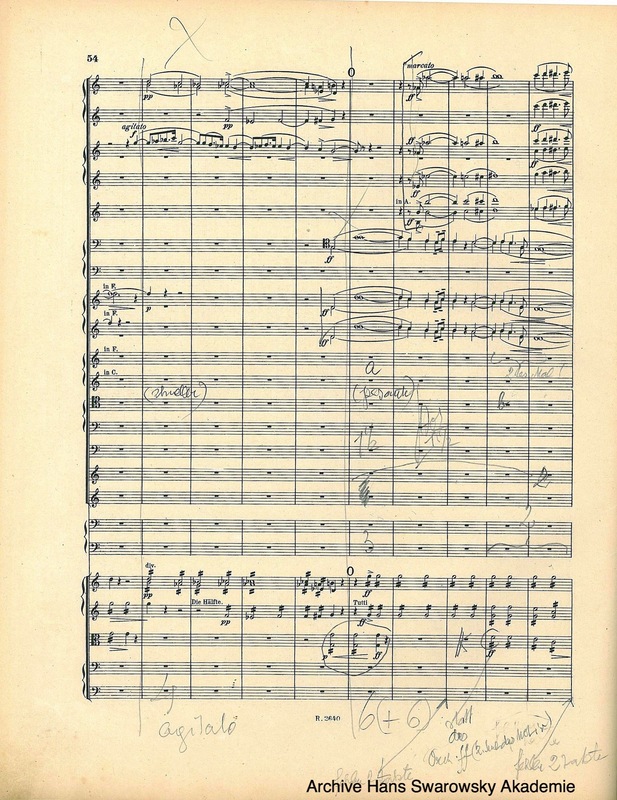 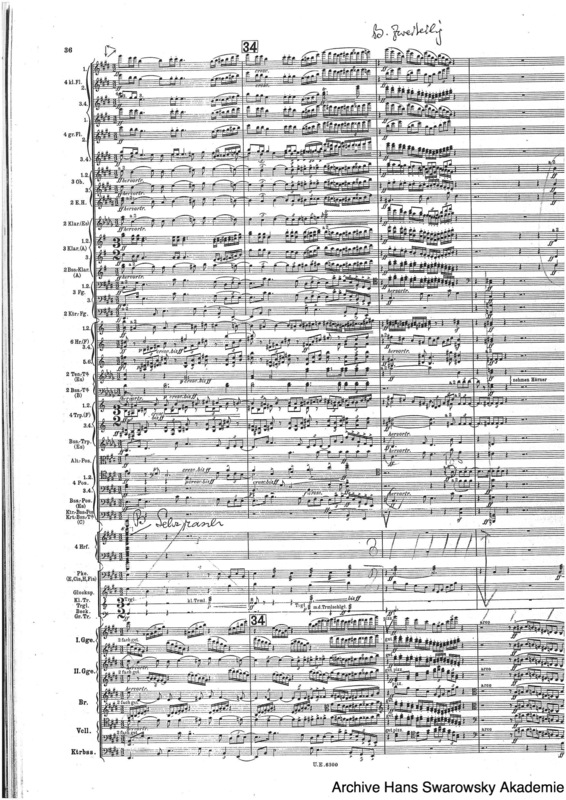 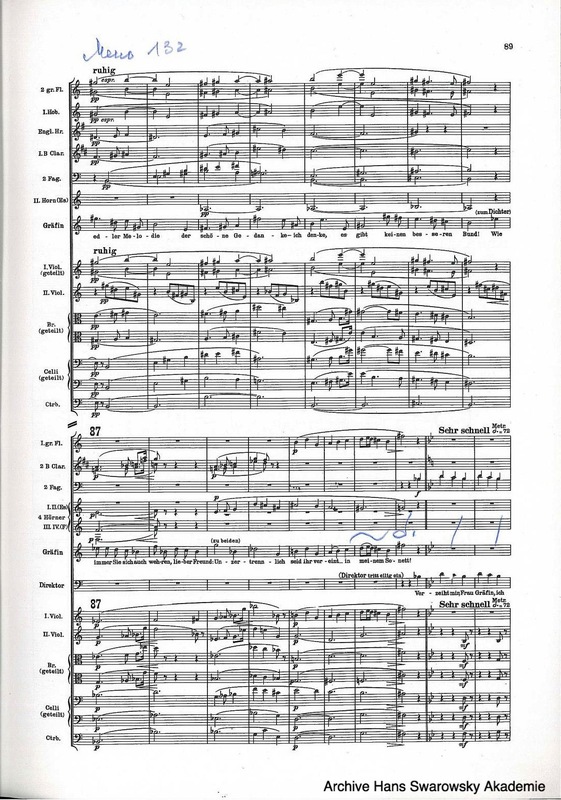 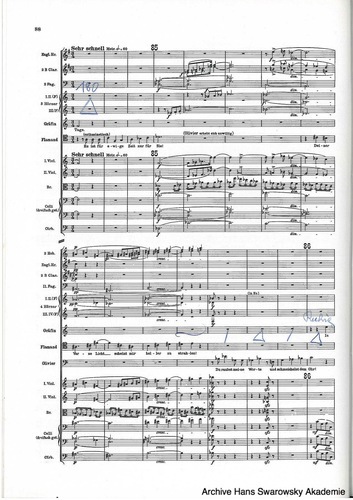 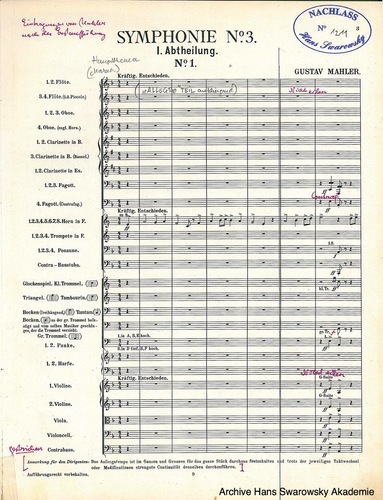 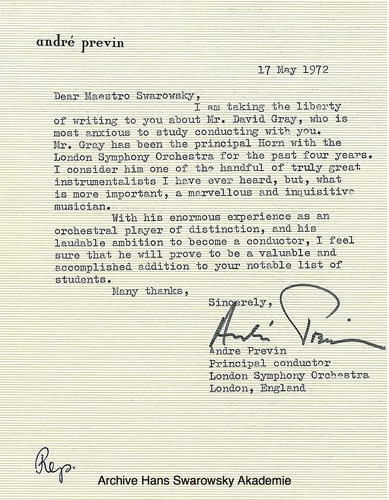 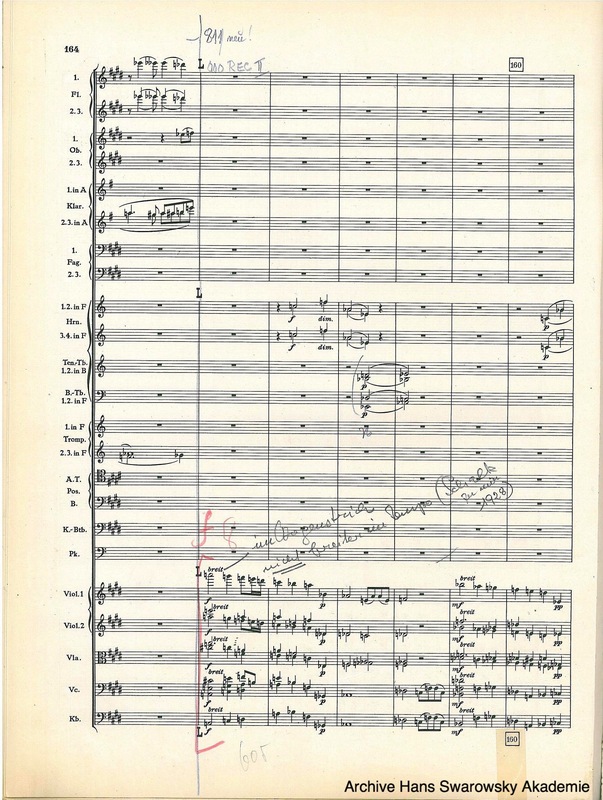 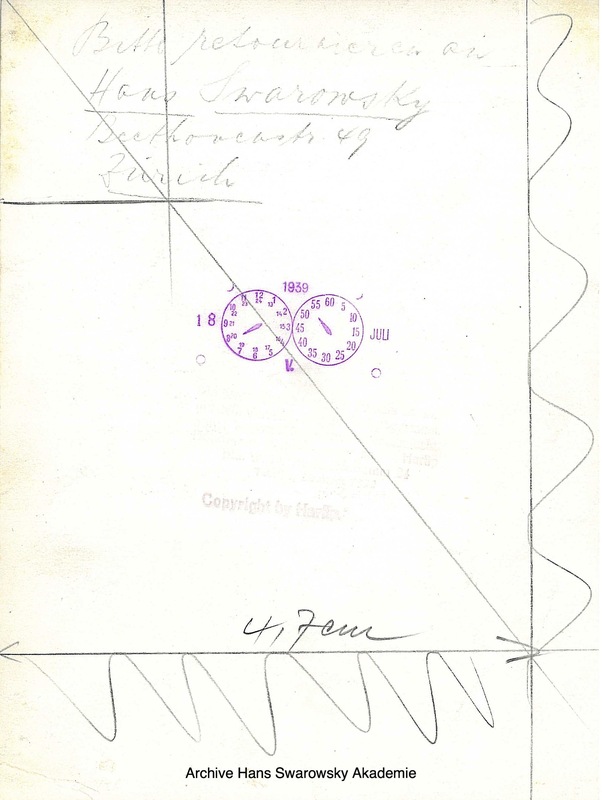 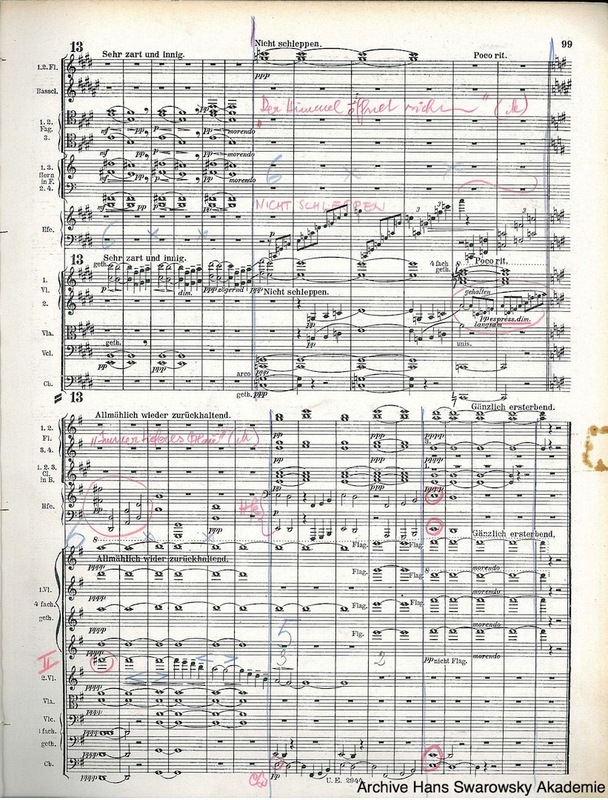 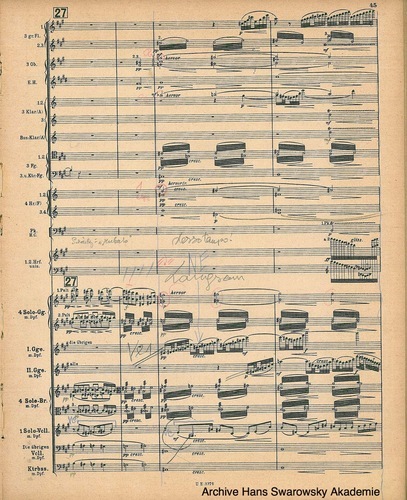 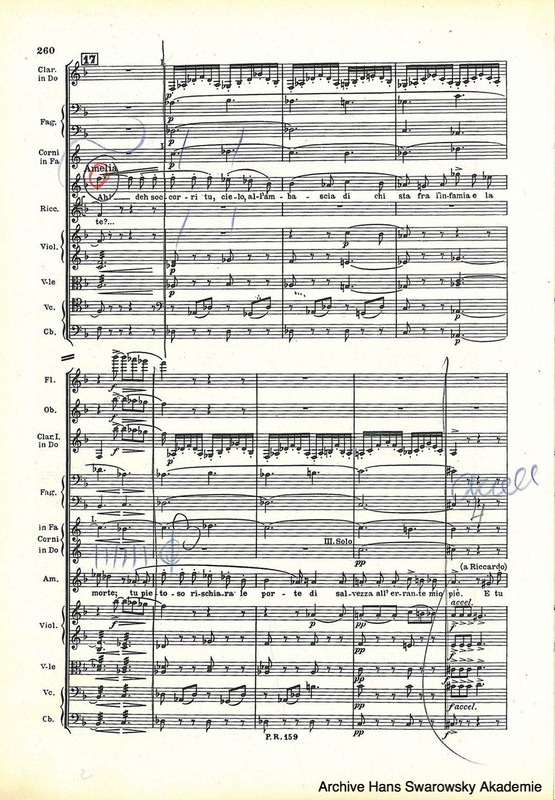 A sample of Swarowsky's handwritten notes analyzing a piece, in this instance the 4th movement of Beethoven's 9th symphony.